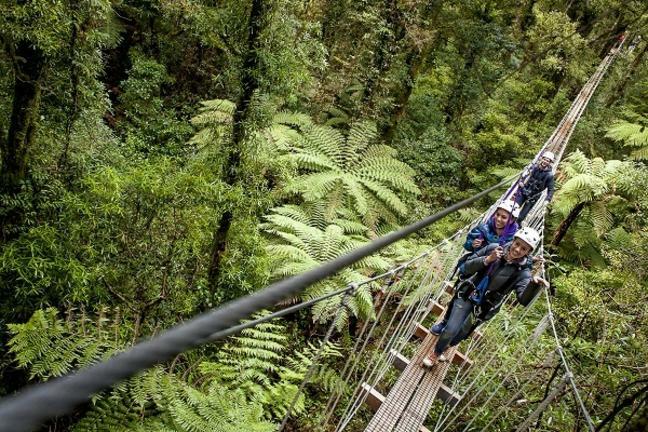 Daintree National Park is a vast wilderness area characterised by dense tropical rainforests including the oldest rainforest on the planet. 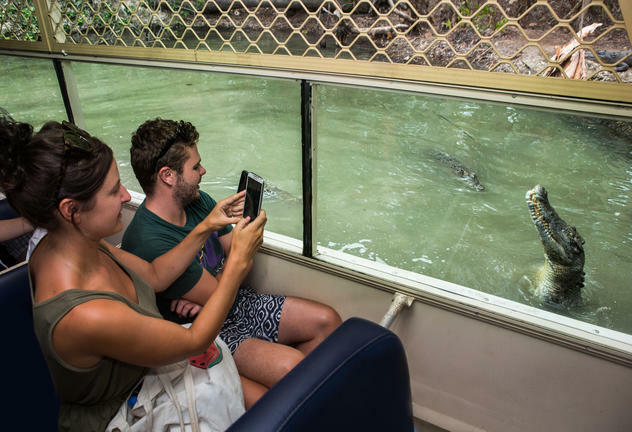 The park is comprised of two sections - Mossman Gorge, featuring the Mossman River cascading over the gorge’s massive granite boulders, and Cape Tribulations with its rainforest-clad mountains sweeping down to long stretches of glorious white sandy beaches. 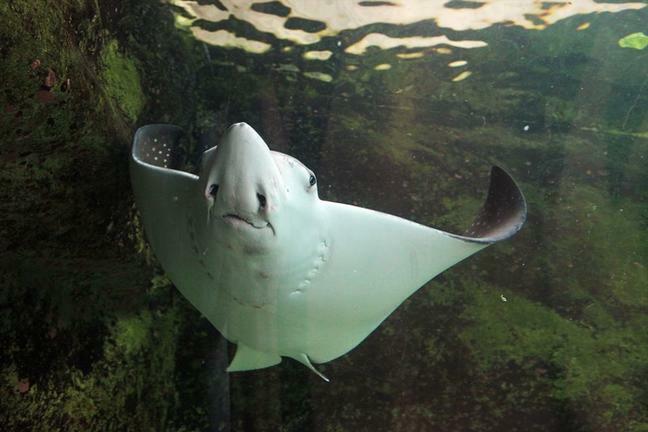 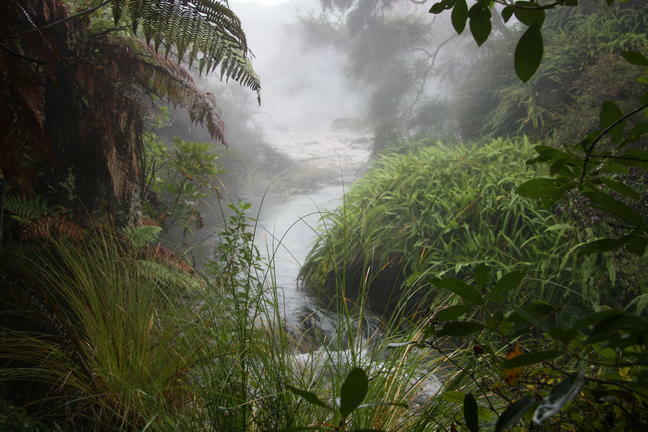 The area boasts a remarkable degree of biodiversity as well as high levels of endemism. 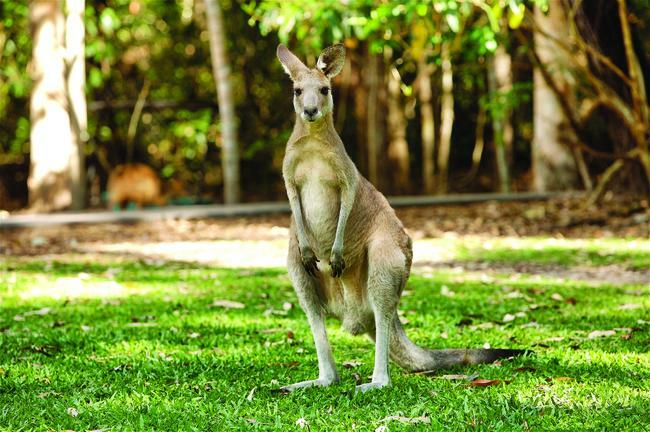 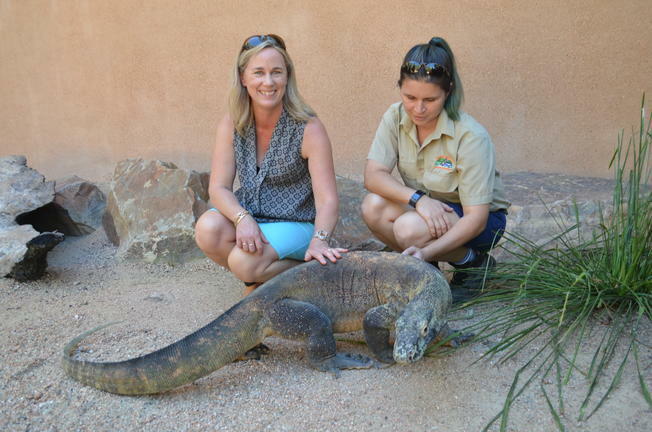 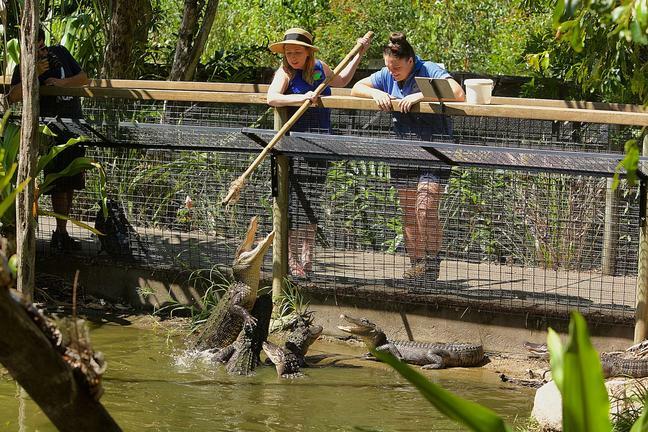 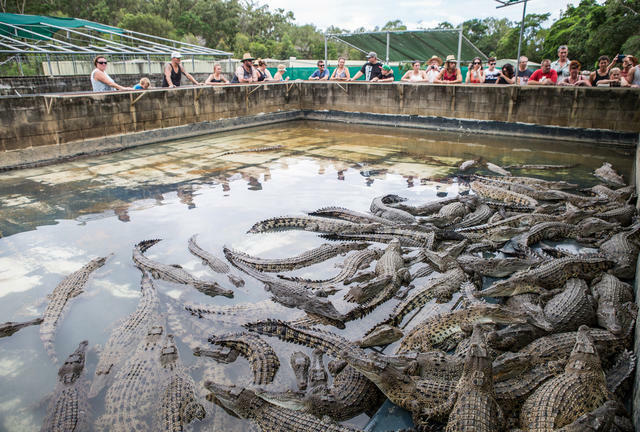 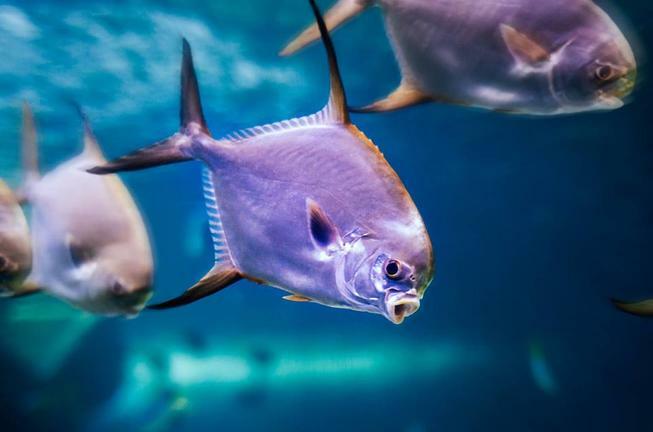 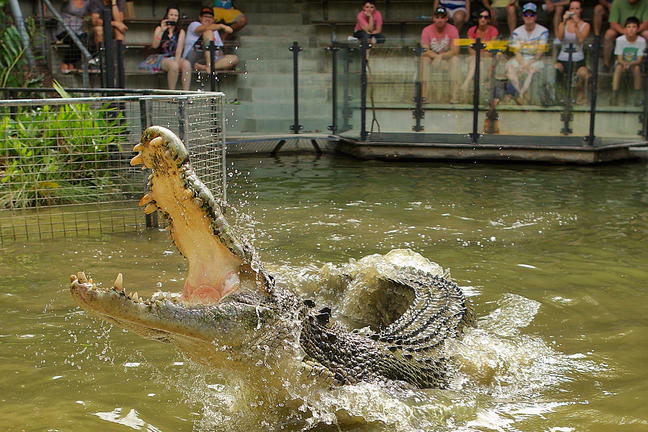 From kangaroos that live in trees to 6-foot tall prehistoric birds and numerous saltwater crocodiles, the area offers visitors a chance to witness some remarkably unusual wildlife. 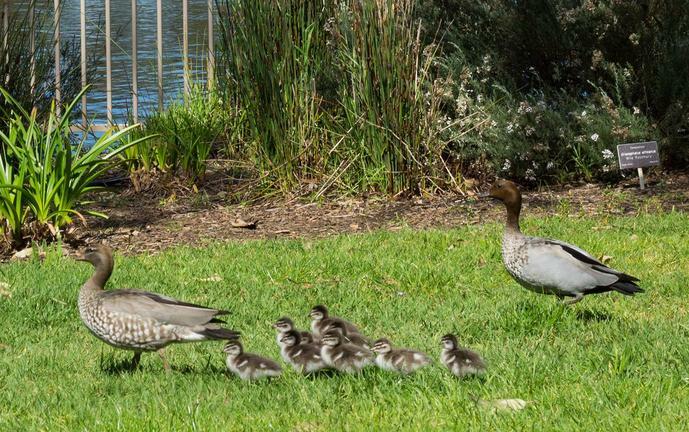 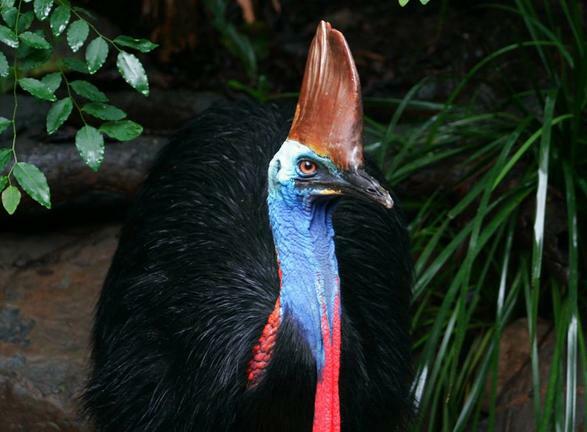 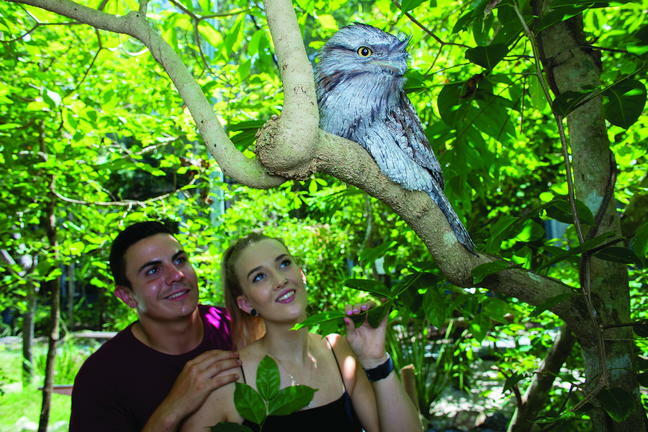 The park is home to over half of Australia's bird species, a third of its mammals and frogs, and more than a quarter of its reptiles. 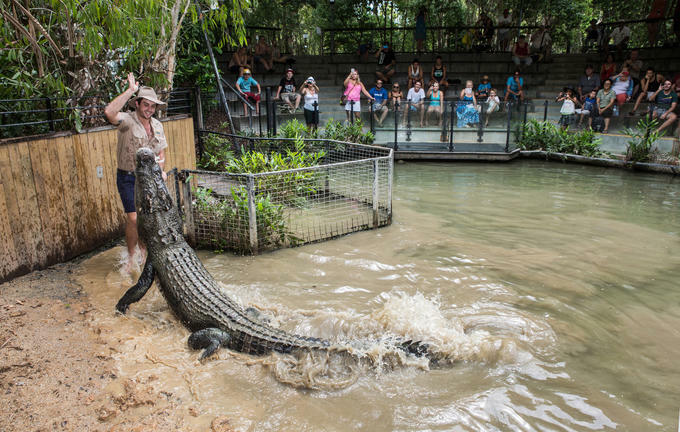 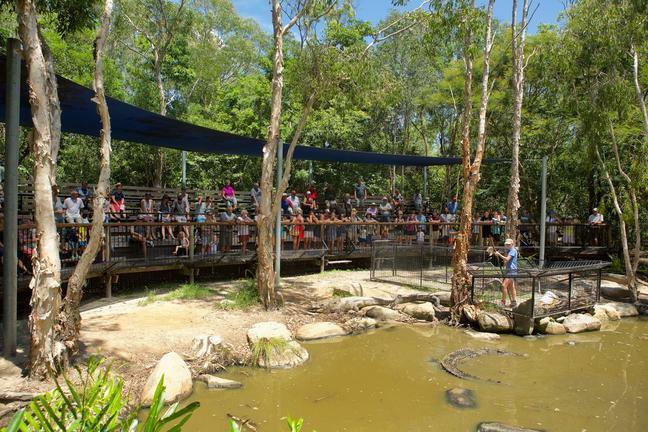 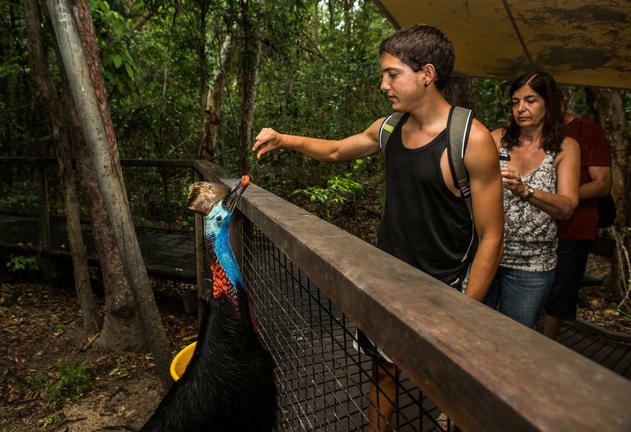 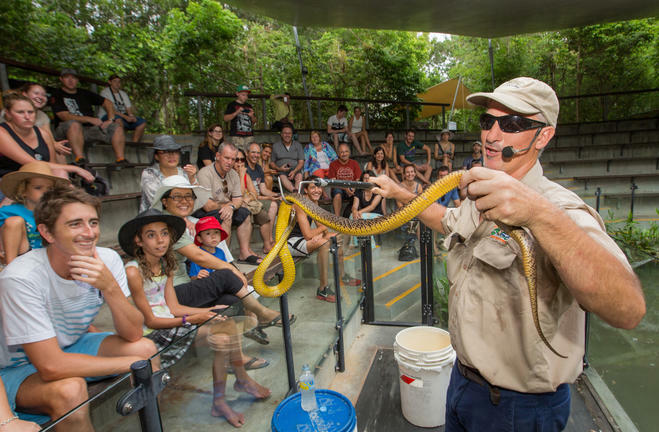 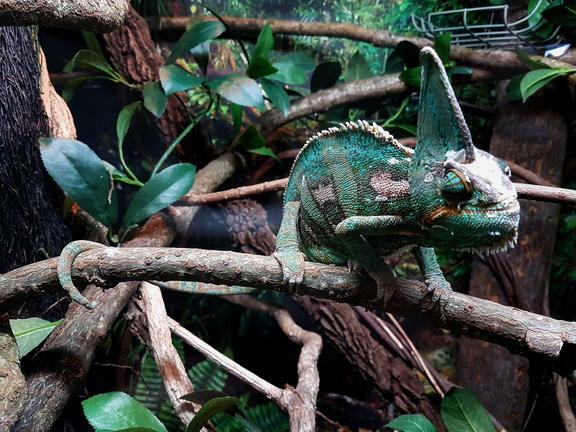 With all of these natural wonders on offer, Daintree National Park provides an ideal destination for animal lovers and outdoor enthusiasts alike. 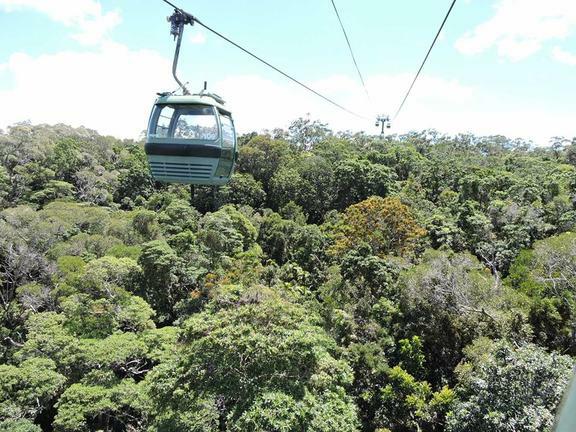 Skyrail Rainforest Cableway, Cairns Australia, is a world first in environmental tourism taking visitors on an amazing experience over Australia’s World Heritage listed Tropical Rainforest canopy and deep into the forest. 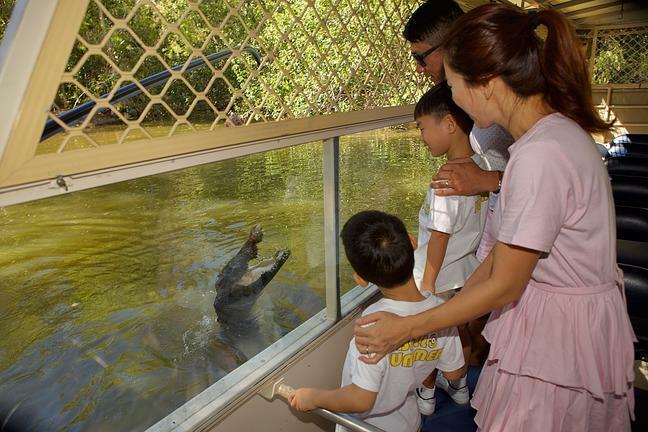 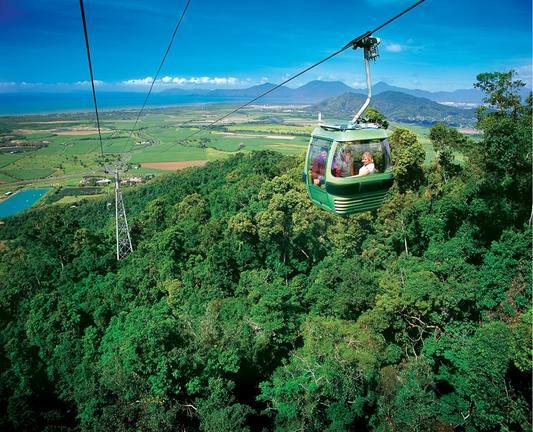 The Skyrail experience is a must do Cairns tour and attraction spanning 7.5kms over pristine rainforest, allows you to explore the wonders of an ancient tropical rainforest and learn about one of the most botanically fascinating and diverse areas on earth. 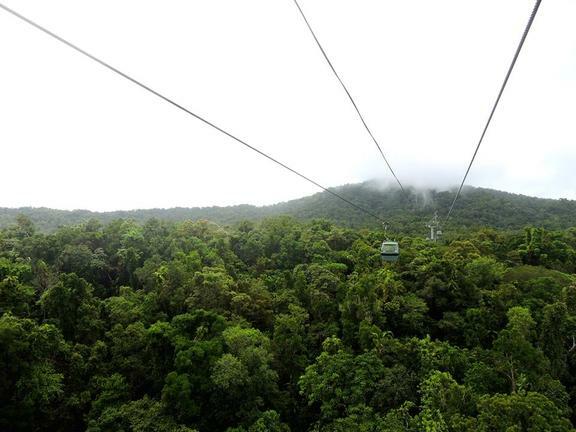 Gliding just metres above the rainforest canopy in comfortable six-person gondola cabins, the Skyrail journey immerses visitors in an intimate rainforest experience where they will see, hear, smell and become part of the tropical rainforest environment. 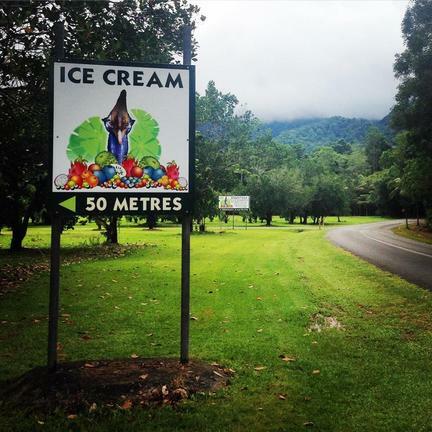 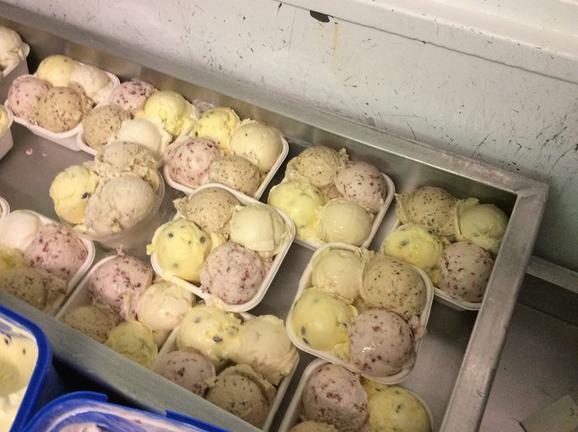 Homemade tropical fruit ice cream, made with fruits from their own orchid, so flavors vary according to the season.The Daintree Ice Cream Company on the northern side of the Daintree River en route to Cape Tribulation is a must stop for all visitors. 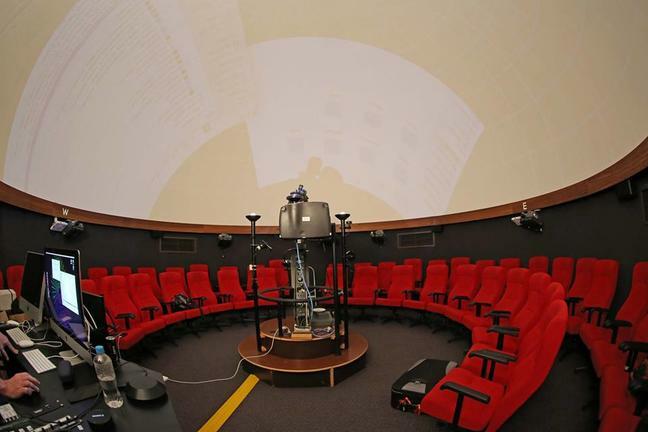 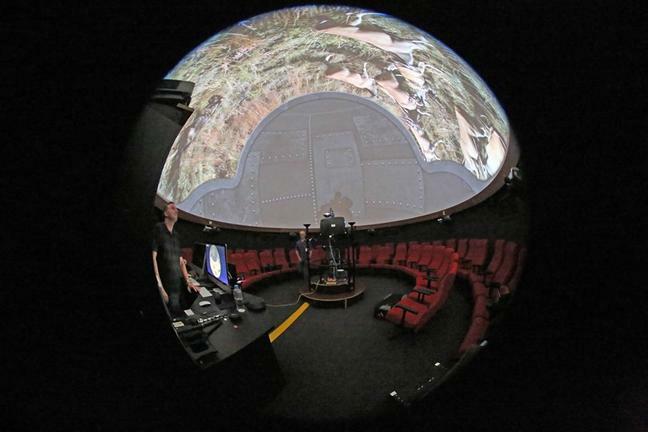 The Adelaide Planetarium is housed at the University of South Australia's Mawson Lakes campus on the second floor of Building P. This completely air-conditioned dome seats 45 people in their new specially designed chairs allowing the audience to view all parts of the artificial sky with ease and comfort. 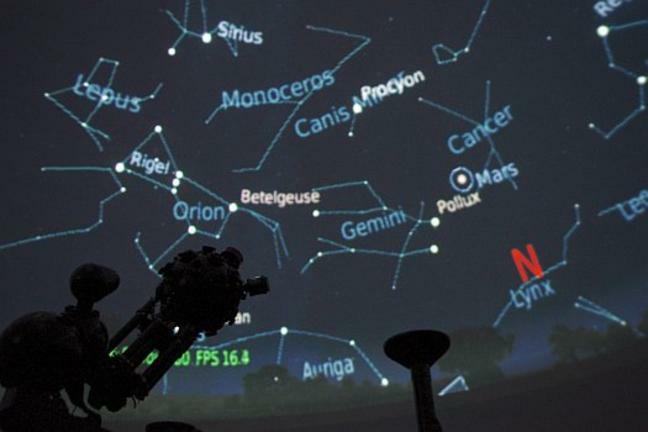 The planetarium offers many advantages over star gazing outdoors. 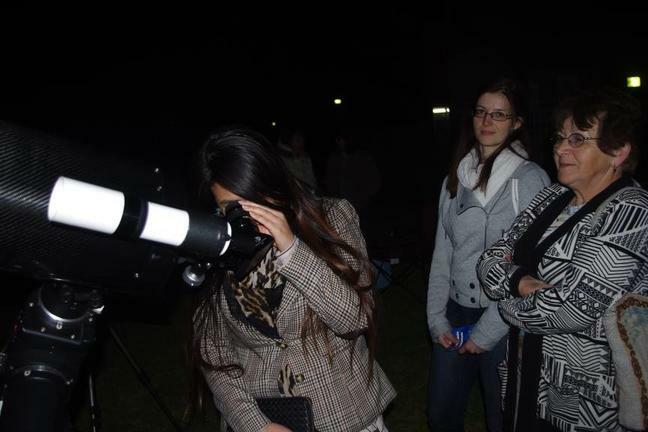 Outdoor observers must contend with the cold, cloud cover, unwanted light from streetlights, the moon and the city glow in general. 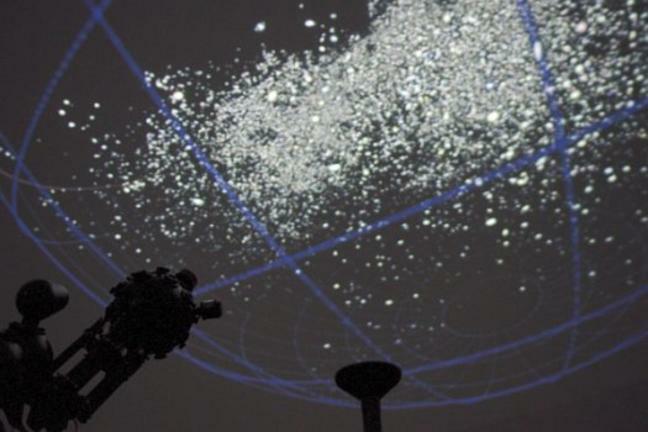 In the air conditioned dome at the Adelaide Planetarium the audience can view all parts of the replica sky with comparative ease. 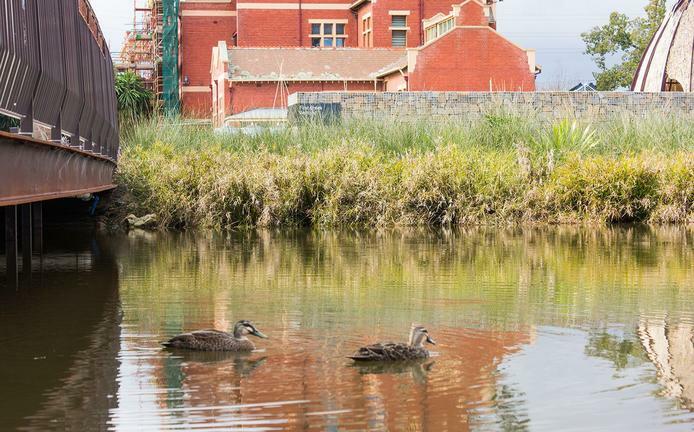 Adelaide Central Market is one of the largest undercover market in the southern hemisphere, buzzing with life and colour all year round. 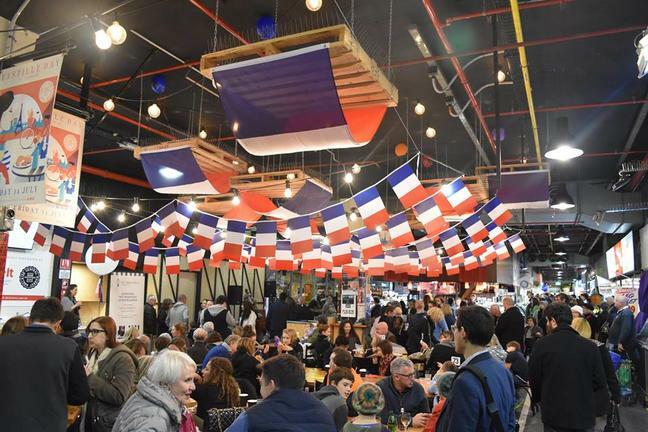 The market offers a huge range of fresh food, including fruit and vegetables, meat and poultry, seafood, cheeses, bakery, small goods and health foods, along with some of Adelaide’s most popular cafes and eateries. 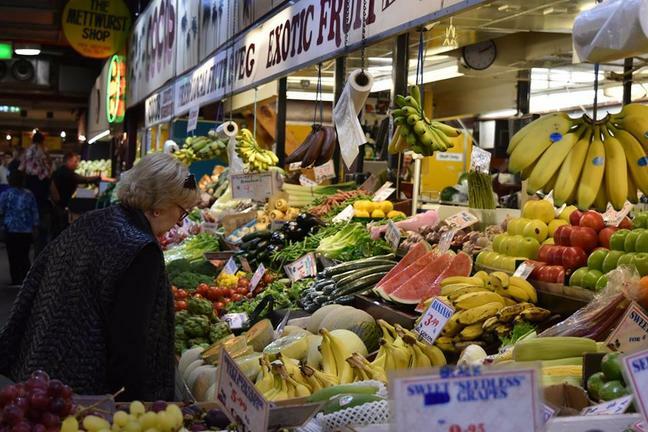 With over 8.5 million visitors every year, the Adelaide Central Market remains the food Mecca for multicultural cuisine and fresh produce. 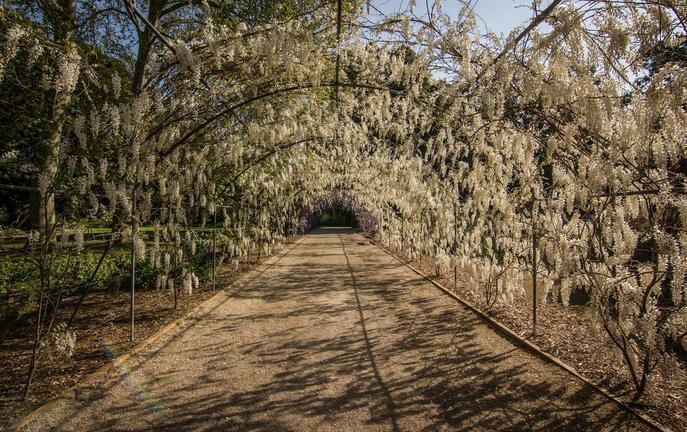 Adelaide Botanic Garden is an oasis of beautifully landscaped gardens, majestic avenues and stunning architecture. 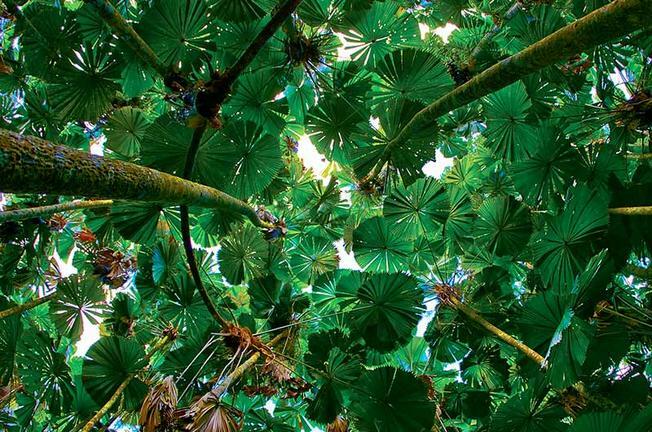 Take time to explore the beauty and diversity of plants from across Australia and around the world. 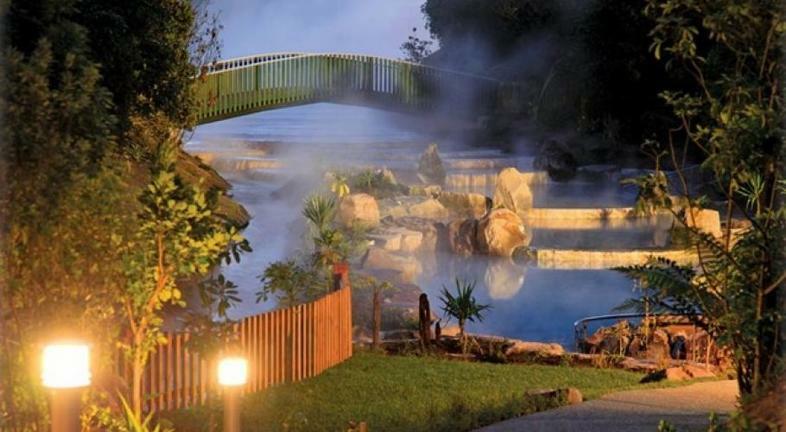 Spend an hour or spend the day amongst the 16 hectares of magnificently landscaped gardens. 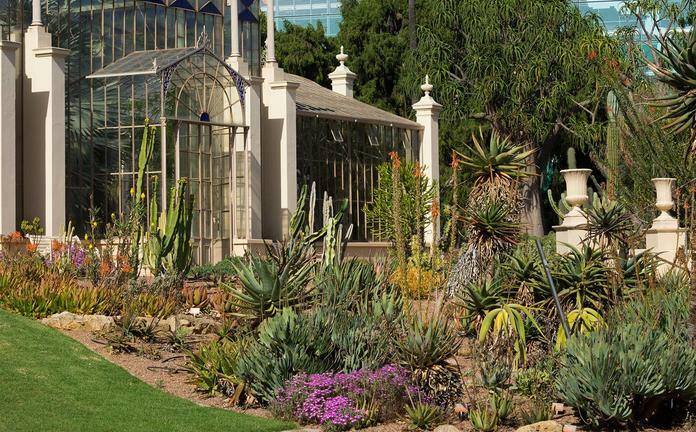 Relax in the shade or enjoy a coffee among some of Australia's finest plant collections. 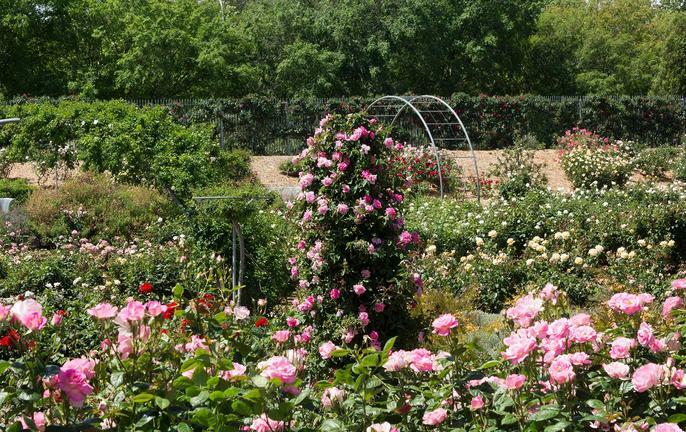 The Botanic Gardens of South Australia manage Adelaide, Mount Lofty and Wittunga Botanic Gardens. 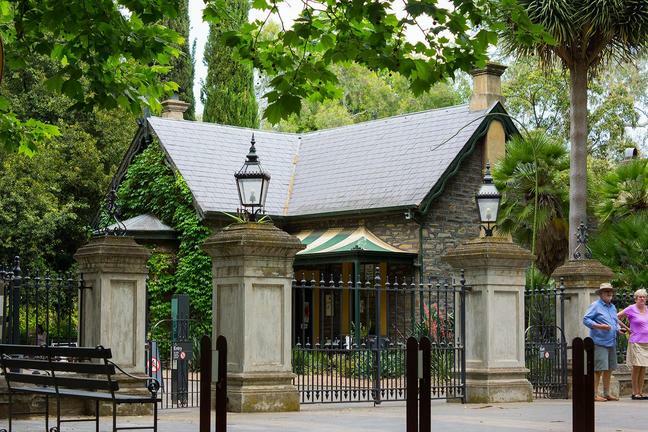 Once known as the ‘City of Churches’, today Adelaide is better recognised for its sophistication, charm and cosmopolitan feel. 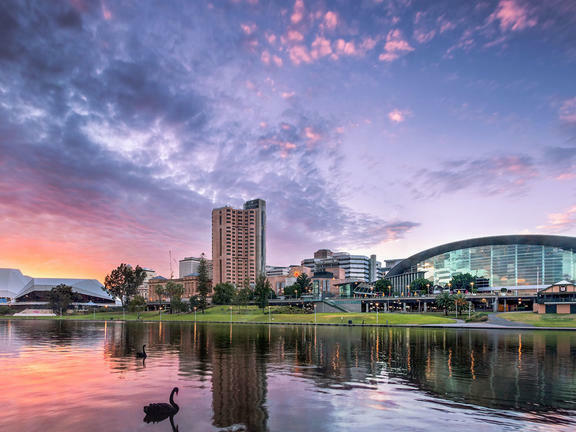 South Australia’s capital is a hub of festivals and art galleries; it enjoys a vibrant nightlife and live-music scene; plus there’s plenty of shopping (including gorgeous opals) to be done, and gastronomic delights to be enjoyed. 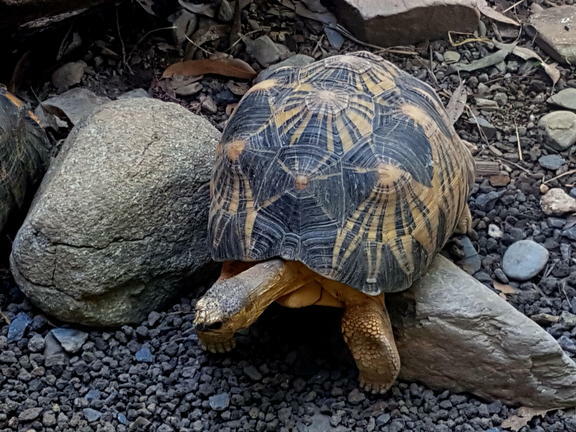 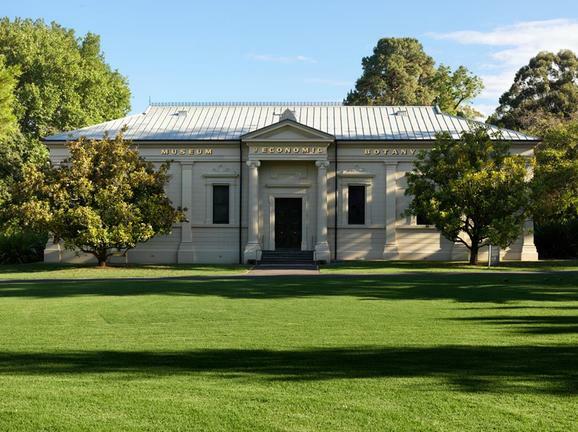 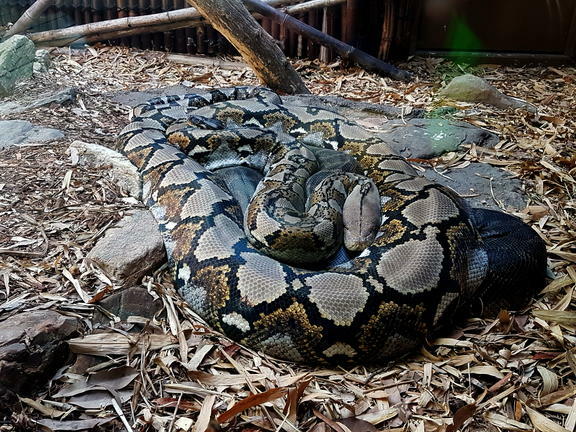 Pop into the Art Gallery of South Australia to view indigenous art, or the South Australian Museum devoted to natural history; take an amble in the Adelaide Botanic Garden; or if you’re up for a hike, find out about the trails on the Mount Lofty Ranges. 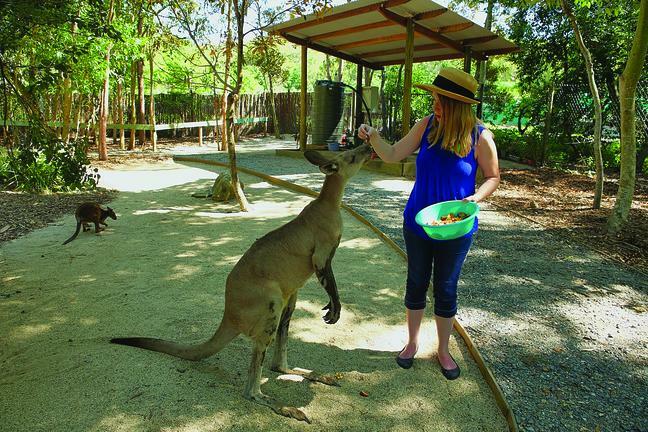 For those with limited time, experience the highlights of South Australia’s nature based tourism destination, Kangaroo Island. 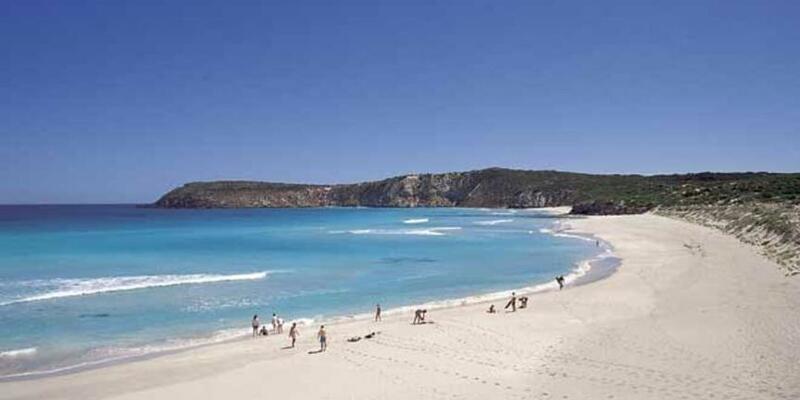 As one of the popular day tours, guests will see all of the major attractions of Kangaroo Island. 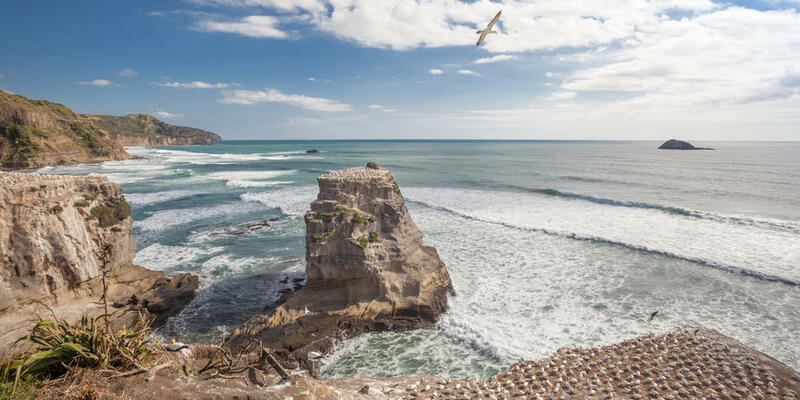 Visit Seal Bay Conservation Park where guests will be taken on a beach walk with an experienced park ranger to see Australian sea lions. 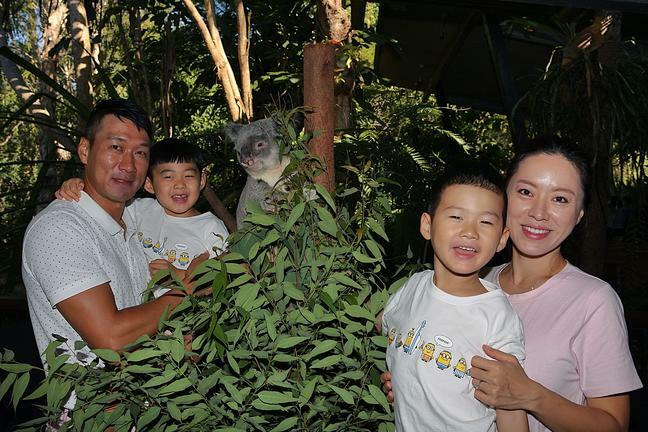 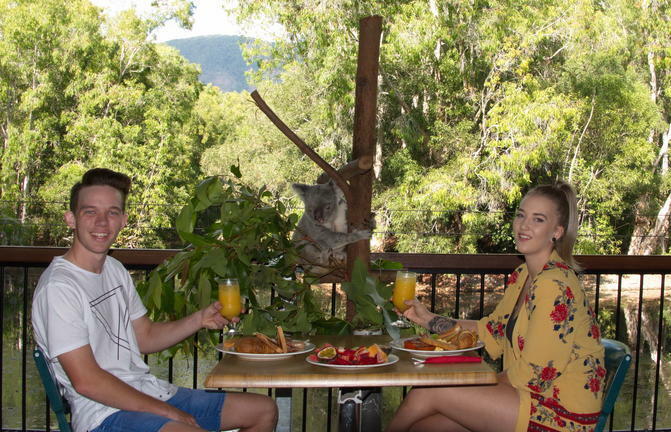 Enjoy a delicious two course lunch at Vivonne Bay Bistro, set in a beautiful Australian bushland setting, followed by a visit to the Hanson Bay Wildlife Sanctuary, where guests will see koalas relaxing in the trees. 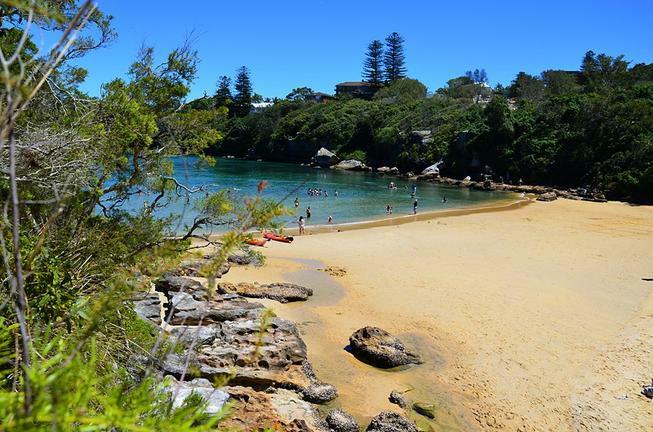 Spend the afternoon at Flinders Chase National Park, walk around Remarkable Rocks and see playful Long-nosed Fur Seals at Admirals Arch. 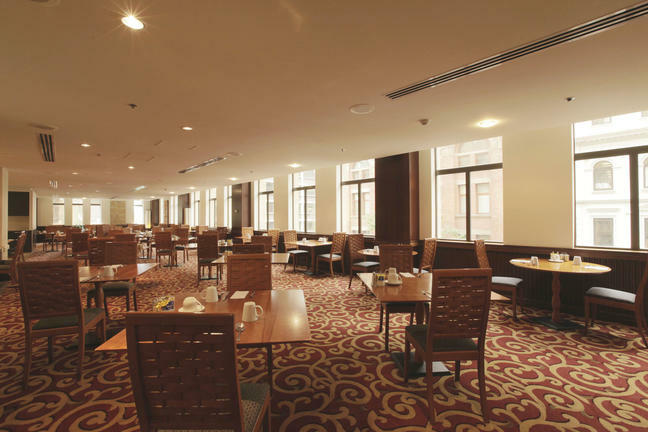 Schedule: Pick-up at hotel at 6.15am. 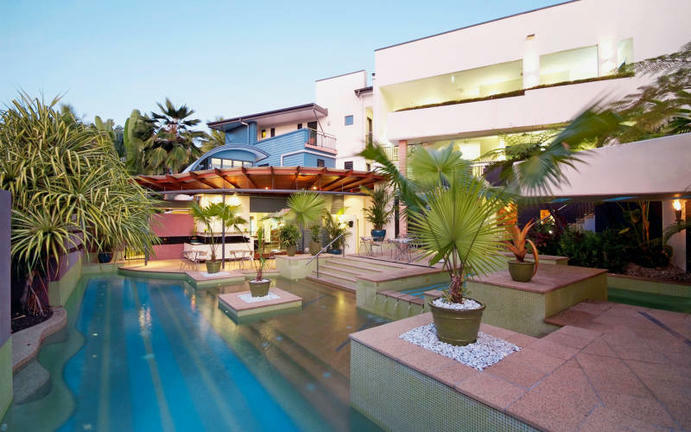 Phone: 1300 769 762. 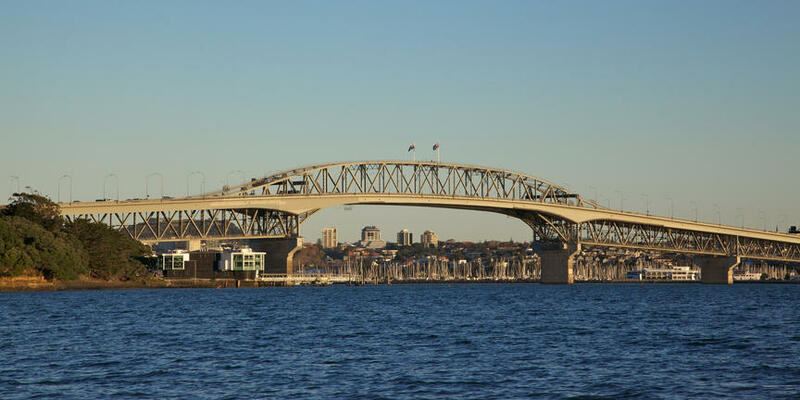 7.00pm: Arrival at Adelaide Airport with taxi transfer back to the hortel (at 7.30pm). 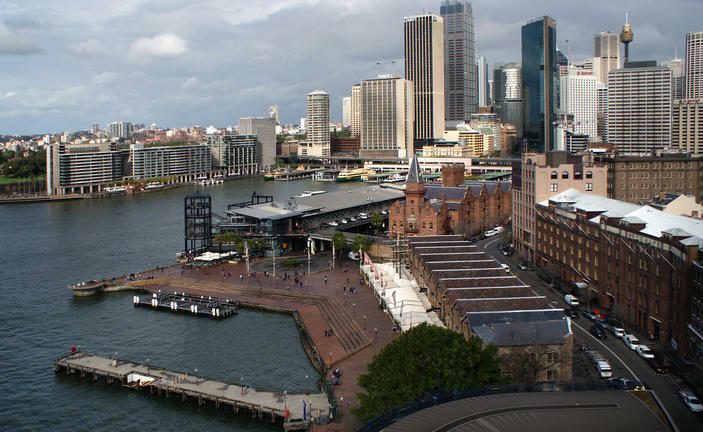 Taxi note: Your SmartCar (taxi) driver will greet you inside the terminal upon arrival. 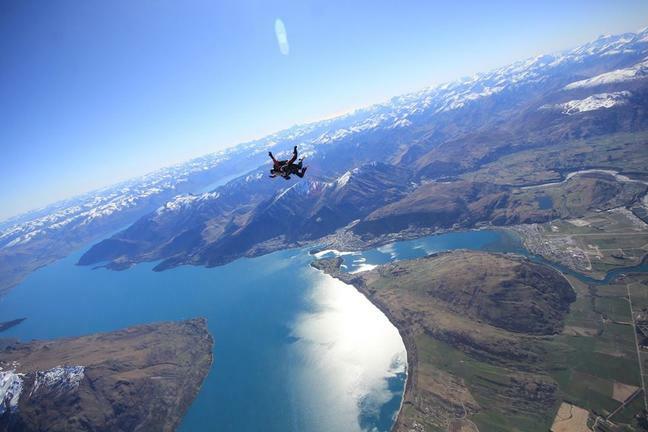 Ph: 1300 887 121. 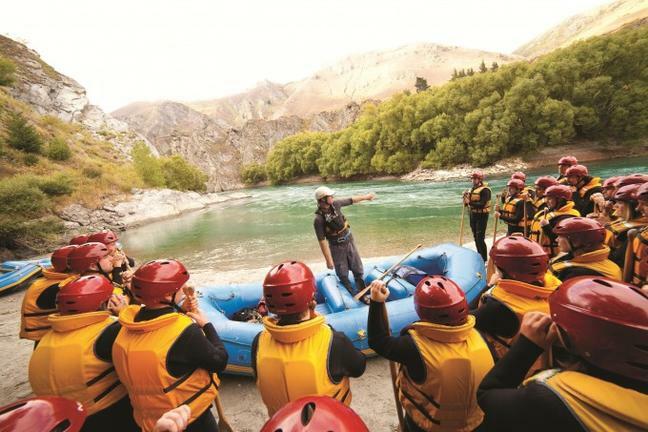 Flight note: We strongly recommend that all passengers WITH checked baggage present themselves 60 minutes prior to the scheduled time of departure and if travelling without checked baggage, 40 minutes prior. 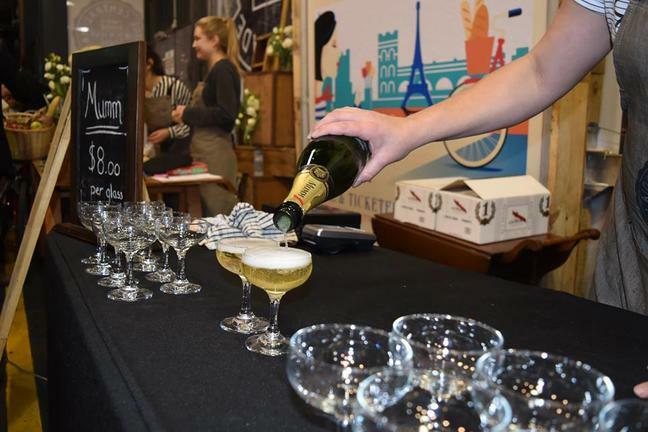 All counters will stop accepting customers for check-in 30 minutes prior to scheduled departure. 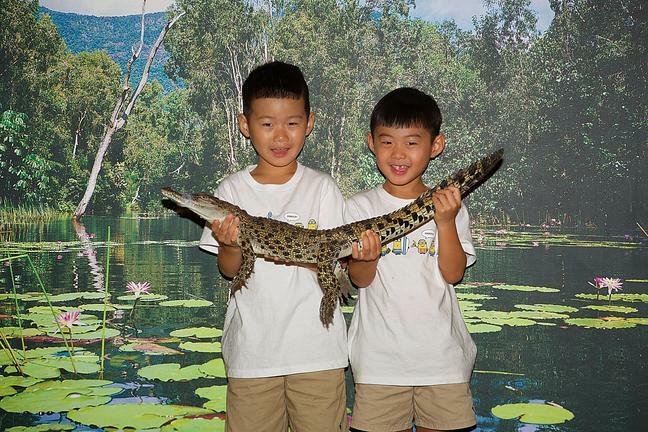 As Regional Express Airlines are a ticketless organisation, photo identification is required at check-in. 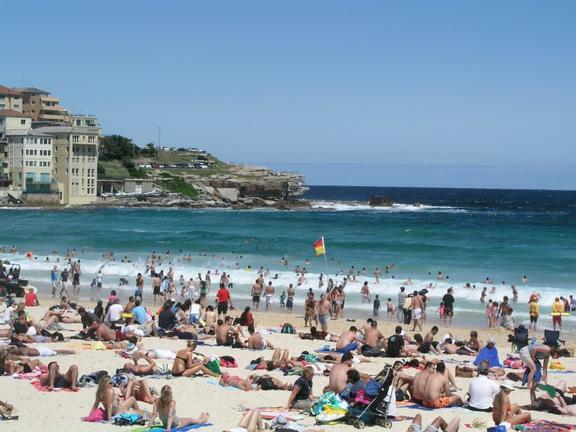 Baggage allowance is a maximum of 15kgs of checked-in baggage and 7kgs of hand luggage. 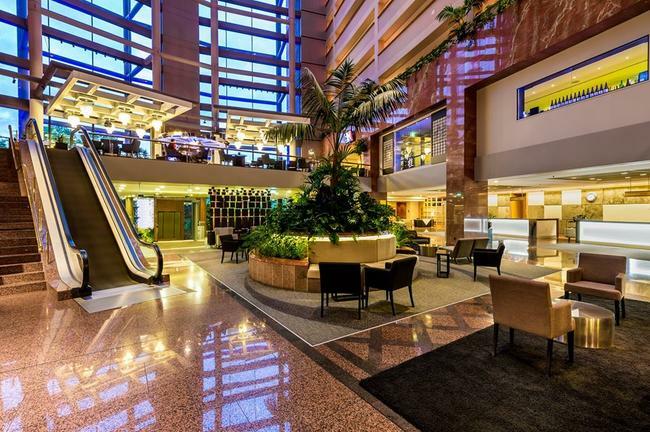 Check-in: 10 minutes prior departure at hotel entrance. 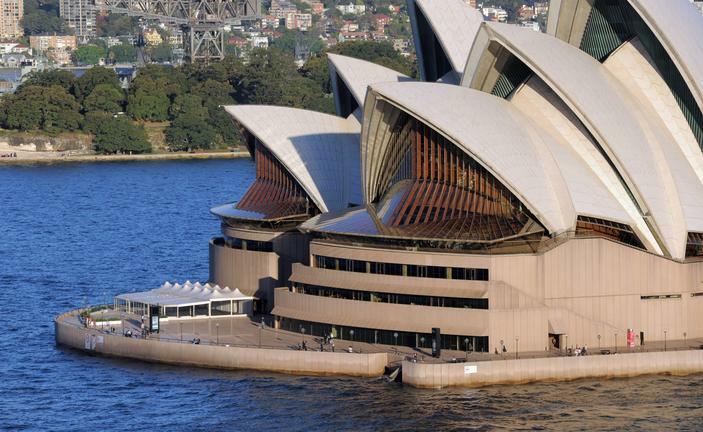 Length of tour: allow 13.5 hours. 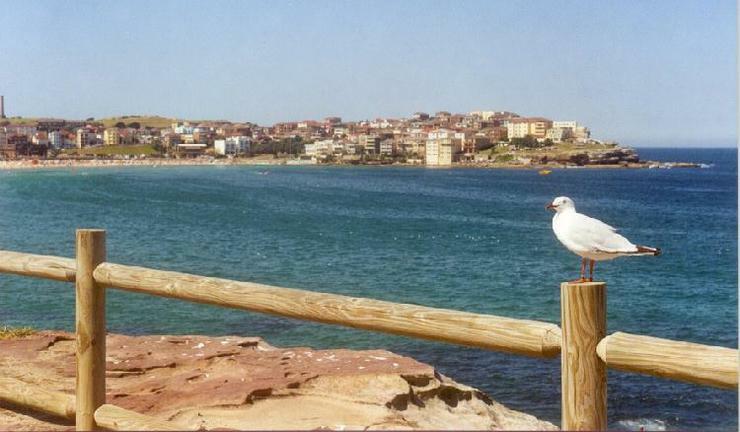 How to get there: Transfer to Cape Jervis, Ferry to Penneshaw, flight Kingscote to Adelaide. 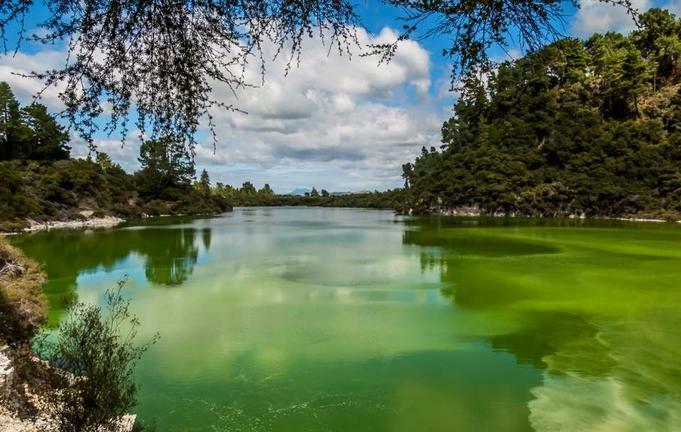 What to bring: Backpack or bag, camera, walking shoes, rain jacket, required medication, insect repellent, sun glasses, sun screen, sun hat, warm top, water bottle. 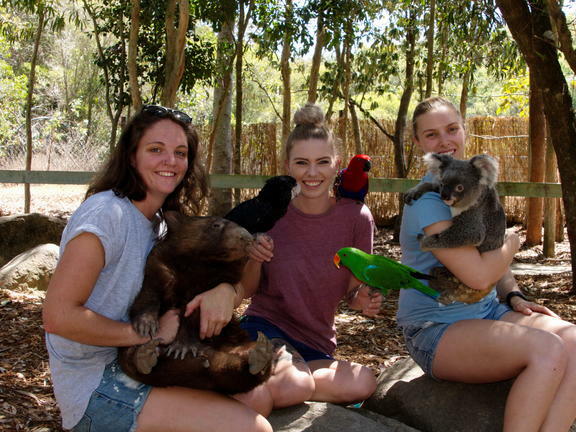 What is provided: Transfers, ferry, flight, Qualified Guide, Seal Bay Conservation Park guided beach walk, 2 course lunch at Vivonne Bay Bistro set in a beautiful Australian bushland setting, Koala viewing at Hanson Bay Wildlife Sanctuary, Flinders Chase National Park – Remarkable Rocks & Admirals Arch. 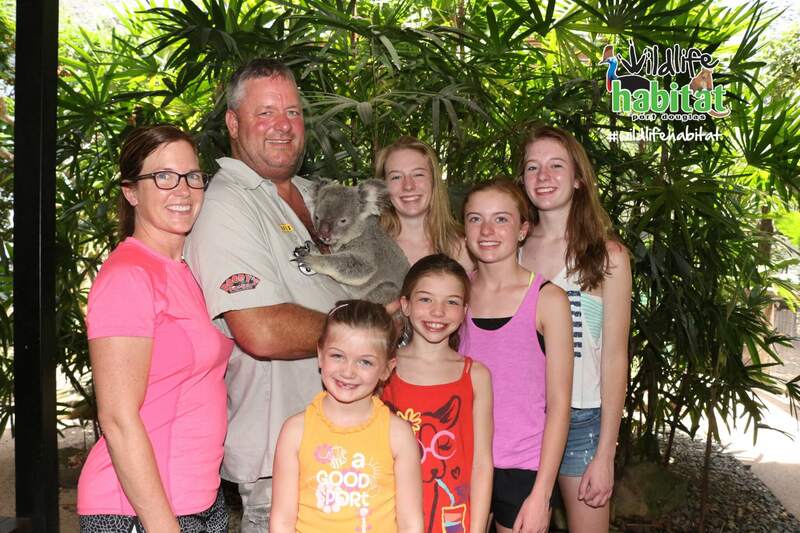 Notes: Please note that pick up and drop off times can vary by up to 10 minutes. 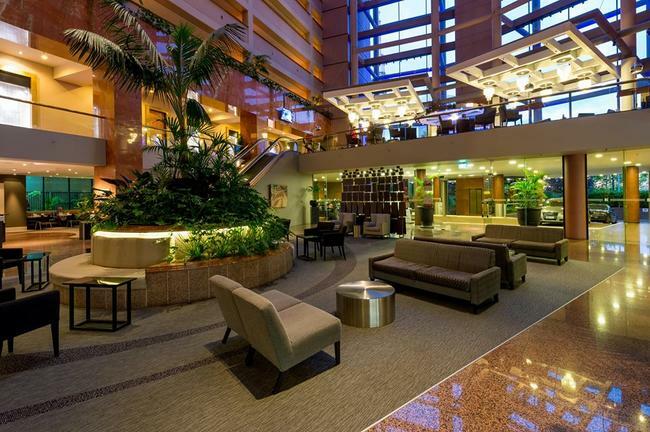 For all hotel/motel pick ups, please be waiting in view of the coach at your departure point. 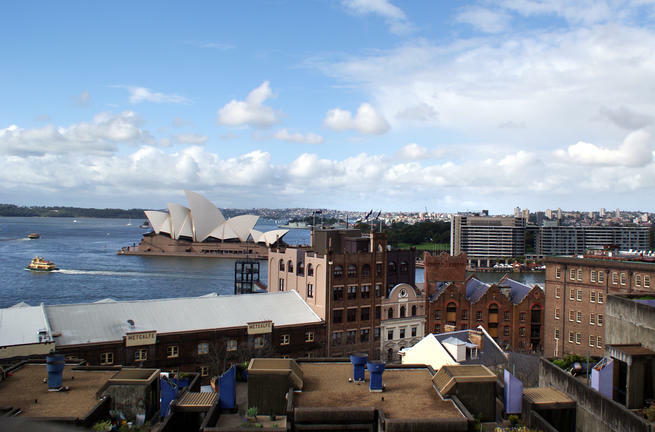 If you have any queries regarding your Hotel pick up, please contact Adelaide Sightseeing on 1300 769 762. 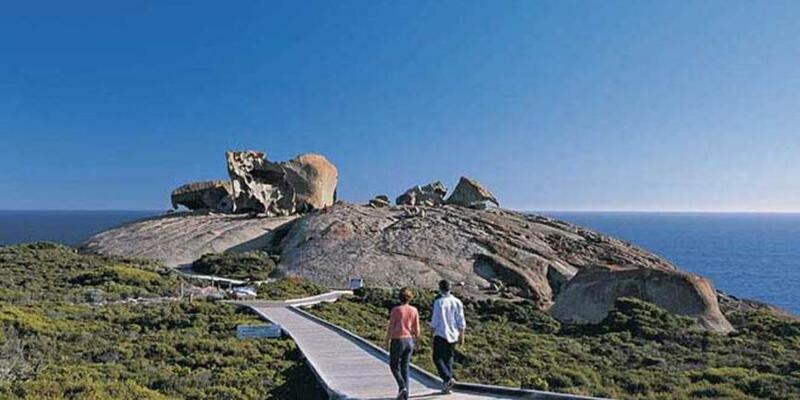 Kangaroo Island (“Ki” to the locals) is Australia’s third largest island and a well-known haven for wildlife enthusiasts seeking a retreat. 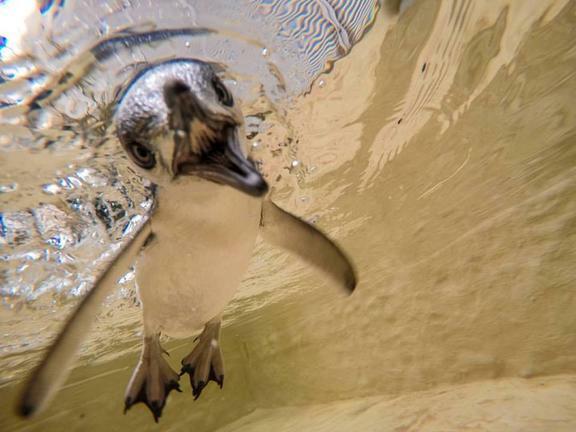 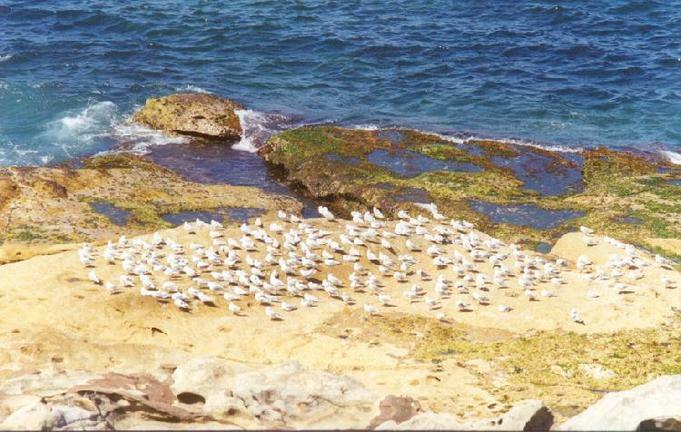 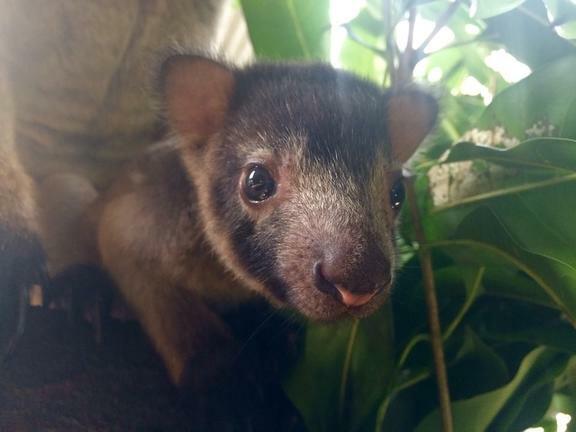 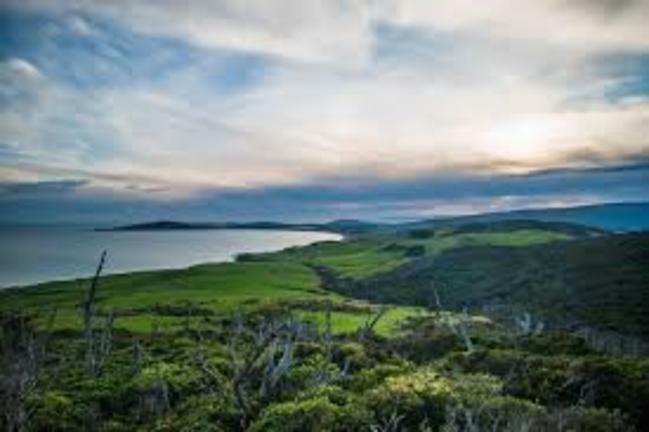 The island lies around 112 km southwest of Adelaide and is almost two thirds protected by reserves and national parks. 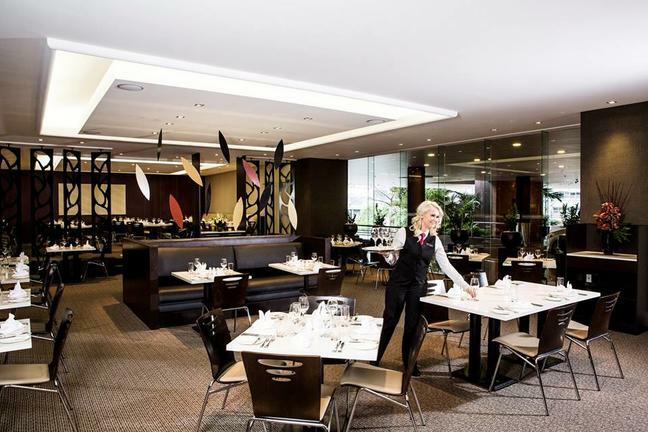 There are also many cafés and restaurants that serve fresh local fare. 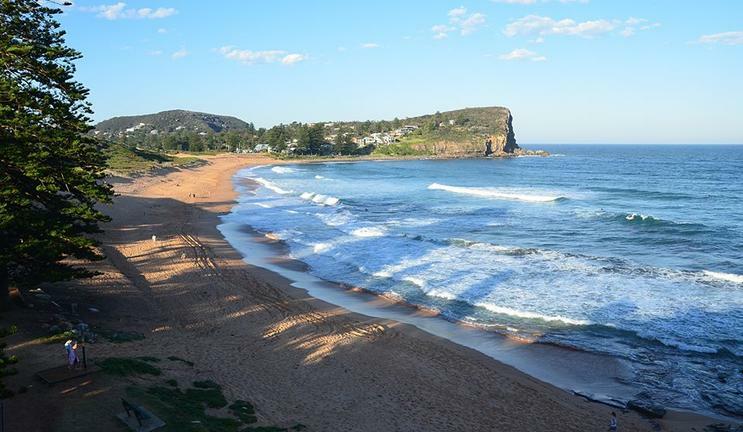 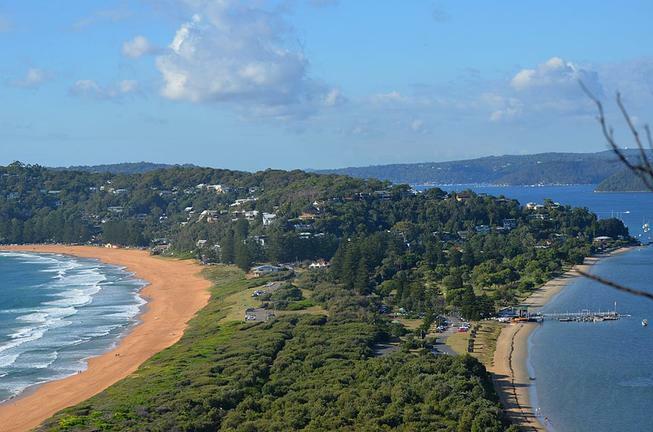 The island’s main focus is on eco-tourism and you’ll find flawless beaches along the coastline such as Vivonne Bay, which was crowned Australia’s best beach in 2003. 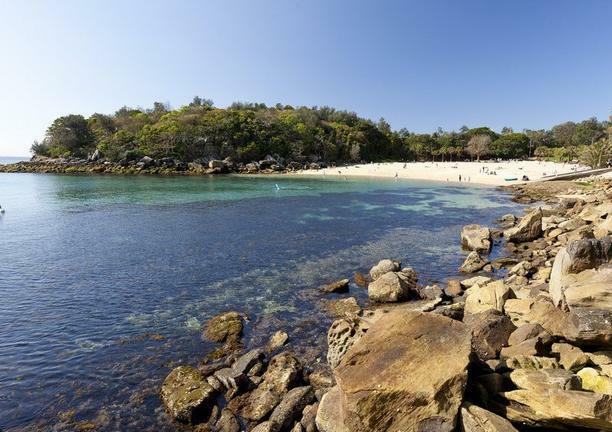 Island Beach is another remote oasis, where kangaroos, seals, dolphins and various birds are found in abundance, while the west coast of Flinders Chase National Park is home to the iconic granite boulders known as Remarkable Rocks. 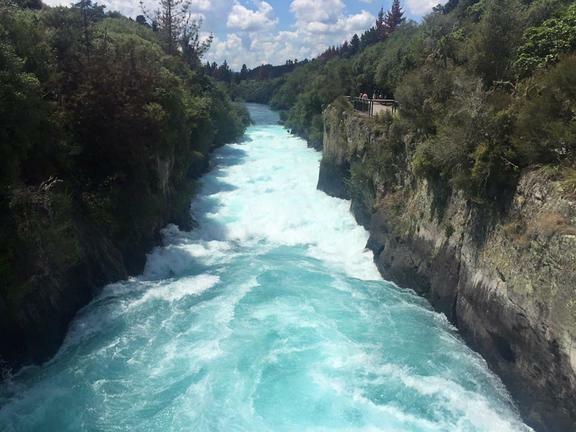 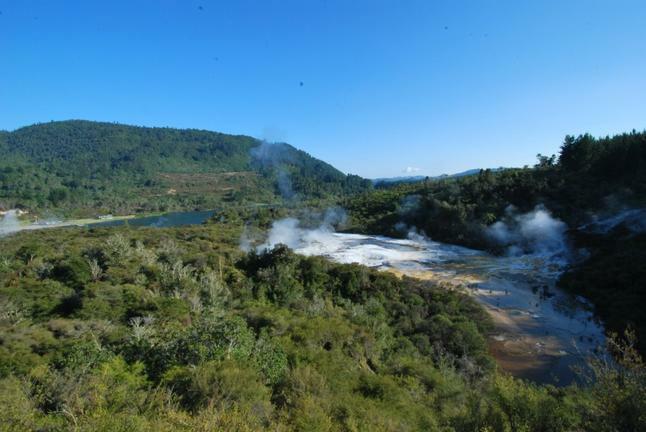 Significant natural thermal springs; mud and silica waters found in geothermal areas have been used for hundreds of years by Maori for healing and wellness. 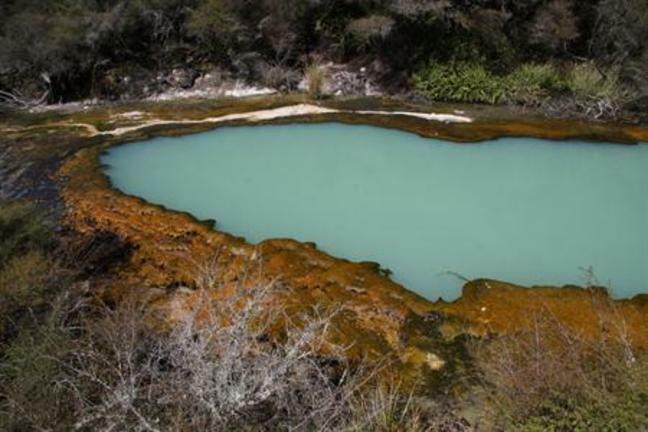 Specific sites were often located in beautiful landscapes, at the junction of rivers and streams, on the shores of pristine lakes and below magnificent silica terraces. 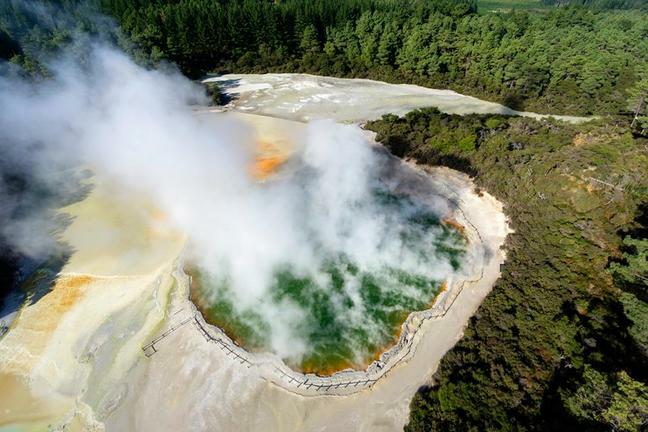 At Wairakei Terraces, pools of varying temperatures between have been strategically positioned below the silica terraces and waterfall, taking full advantage of the geothermal water flow that is drawn to the earth’s surface from 1.5 kilometres underground. 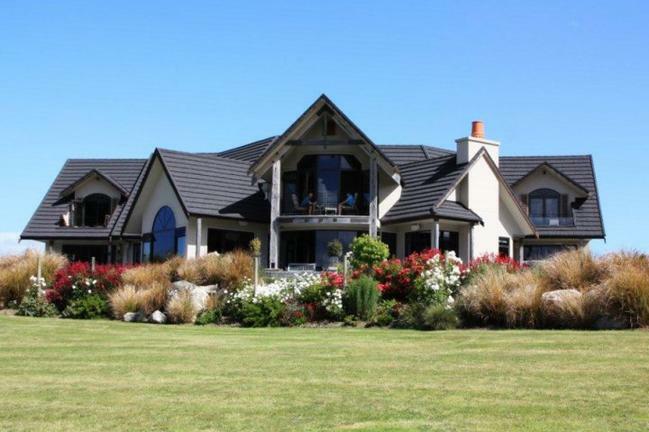 Riverton or Aparima is a small town 30 kilometres west of Invercargill via State Highway 99 on the Southern Scenic Route. 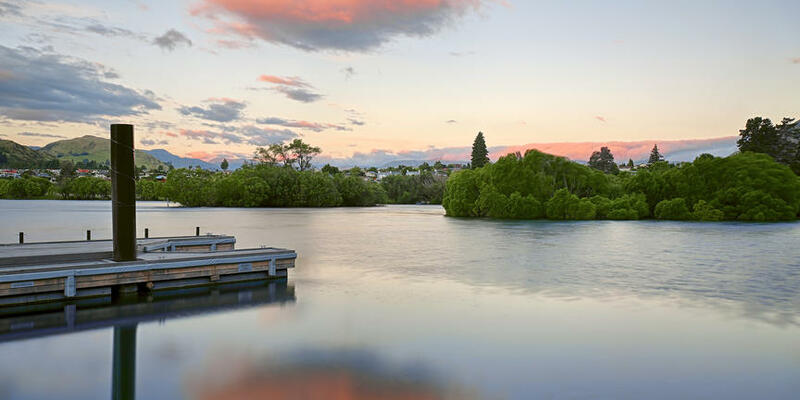 It is situated on the south-eastern shorelines of the Jacobs River Estuary being formed by the Aparima and Pourakino Rivers, which leads through a narrow outflow channel into Foveaux Strait. 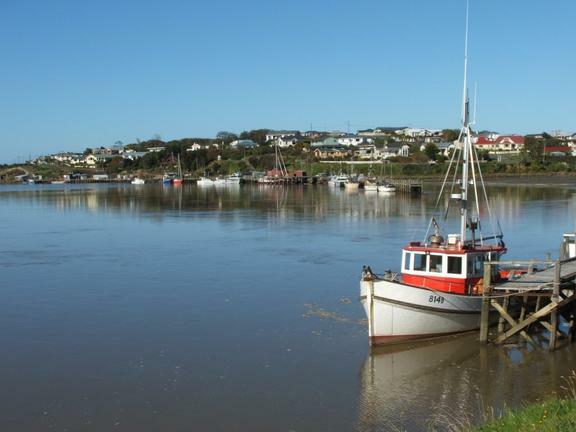 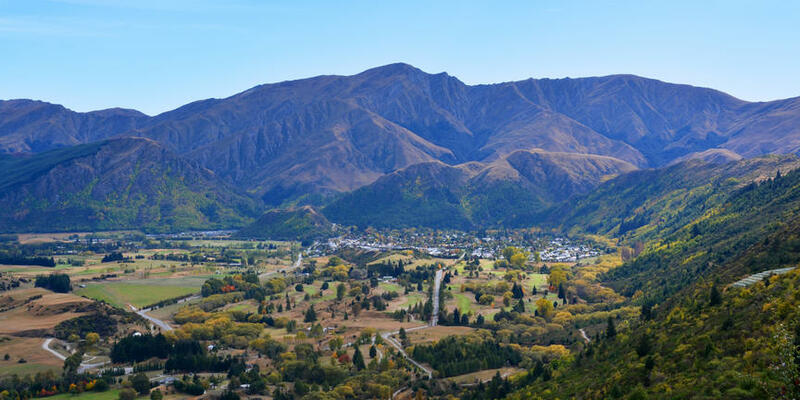 The main part of the town is on flat land (the Southland Plains) and the northern end of Oreti Beach but South Riverton is built on the hills (the Longwood Range) between the eastern shore of the estuary and Taramea Bay. 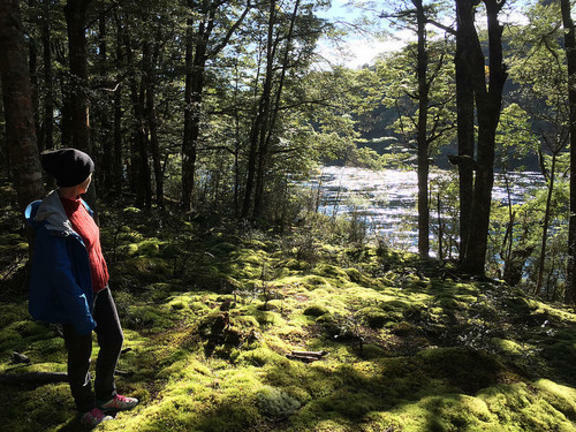 The Kepler Track Car Park is located at the southern end of Lake Te Anau. 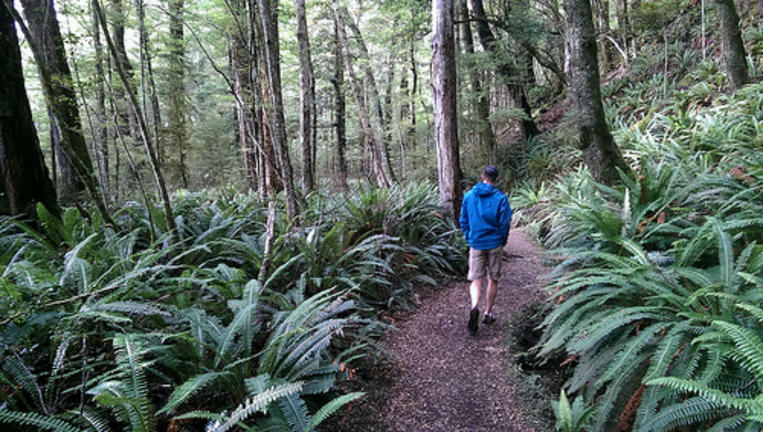 It marks the start of the Kepler Track, which is a 3 to 4 day Great Walk. 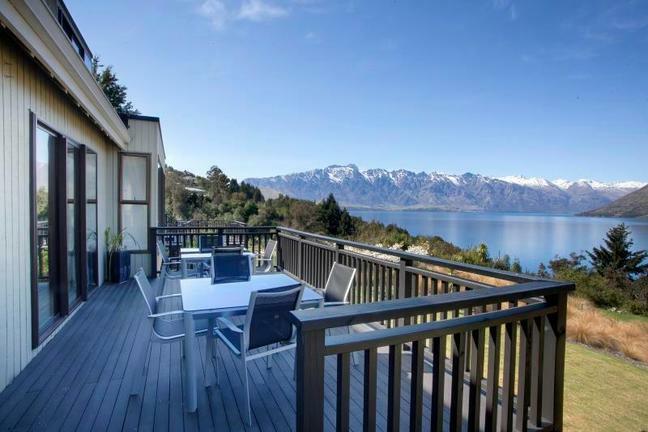 The car park offers excellent views of the lake and the Fiordland National Park. 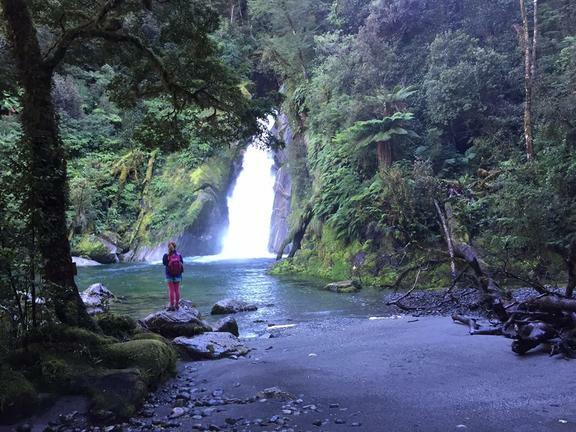 We recommend: From the Rainbow Reach carpark (15 min south of Te Anau towards Manapouri), cross the swingbridge then turn left onto the Kepler Track towards Moturau Hut. 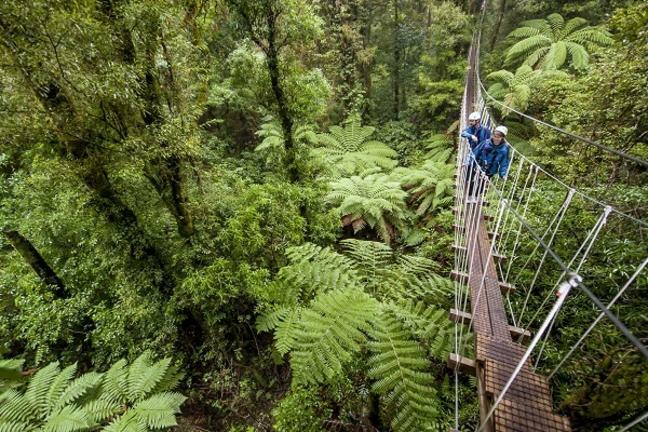 The track is gently undulating and wanders through mountain beech forest with some great river views. 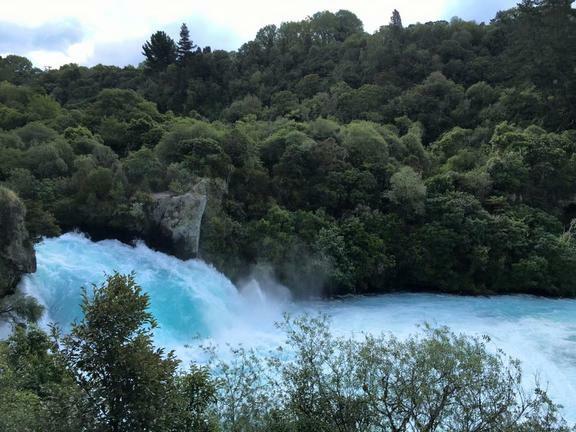 Some scenes in the Lord of the Rings movies were filmed near this part of the river. 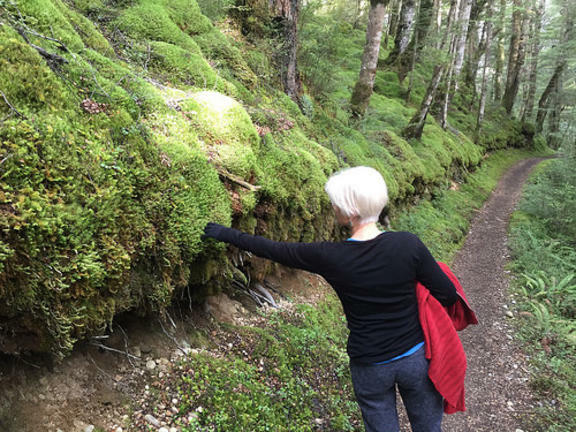 Further along, cross a kettle bog then continue to the shores of Lake Manapouri. 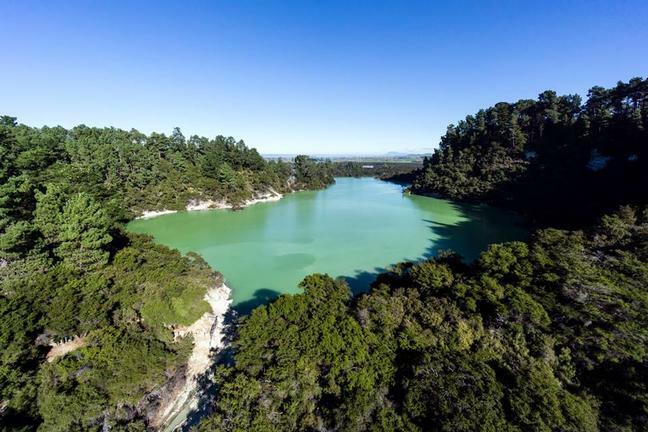 The Moturau and Shallow Bay Huts are near the lake shore. 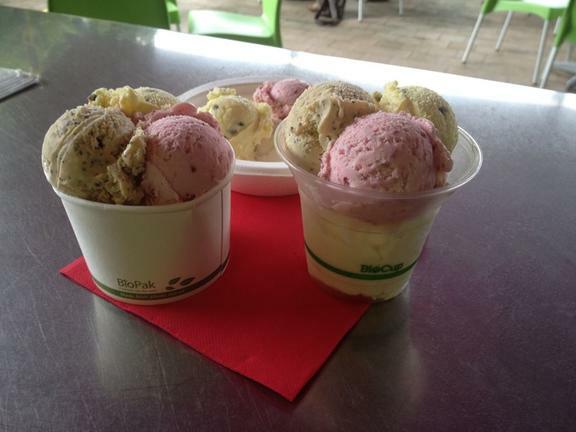 Lunch: A picnic lunch is included in the cost. 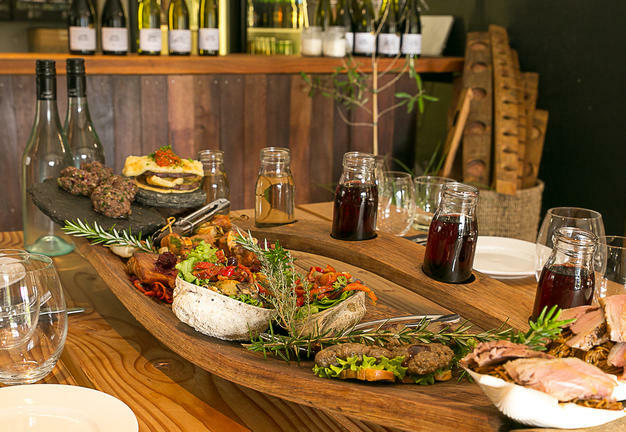 It includes a hearty salad and shredded chicken roll, sweet slice selection and fresh seasonal fruit. 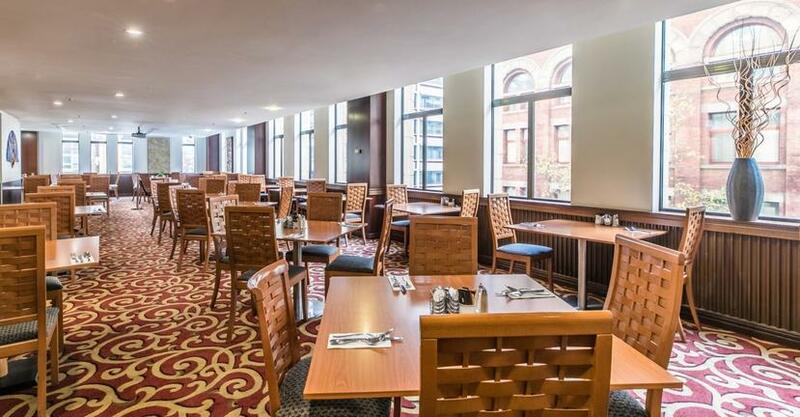 Gluten free and vegetarian options available. 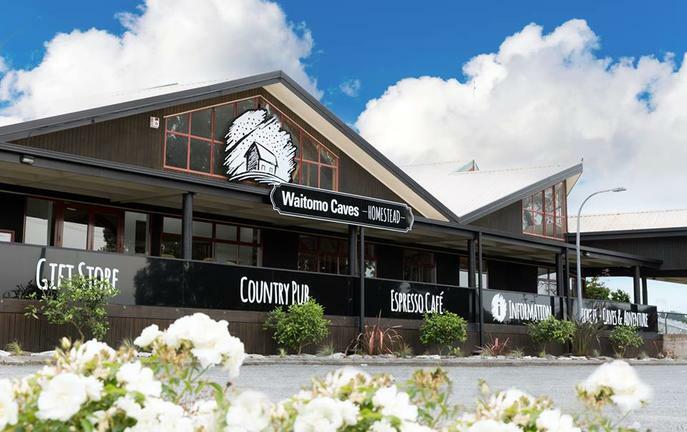 Additional café style food is available for purchase on board the vessel at Milford Sound. 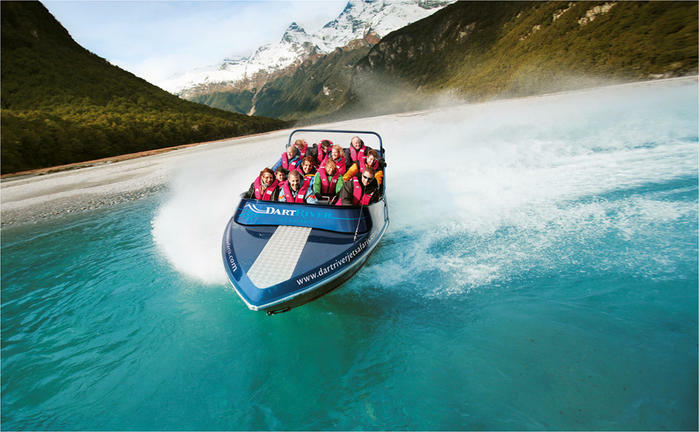 Departs/ Finishes: Meet at Te Anau Info Centre on lakefront. 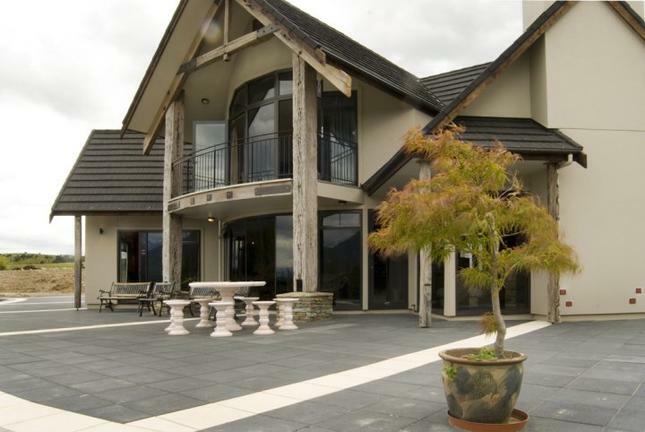 Pick-up from accommodation in Te Anau can be arranged on request. 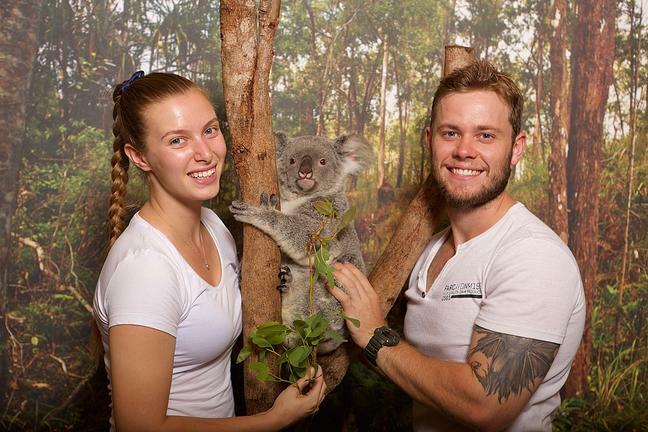 Phone: 0800 305 807 (Trips & Tramps). 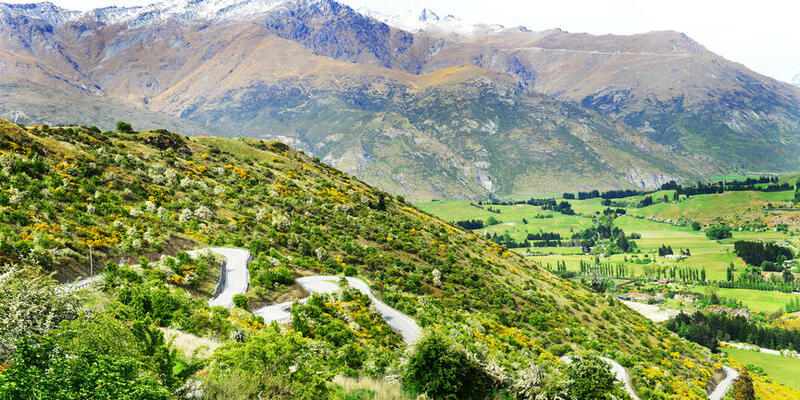 Reconfirm: day before on NZ Free phone 0800 305 807 or 03 249 7081 for weather & tour updates. 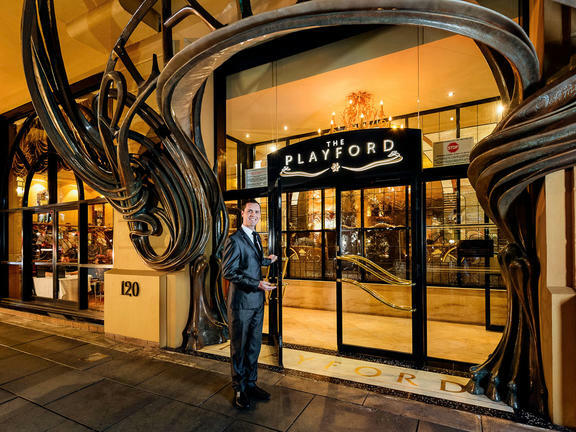 The Playford Adelaide is a boutique hotel in the heart of Adelaide which offers the perfect blend of classical style and contemporary luxury. 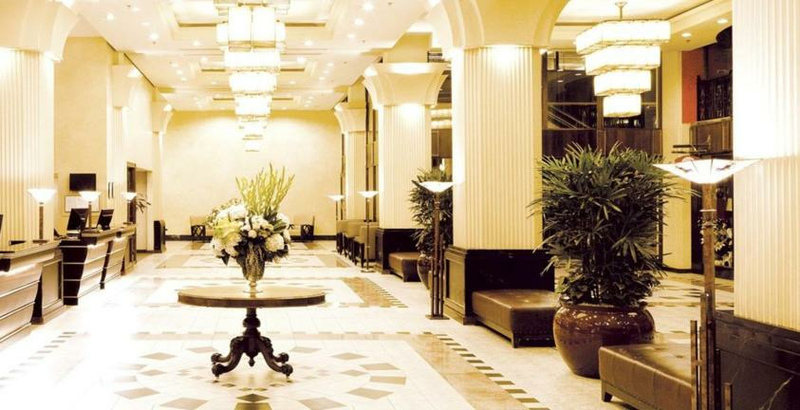 Located only 9km from Adelaide International Airport this hotel has a stunning Art Nouveau ambience and features 182 beautifully appointed guestrooms and suites luxurious amenities and exquisite cuisine. 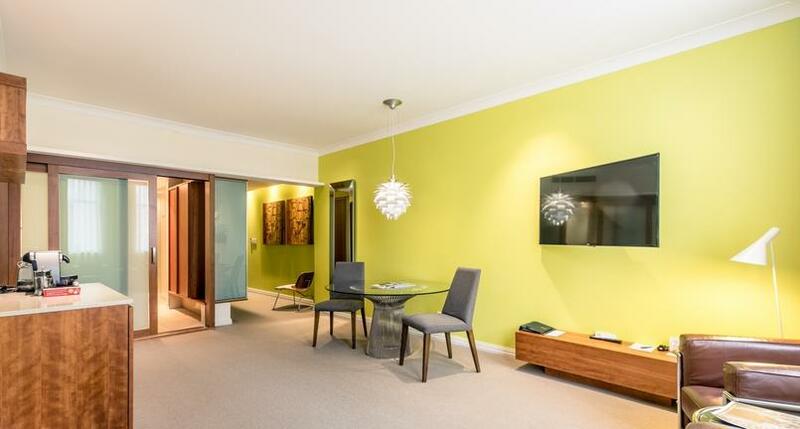 Ideally located opposite The Adelaide Convention Centre, Adelaide Casino, Adelaide Oval and within close walking proximity to central business district. 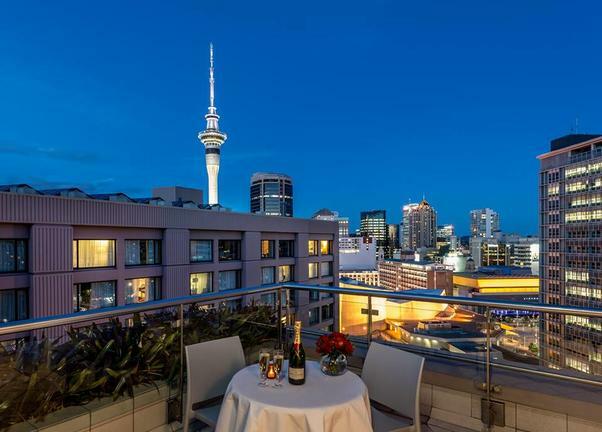 The Grand Millennium is being situated in the very heart of cosmopolitan Auckland with some of the city’s finest dining, shopping and entertainment venues at your doorstep. 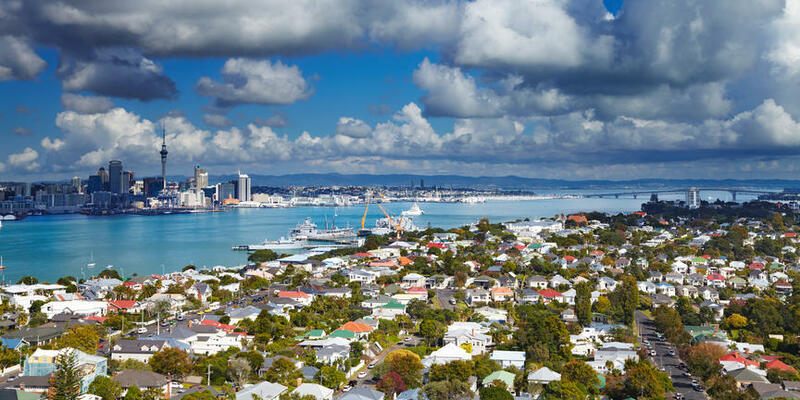 Also nearby are landmark venues: The Civic, Auckland Town Hall and Aotea Square, the city's largest outdoor civic space where you can relax and often attend local events. 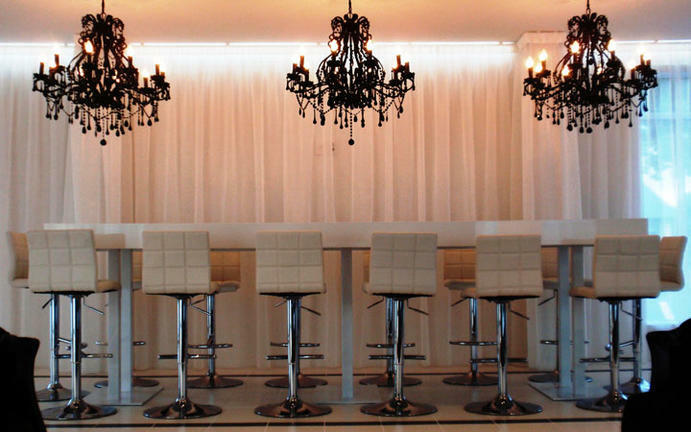 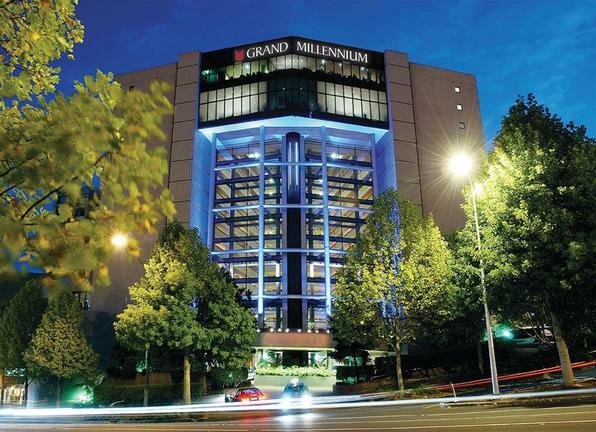 Grand Millennium Auckland provides a superior experience through excellent service and attention to detail. 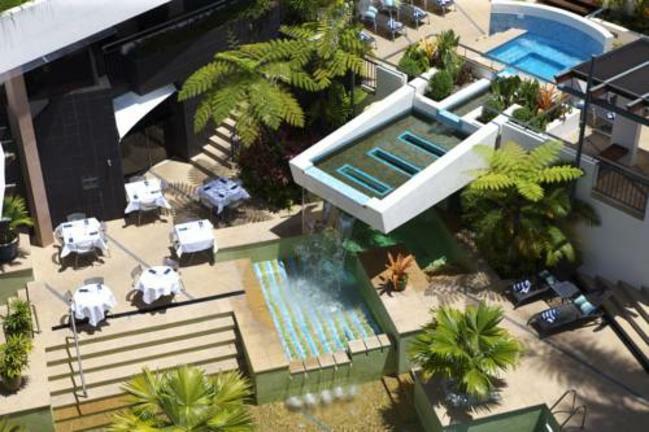 All of the 452 stylish rooms and suites at the hotel, combine smart design, chic decor, floor to ceiling windows for natural light and modern amenities. 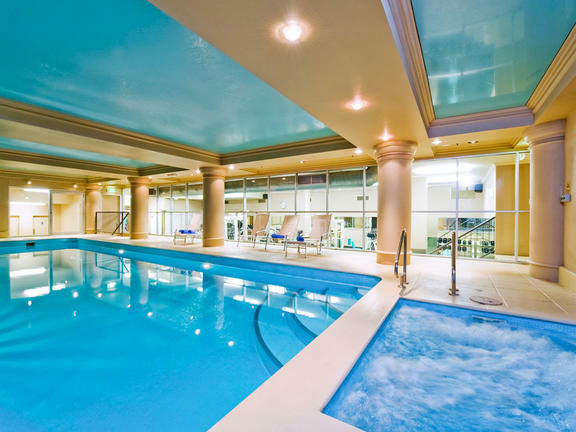 Take advantage of quality facilities during your stay, whether it’s enjoying a swim in the heated indoor pool or savouring a delicious teppanyaki meal at Katsura Japanese Restaurant. 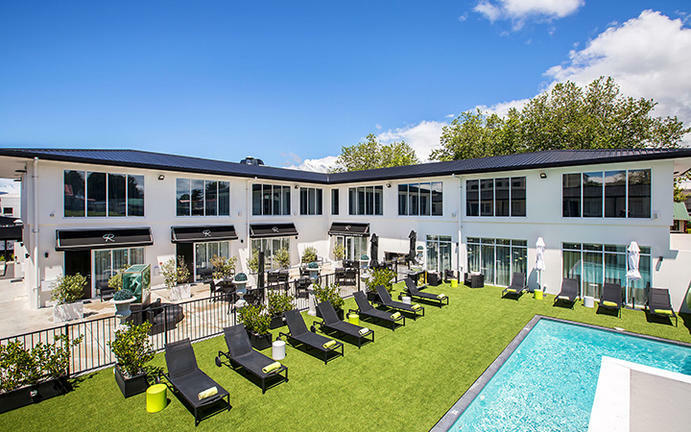 Escape to The Regent of Rotorua, Rotorua’s designer boutique hotel offering stylish luxury accommodation, restaurant, wine and cocktail bar, all with a touch of glamour. 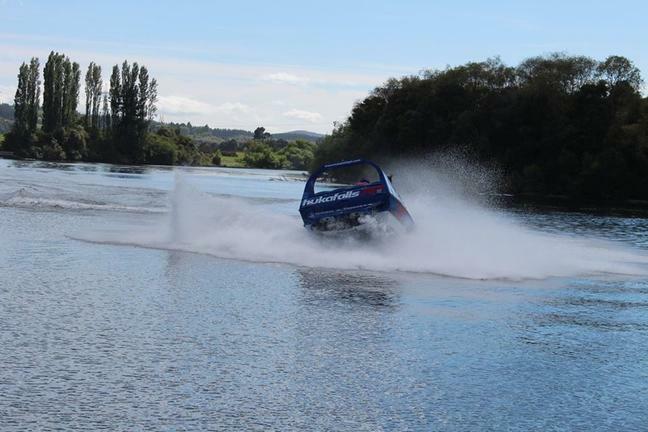 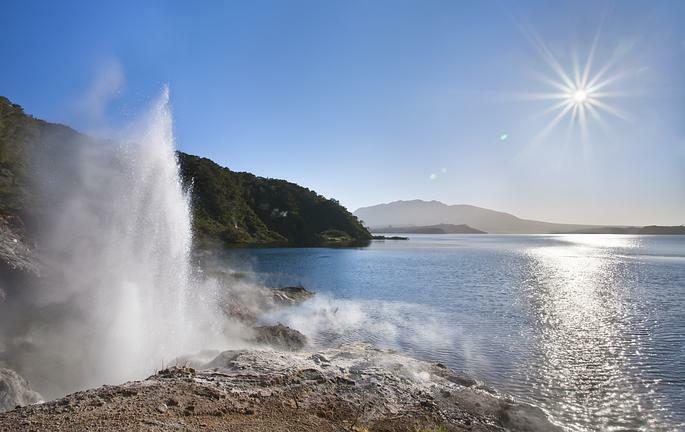 An oasis of understated contemporary elegance amidst the exciting attractions and experiences Rotorua has to offer. 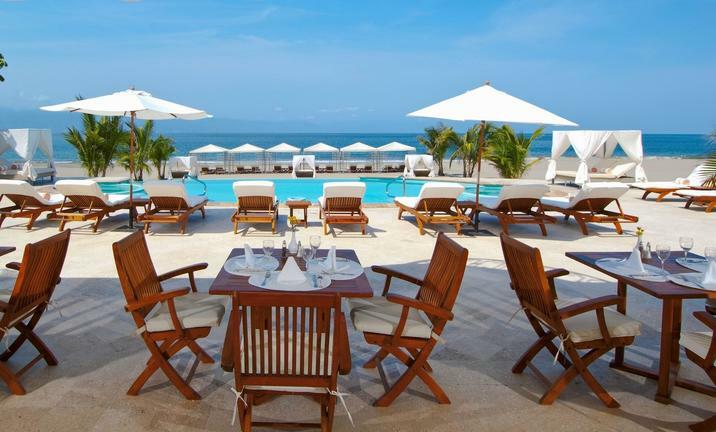 Step out of the hotel’s gorgeous guest room or suite and stroll down to the vibrant restaurant zone or lakefront area or simply stay in, relax and savor the luxury facilities. 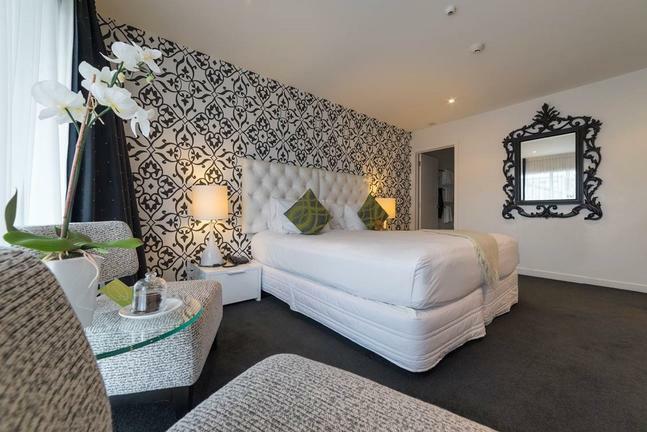 Each of the rooms and suites in the central city luxury boutique hotel is exquisitely designed featuring contemporary decor with a touch of glamour and all modern conveniences including free unlimited WI-FI throughout the hotel. 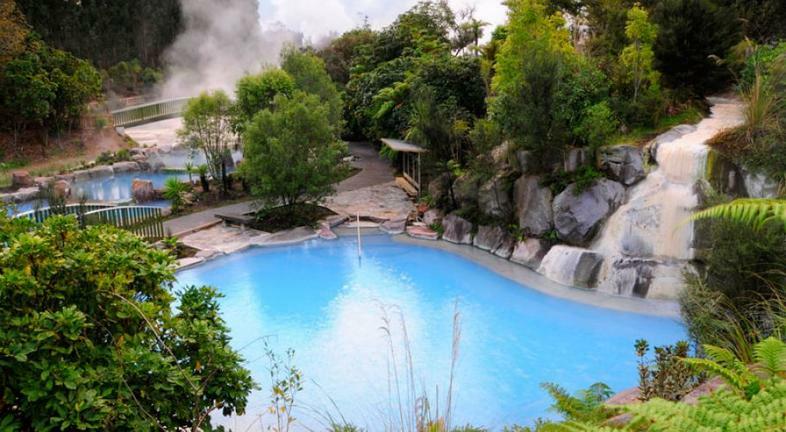 An outdoor heated swimming pool, thermal mineral pool, mini gym and spa treatments make the Regent of Rotorua the ideal Rotorua escape. 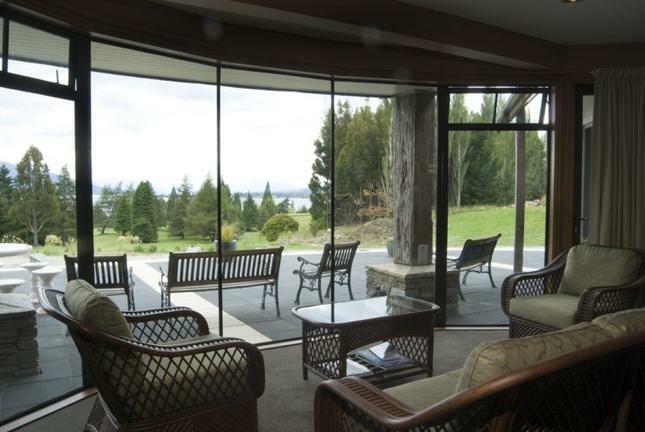 Dock Bay Lodge offers a high level of comfort in Te Anau, New Zealand. 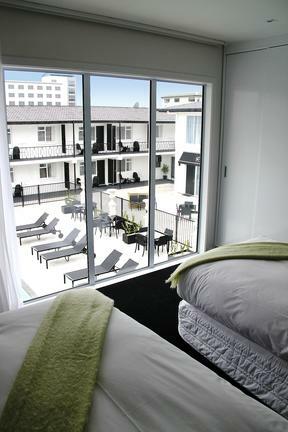 Large, superbly appointed suites soundproofed for peace and serenity. 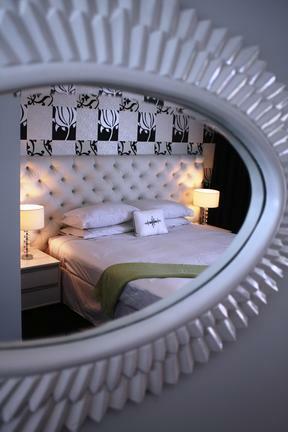 Guests enjoy luxurious beds, wireless broadband, high quality furnishings and bathrooms. 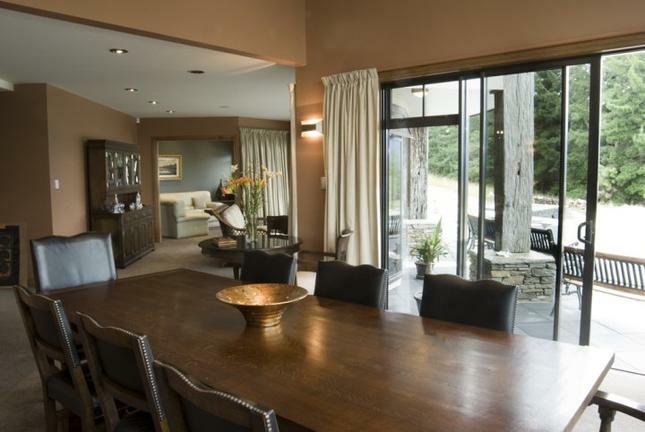 The guest lounge has a large open fire and entertainment center plus spectacular views the Fiordland National Park. 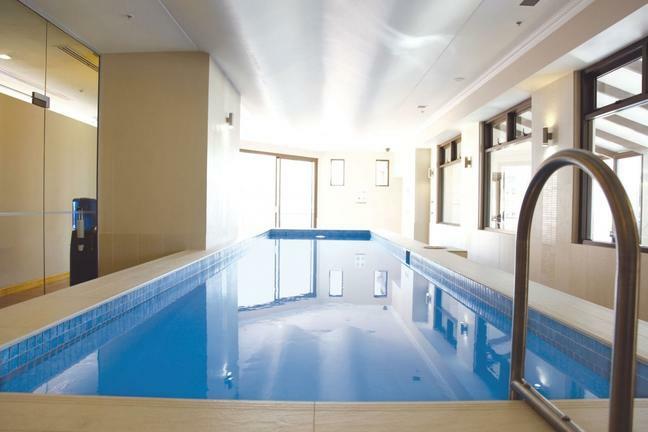 A secluded reading library, well equipped gym, sauna room and large spa pool ensures all guests needs are catered for. 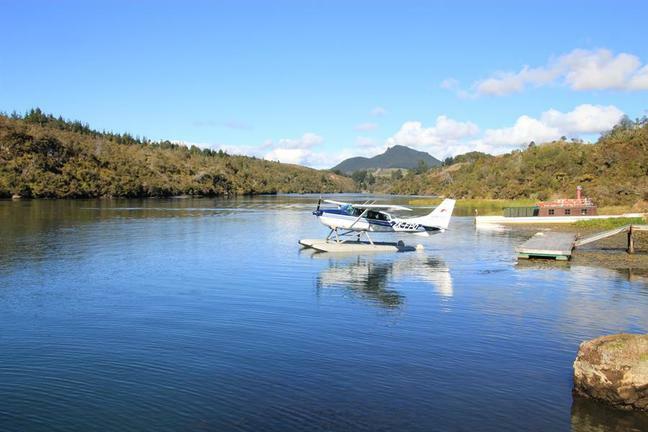 Just five minutes drive from Te Anau and ten minutes walk to Fiordland National Park and the renowned Kepler track, for recreational fishermen the Waiau River is only a fly cast away from the lodge. 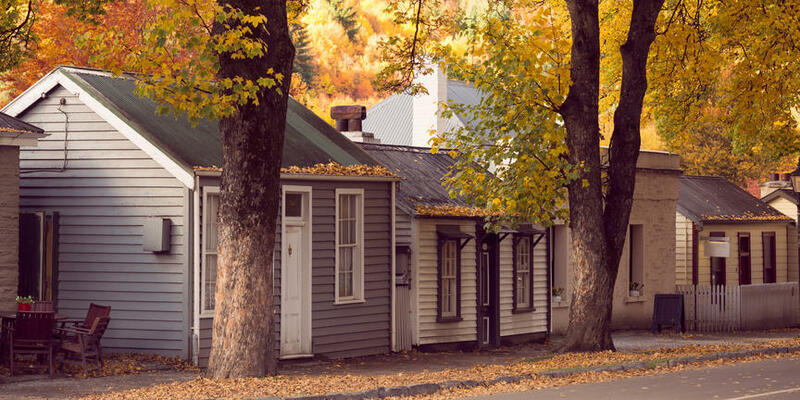 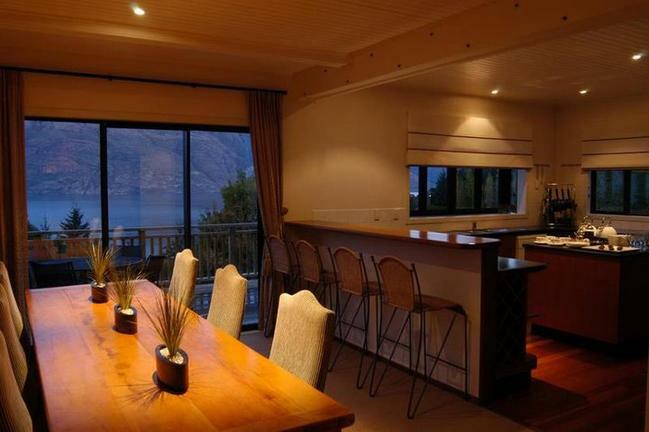 Hidden Queenstown is award-winning boutique accommodation in Queenstown, New Zealand. 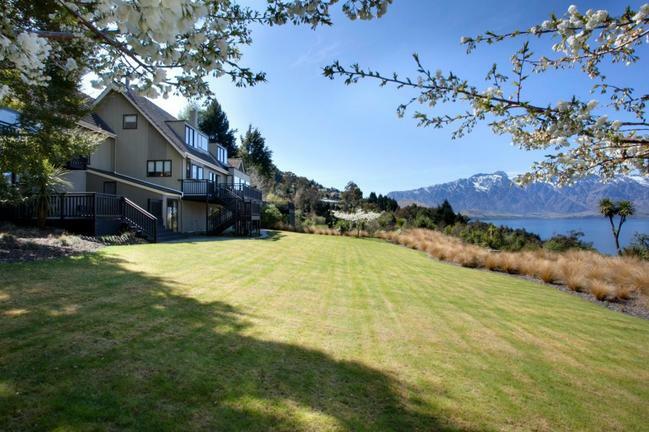 The Lodge is renowned for its spectacular views of Lake Wakatipu, the surrounding Alps, outstanding service and warm hospitality. 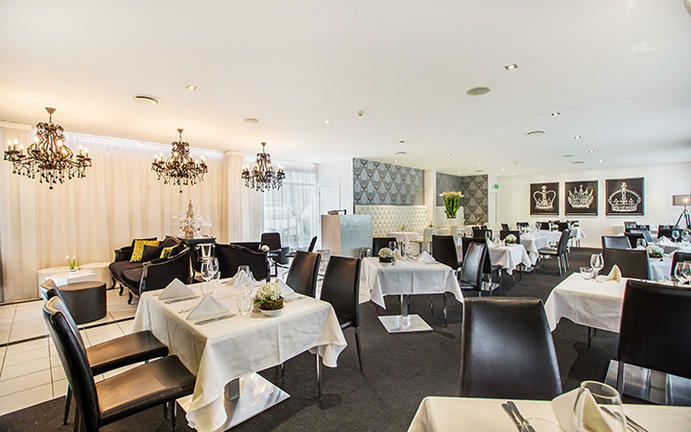 Hidden Queenstown delivers a unique accommodation experience, combining comfort and warmth with the elegance and sophistication that you should always expect from a private boutique hotel. 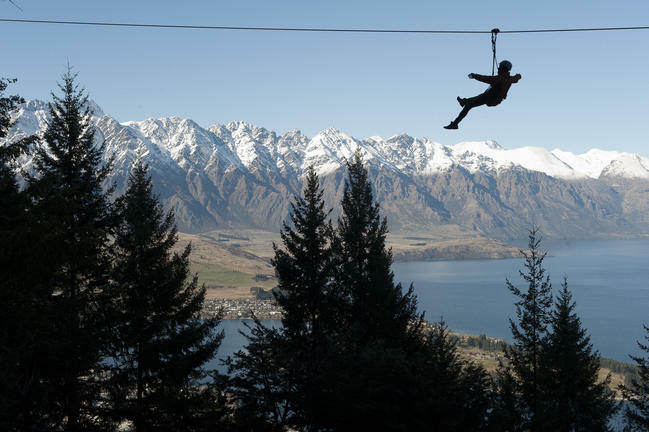 Situated on the edge of Lake Wakatipu, Hidden Lodge boasts uninterrupted views of the Remarkables Mountains, Cecil Peak and Walter Peak. 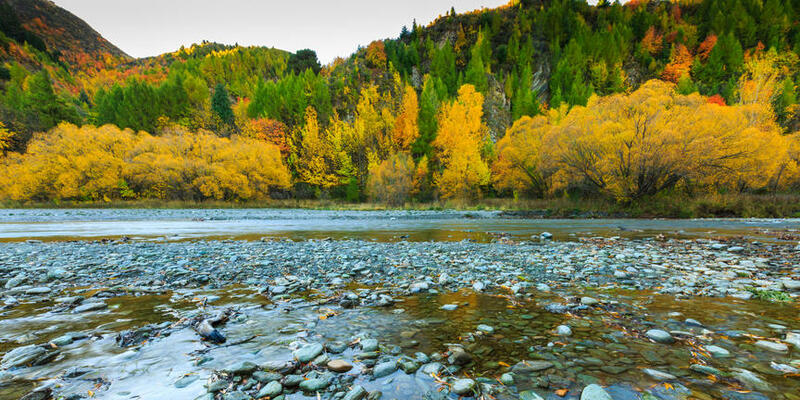 Its peaceful, natural surroundings convey remoteness and yet it is only minutes from the heart of Queenstown: Feel the Inspiration. 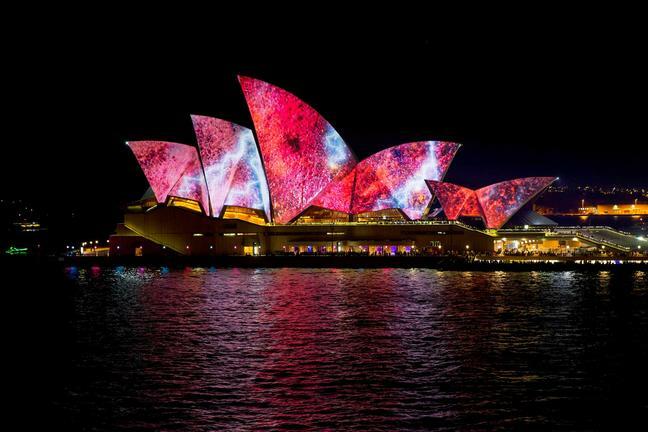 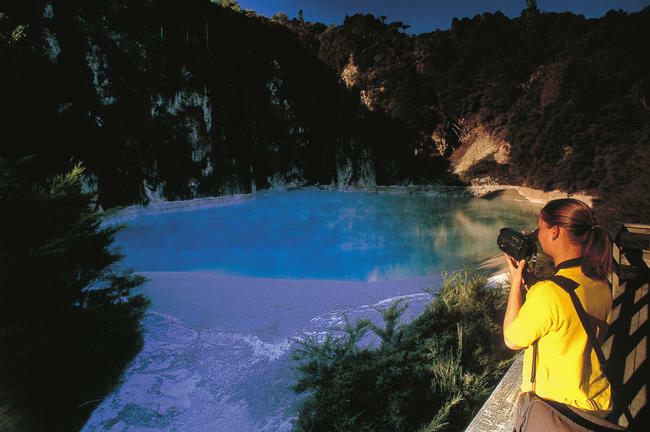 For many travellers a holiday package Australia and New Zealand makes sense. 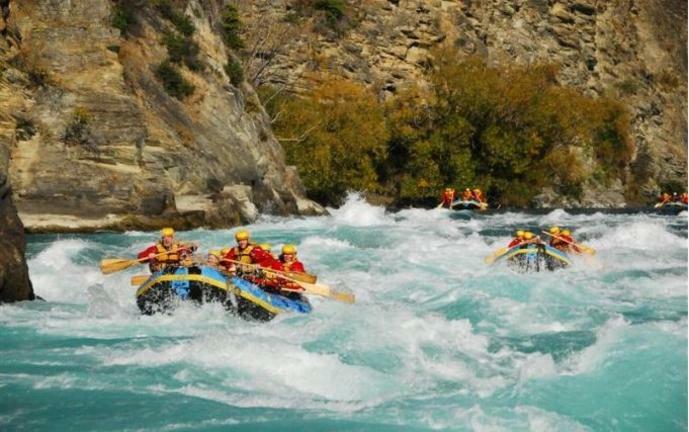 Therefore this 16 day combination itinerary will focus on some of the key highlights both countries offer. 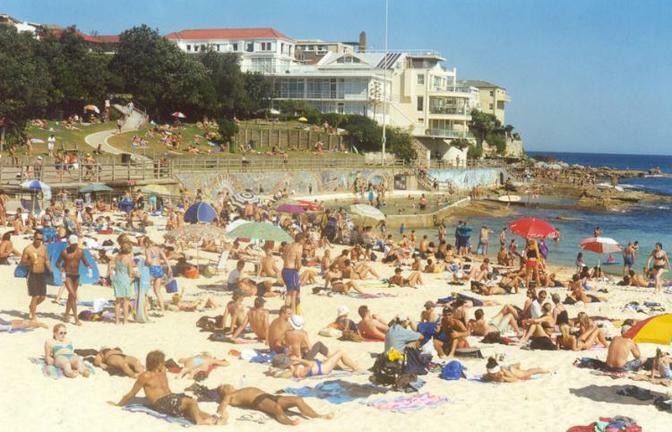 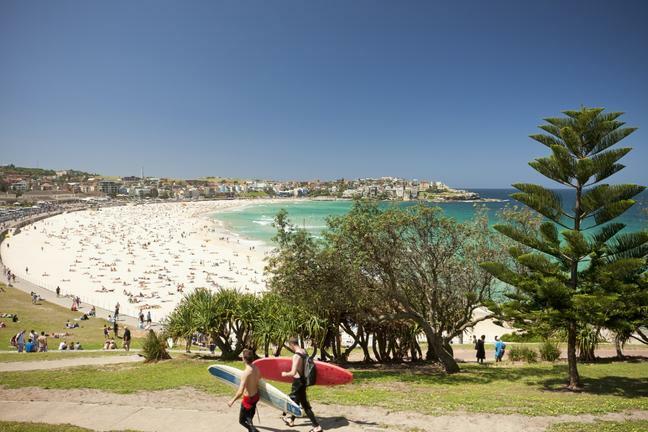 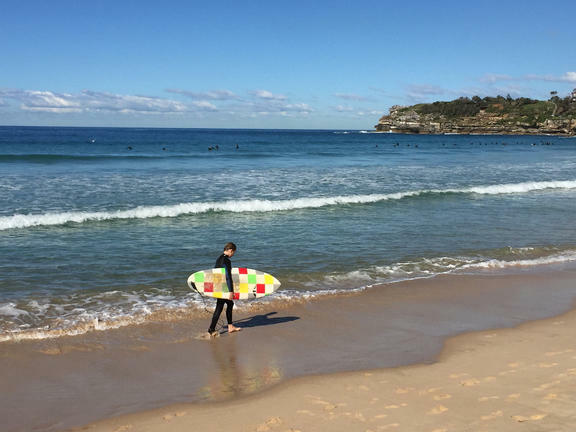 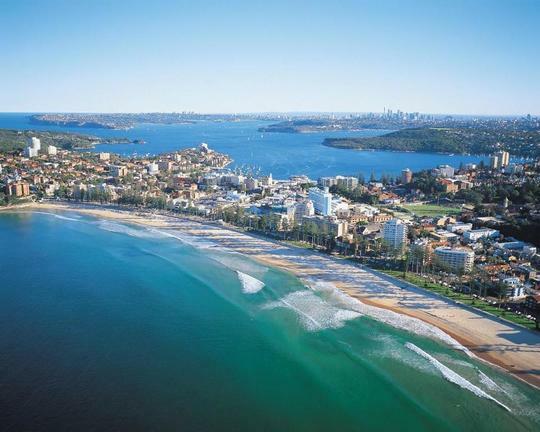 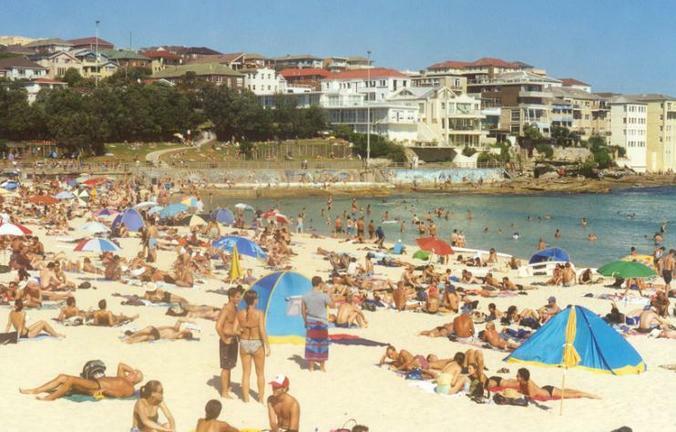 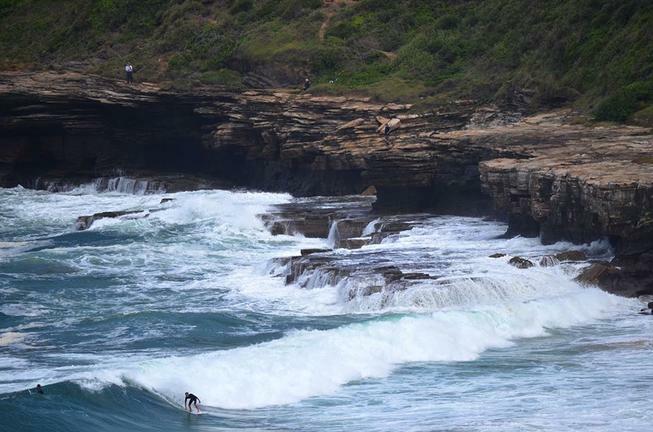 Starting with Sydney's Bondi Beach, snorkelling the Great Barrier Reef, explore the fjords of Fiordland. 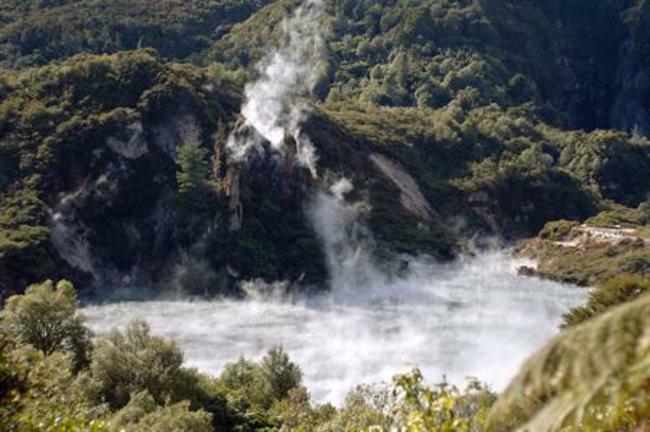 Also, the stunning beauty of the Dart River near Queenstown and the thermal areas around Rotorua and Lake Taupo. 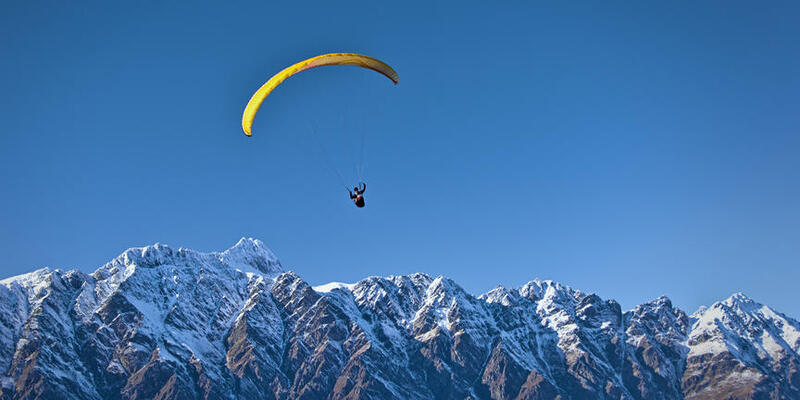 Using domestic flight between locations is the way to cover vast distances. 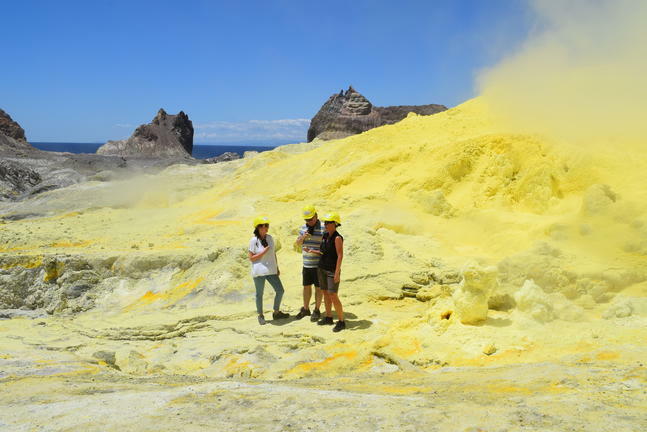 Always when travelling Australia and New Zealand, be aware that the weather and seasons for these areas are very different to each other. 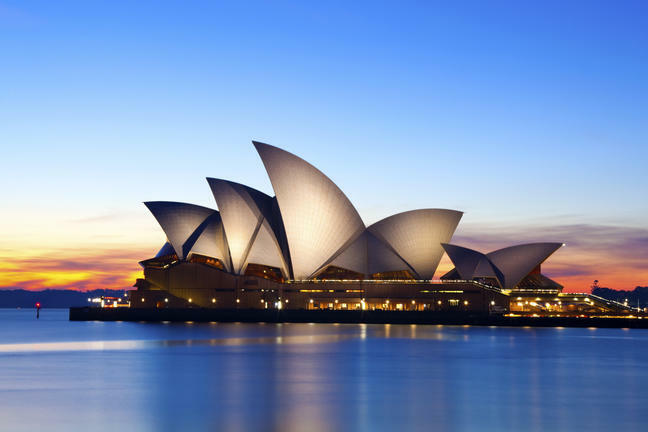 Any part of this 16 days Australia and New Zealand combo travel package can be changed. 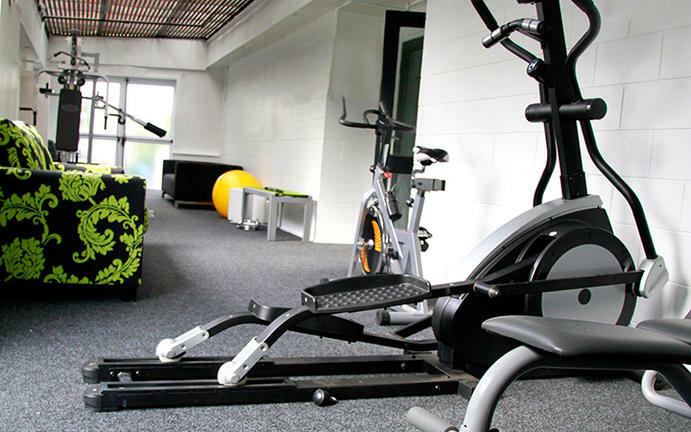 Such as travel dates, locations and accommodation standards. 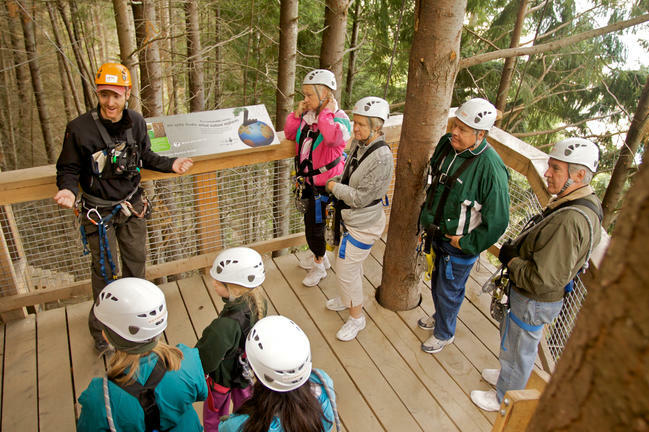 Also, tours can be added, amended or simply taken out. 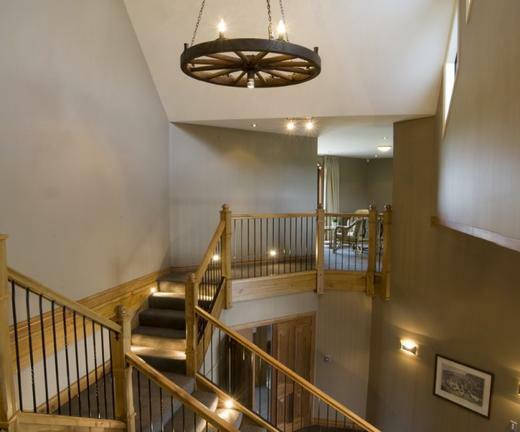 Just talk to us to tailor make this all for you! 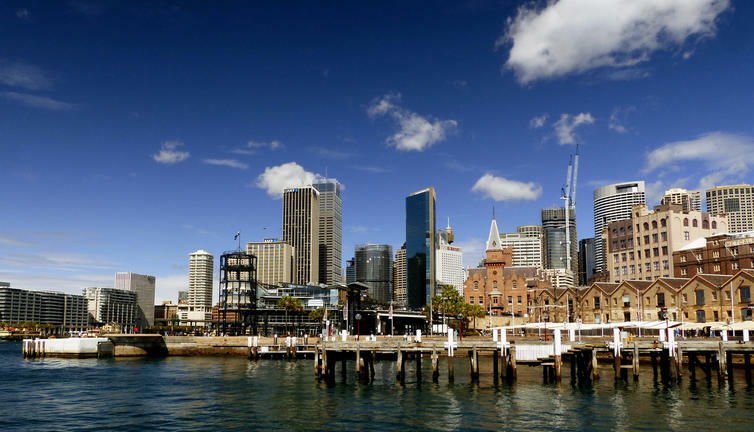 Meet your driver at the arrival gate at Sydney Airport to meet your driver. 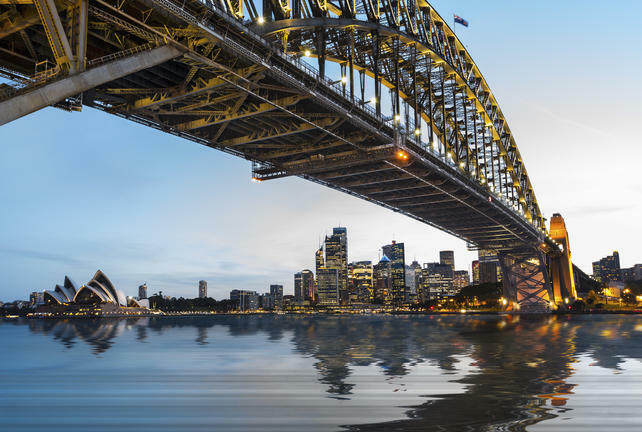 Get ready to explore one of the most beautiful cities in the world - there's so much to enjoy - stunning harbour views, golden beaches, the endless dining options and a vibrant nightlife. 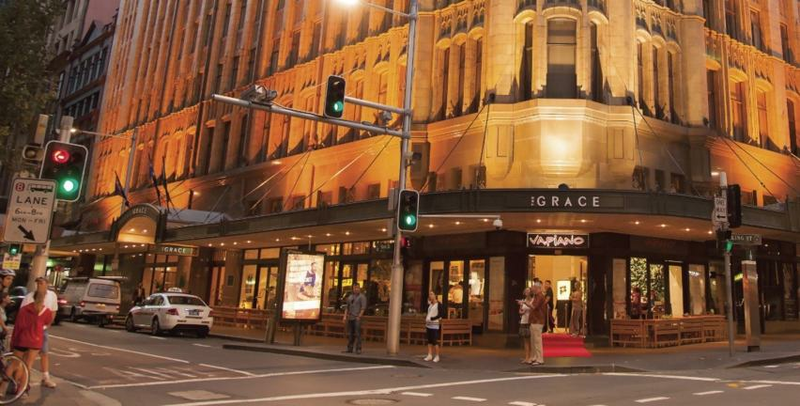 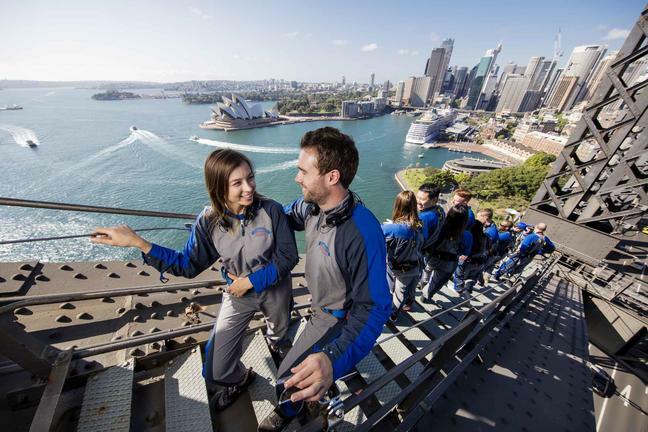 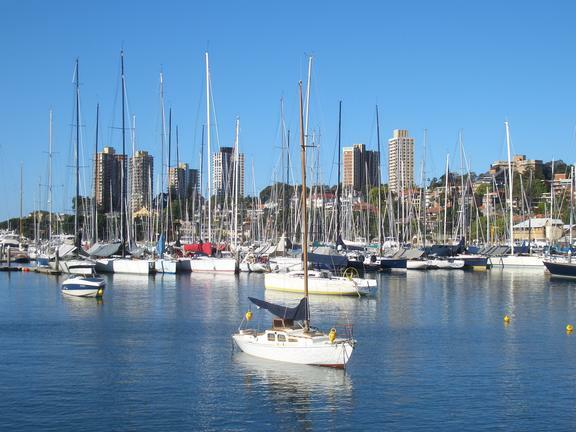 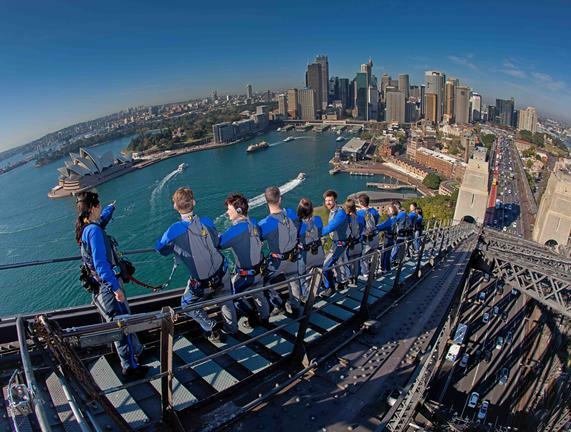 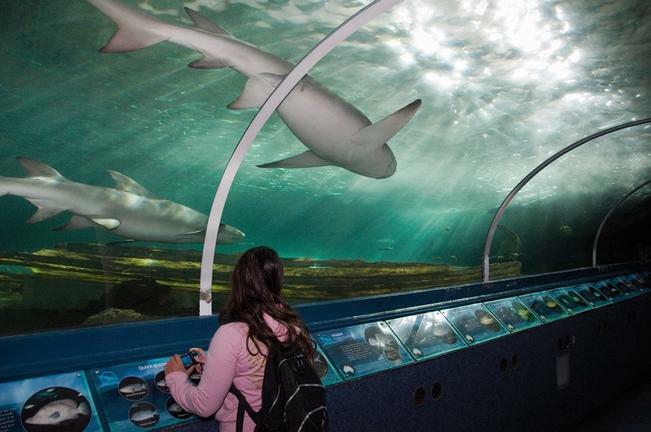 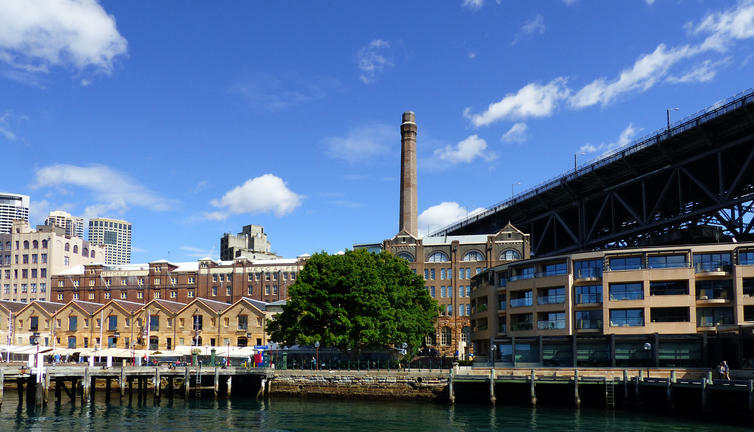 Get to know the Sydney by taking a guided tour city tour. 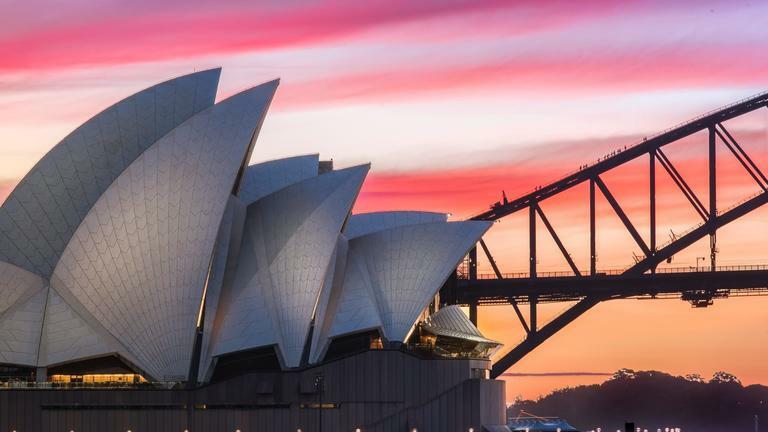 See the historic Rocks precinct, explore the famous opera house and wander through the beautiful Botanical Garden - you'll get to sit on Mrs Macquarie’s chair to absorb views of both the Sydney Harbour Bridge and Opera House. 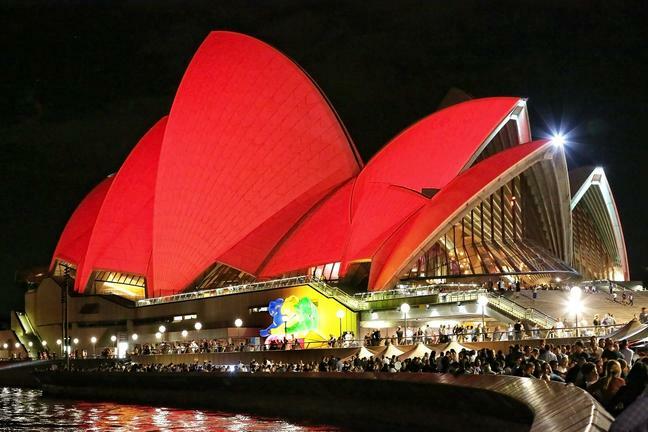 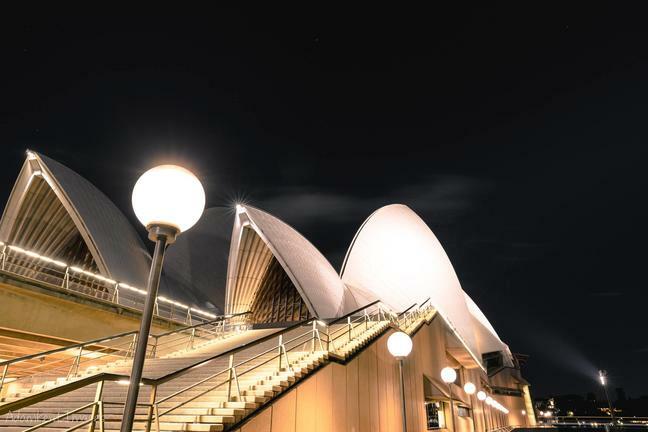 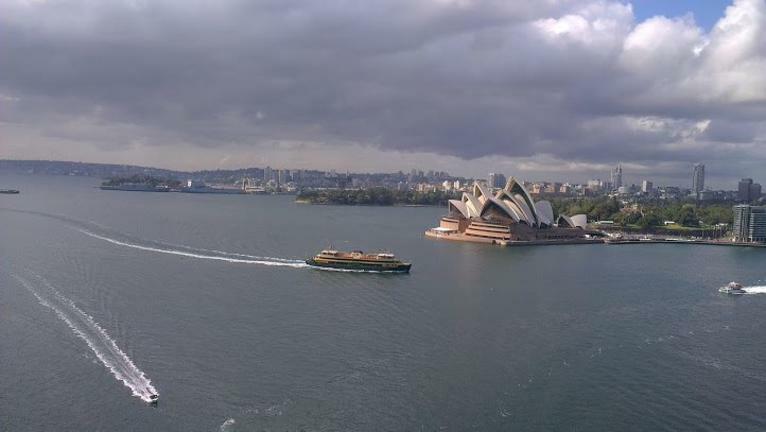 Note: the Opera House 'Backstage' tour can be arrange at 7am before your Sydney City tour. 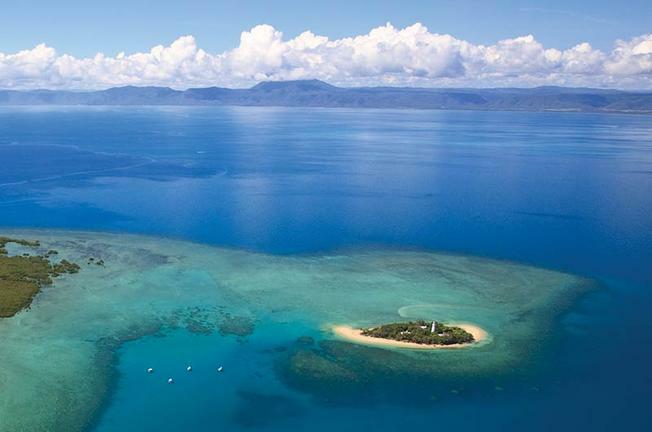 Transfer back to Sydney Airport for a direct domestic flight to Cairns (3 hours and 15 mins). 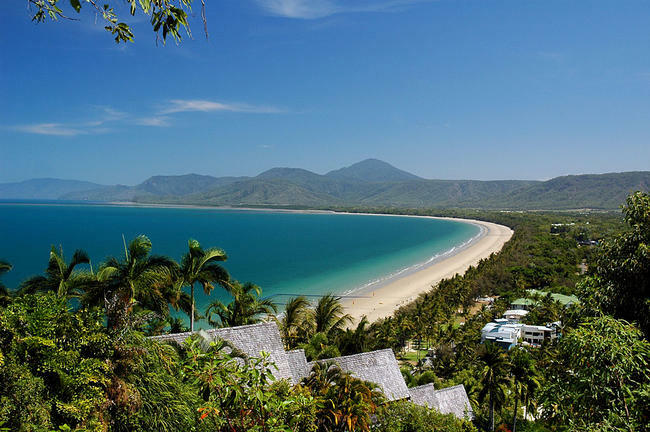 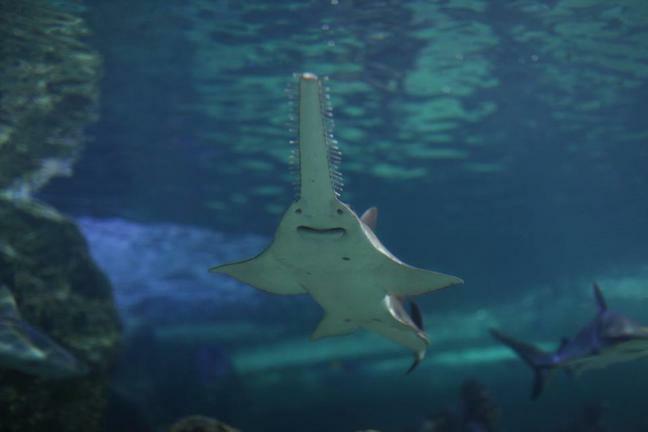 From Cairns, you'll be transferred to the lush area of tropical Port Douglas (1 hour drive away). 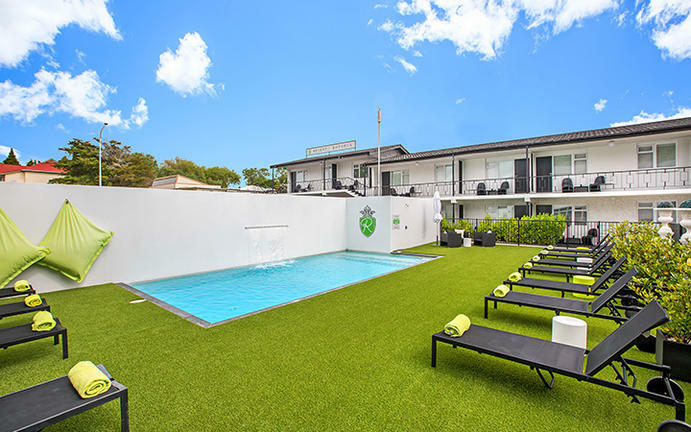 Your accommodation is actually located within the perimeters of this popular holiday village - that way, you'll only have a short walk to most amenities and pick-ups for tours . 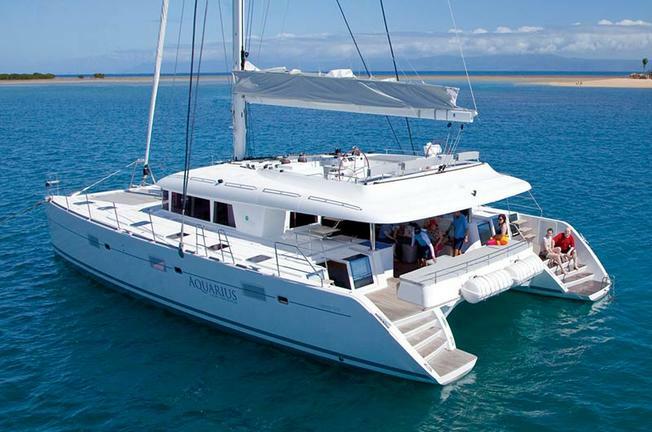 Sail away in the luxurious Aquarius Catamaran. 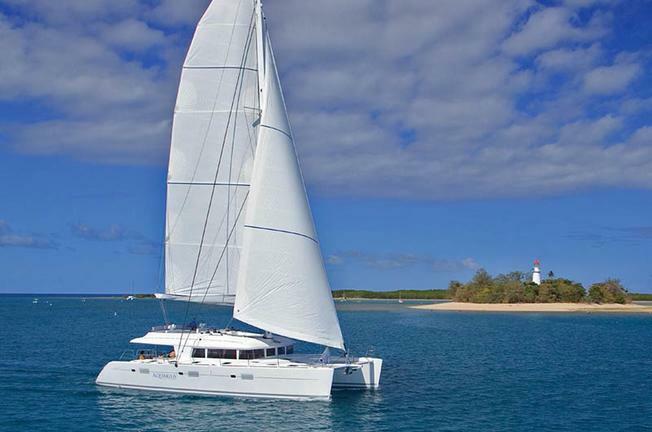 This is a dedicated snorkel-only vessel with no more than 20 people on-board. 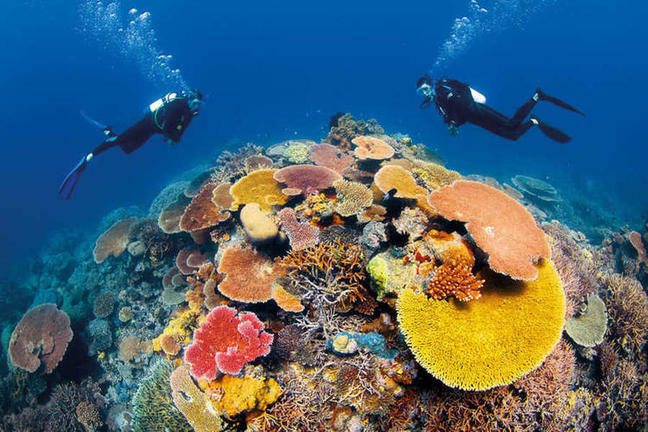 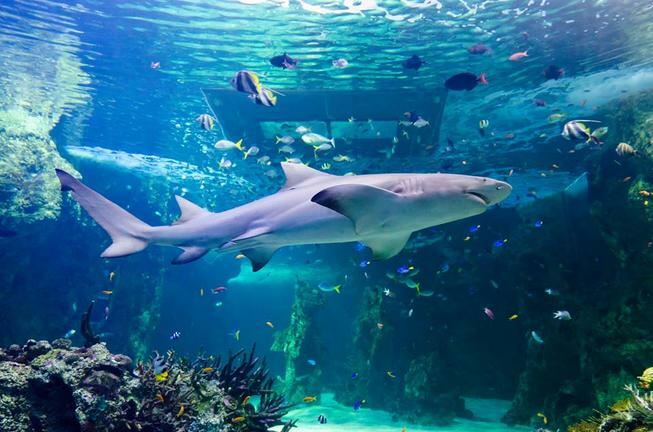 Cruise to the Low Isles Island in the Great Barrier Reef - swim and snorkel alongside green turtles and parrot fish. 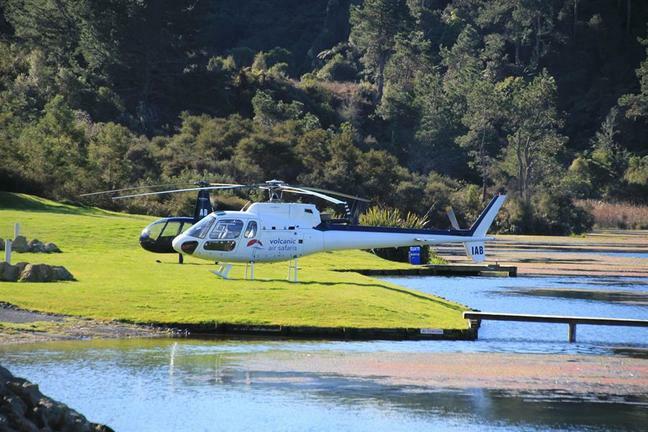 Explore the Low Isles lagoon, before returning to the comfort of the Aquarius to enjoy a great gourmet lunch. 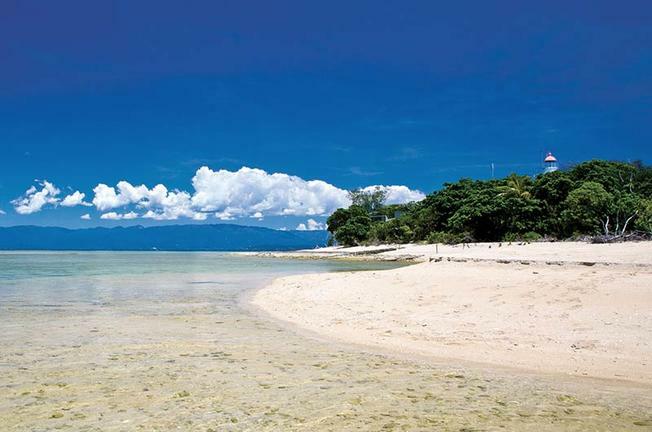 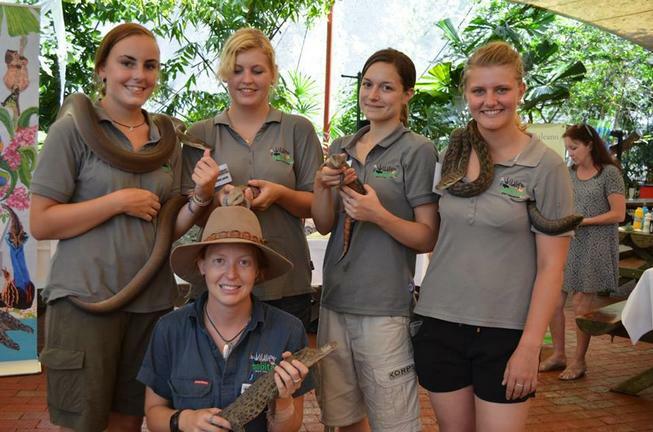 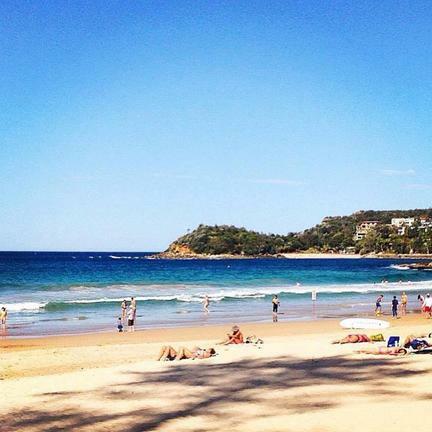 Take an informal guided walk around the island, before cruising back to Port Douglas. 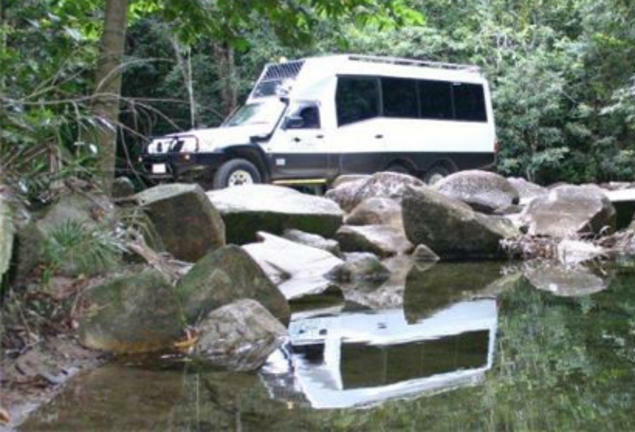 A driver guide will collect you from your hotel for the Daintree Tour. 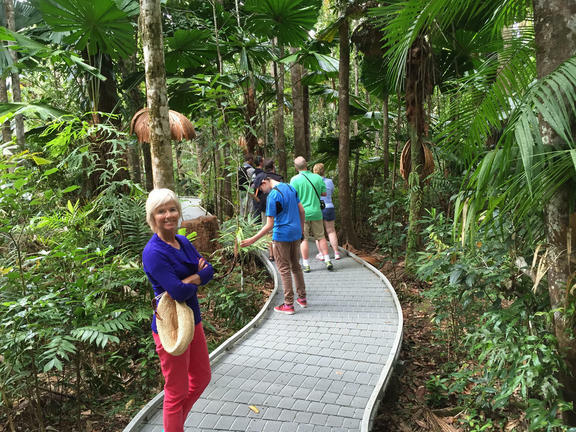 The tour begins with a drive towards the World Heritage forest region of the Daintree National Park. 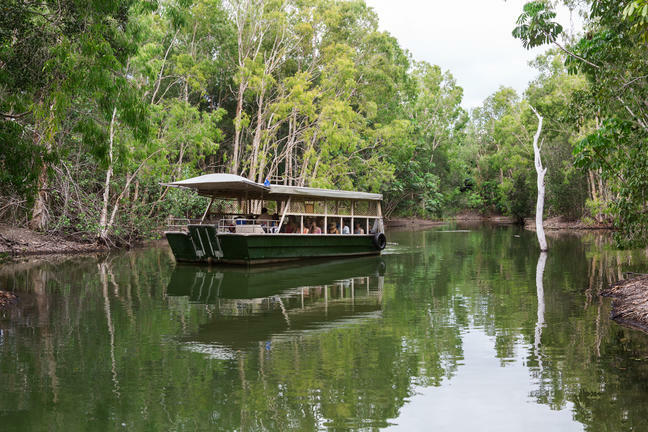 Step aboard a personalized craft for a cruise on the Daintree River. 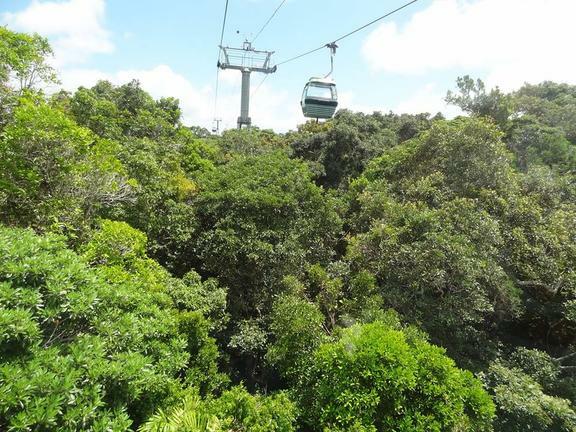 Cruise close to riverbanks and under the overhead canopy of the rain forest. 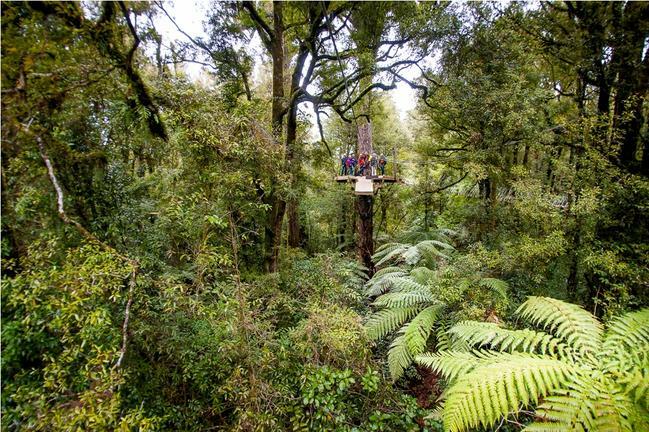 Seek out the vivid Ulysses Butterfly, Kingfishers and other wildlife. 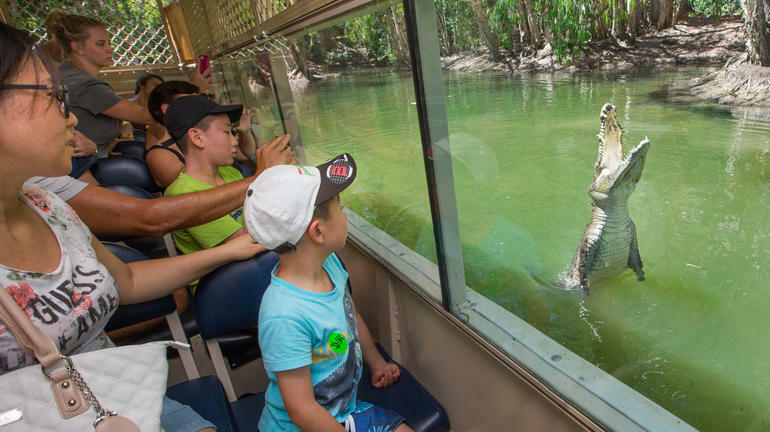 As you glide along the silent backwaters, do your camera ready - you won't believe the size of those magnificent crocodiles! 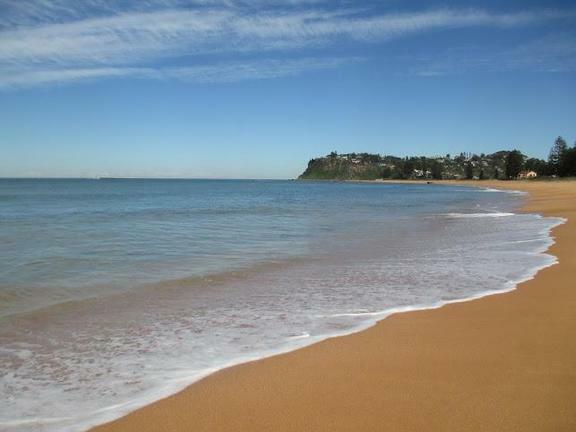 Transfer back to Cairns Airport and take a domestic flight to Adelaide in Southern Australia. 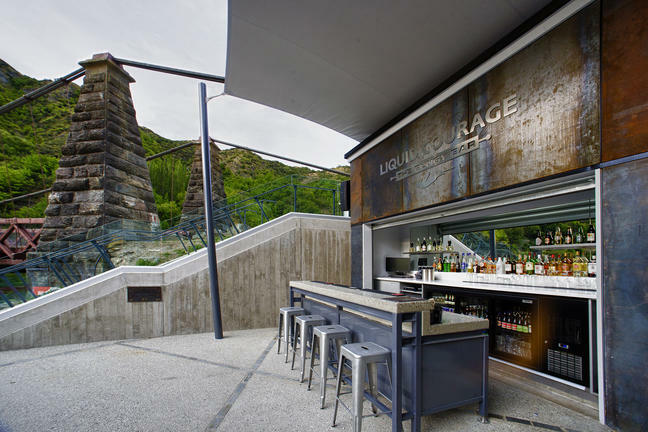 Adelaide is a cosmopolitan city, renowned for its museums, art galleries and wine. 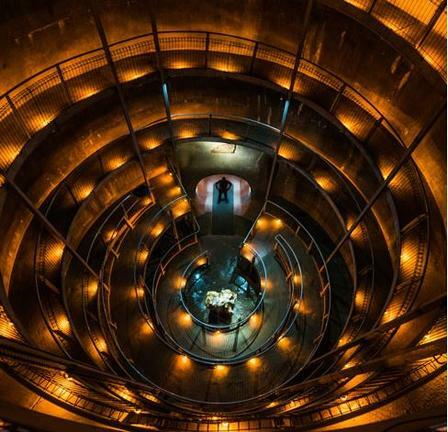 In fact, what makes this wine region so unique, is a combination of European heritage and the vitality of the Barossa lifestyle. 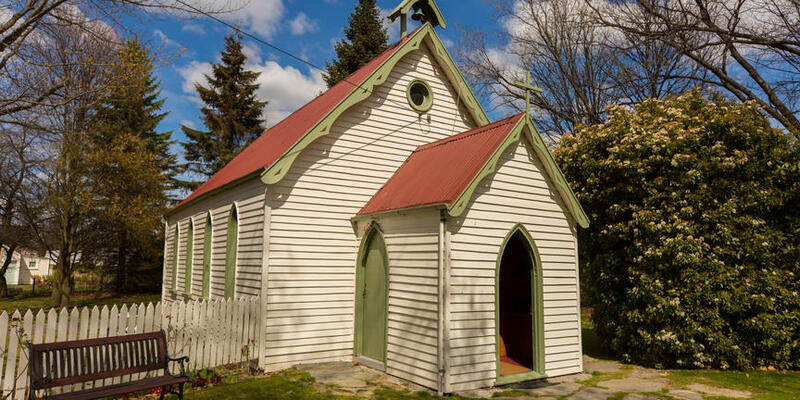 There are many hidden treasures and much to see, including historic churches, cottages and famous wineries. 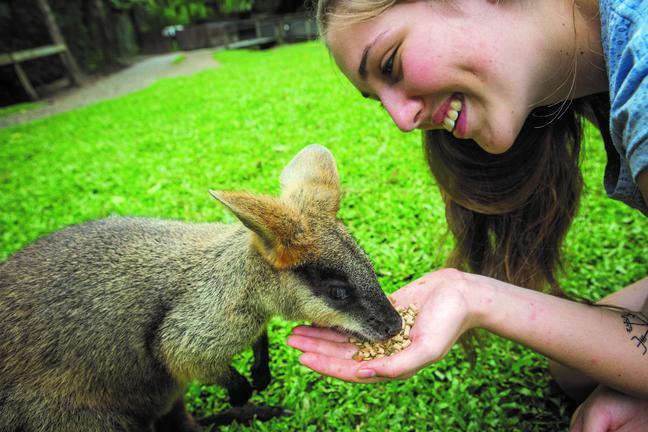 Its time to enjoy the highlights of South Australia’s premier nature destination, Kangaroo Island. 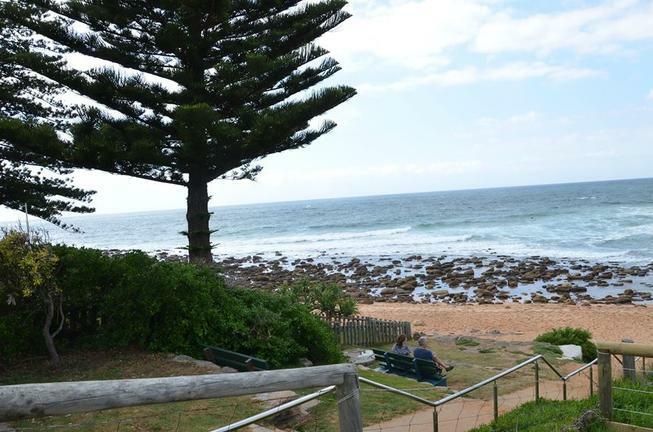 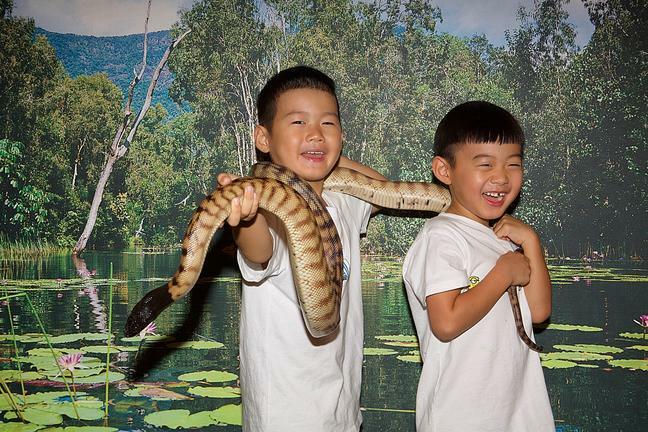 After pick-up at 6.45am, you'll take a brief ferry trip to Penneshaw to visit the Seal Bay Conservation Park. 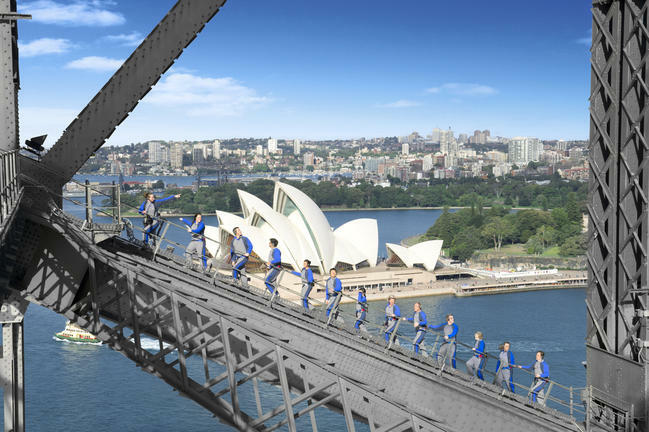 (Note: instead of taking the ferry, you can choose to take a flight.) 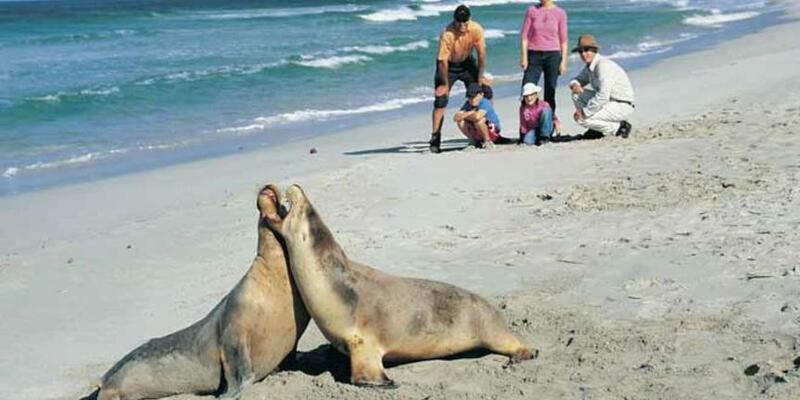 A Park Ranger will take you on a beach walk to see Australian Sea-lions. 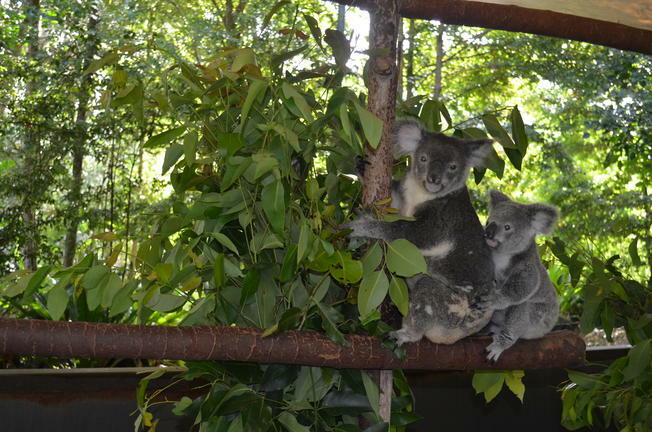 Stop for lunch in a beautiful bush setting at Vivonne Bay Bistro, then visit the Hanson Bay Wildlife Sanctuary to see koalas. 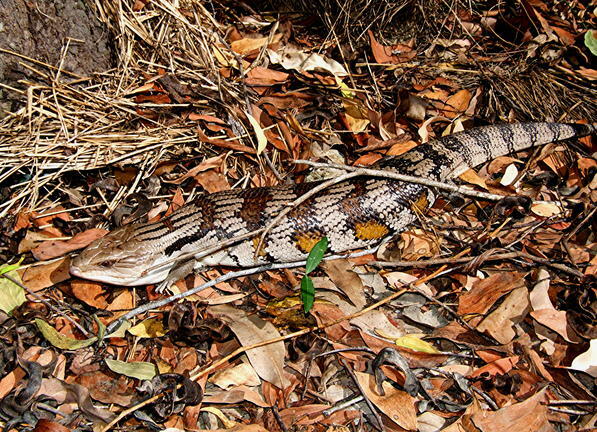 Explore Flinders Chase National Park. 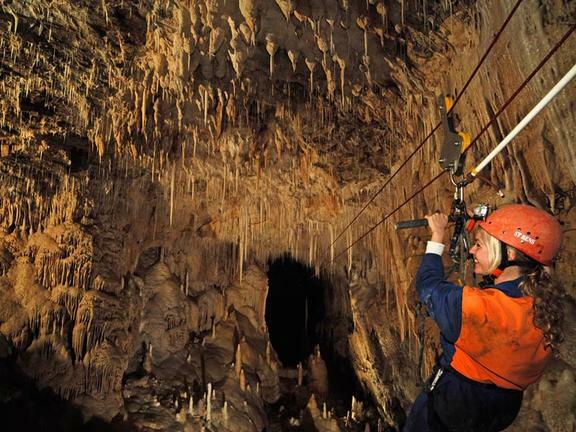 Return to Adelaide via Rex Air at 7.30 pm. 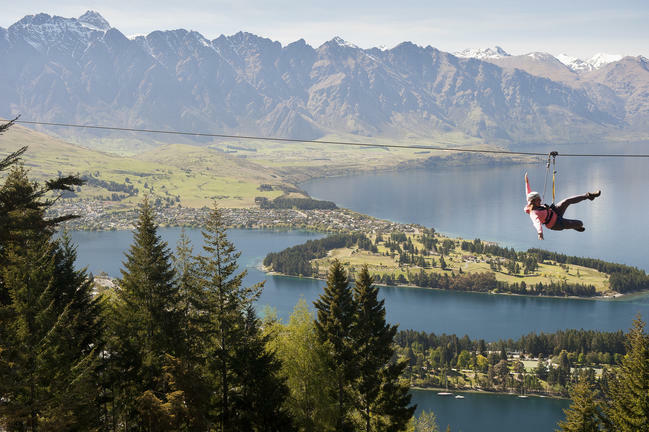 Today, you're going to fly across to beautiful New Zealand! 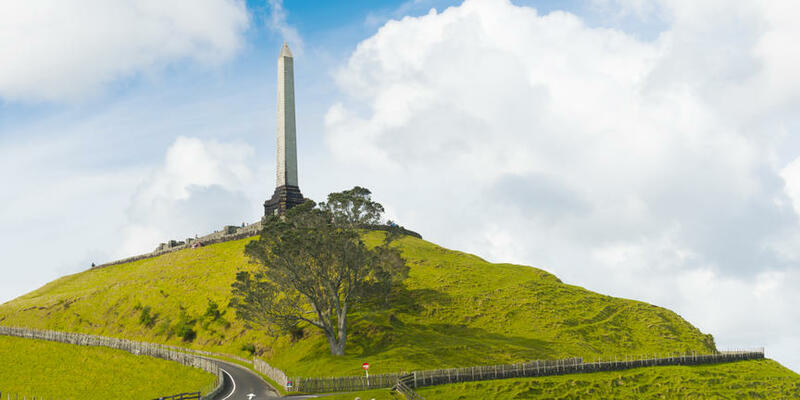 Transfer back to Adelaide Airport and flight from Adelaide to Auckland, New Zealand largest city. 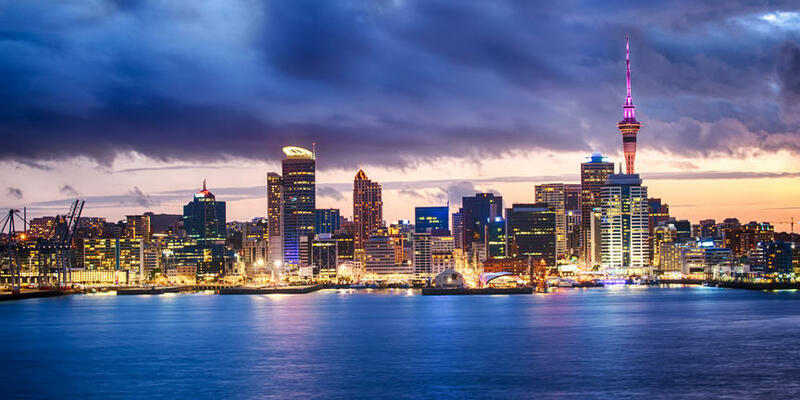 Transfer from the airport to your Auckland city hotel. 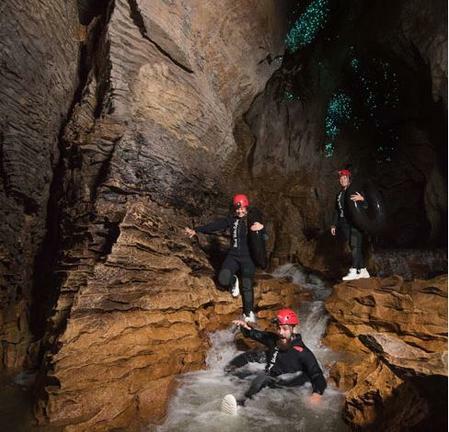 This morning, collect your rental car and start travelling to the Waitomo caves (3 hours) - it's time to see the architectural beauty of stalactites. 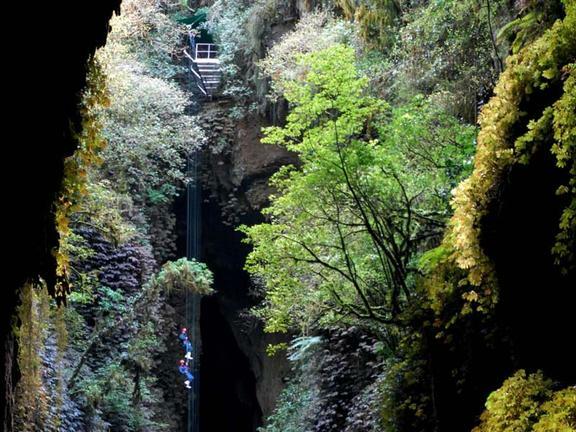 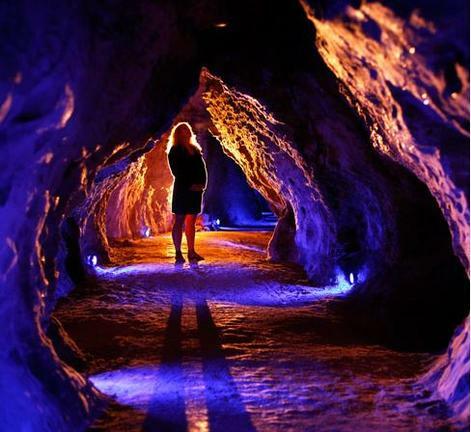 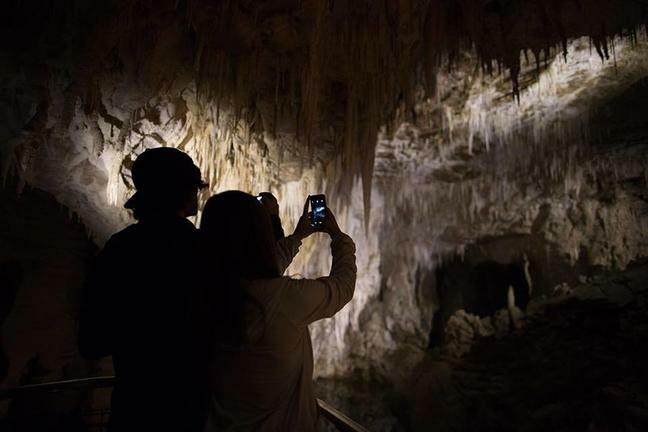 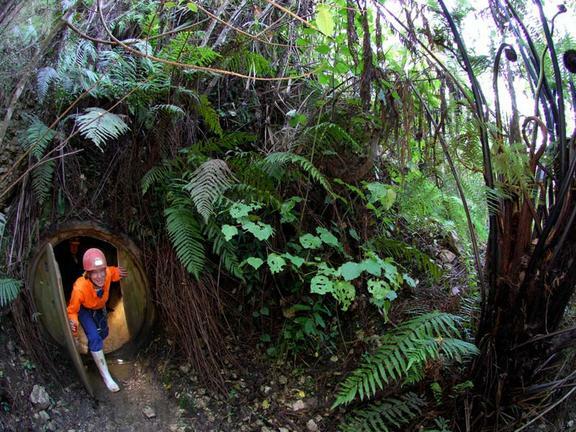 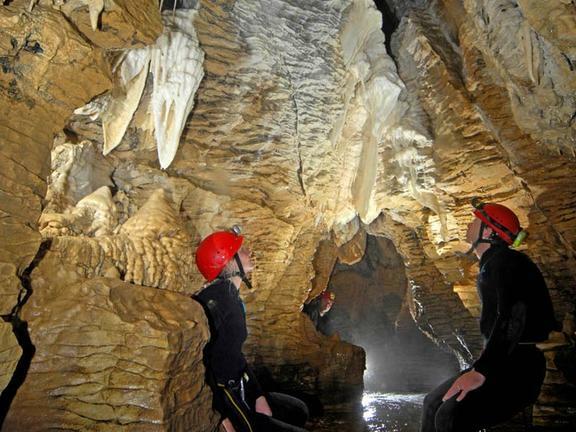 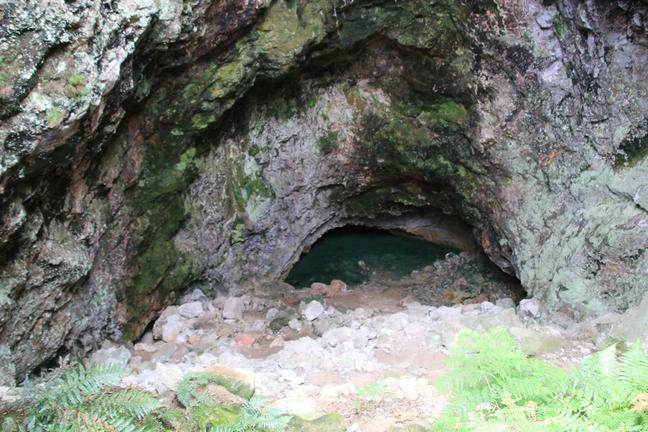 We have included the 'Ruakuri Cave' tour, a walk through a dry cave (about 2 hours). 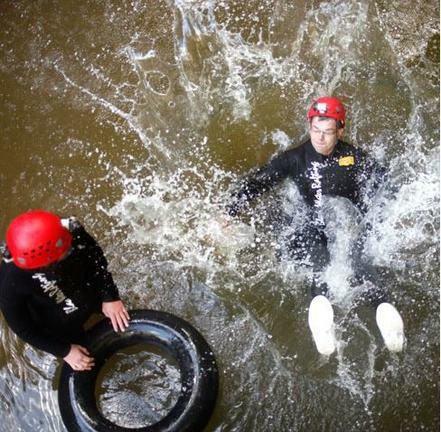 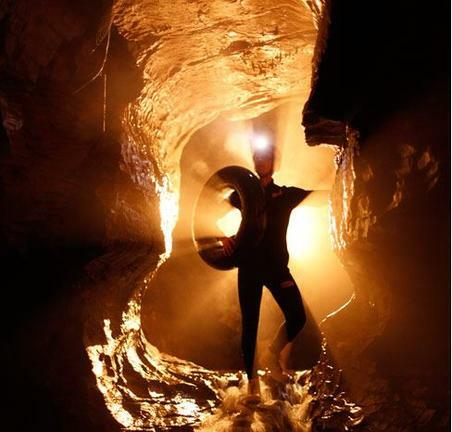 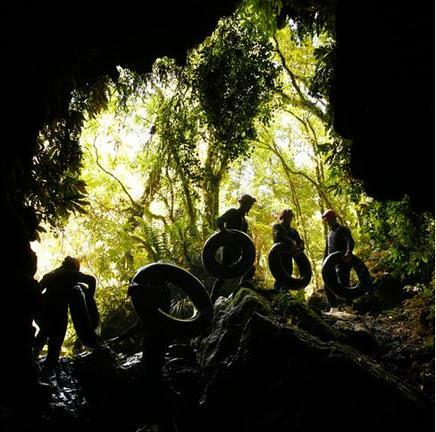 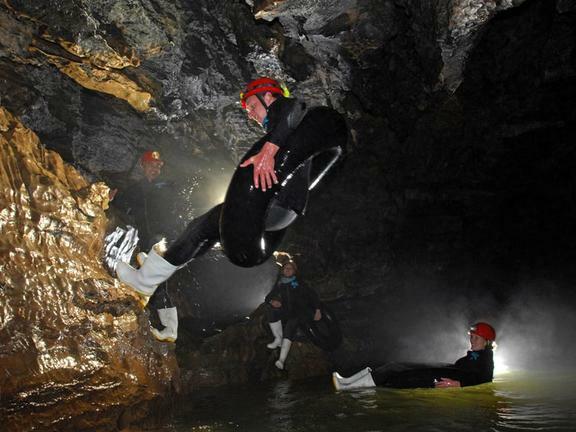 If you want more adventure, go ‘Black Water Rafting’ or do the 'Black Labyrinth' tour by floating through the caves on a rubber tube. 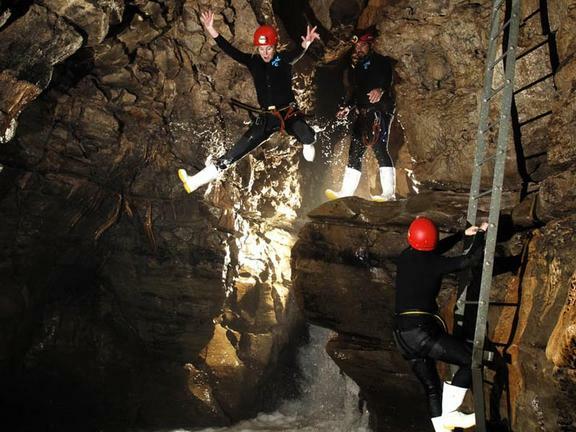 Alternatively, abseil through the darkness! 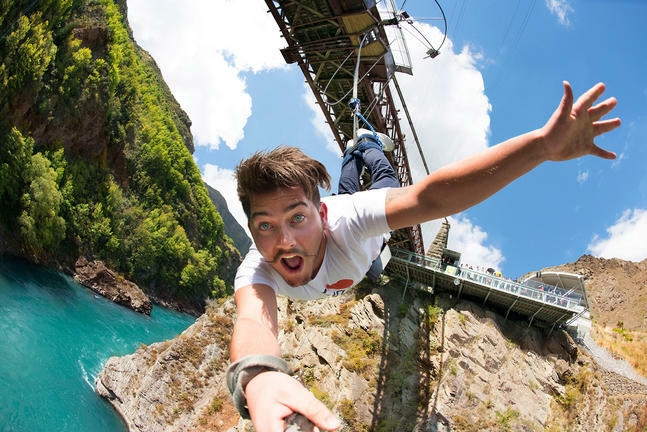 (takes about 3 hours). 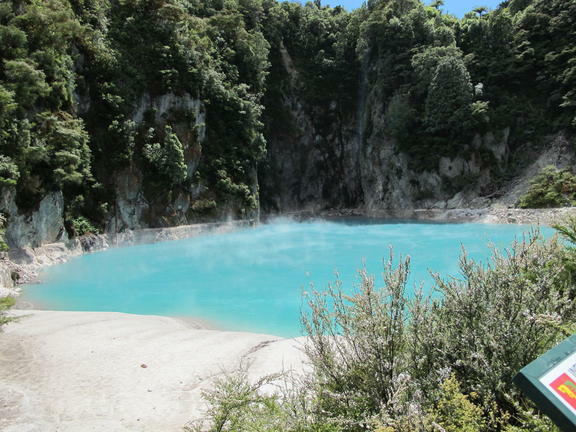 End the day's adventure with a relaxing drive through the rural countryside to Rotorua (2.5 hours). 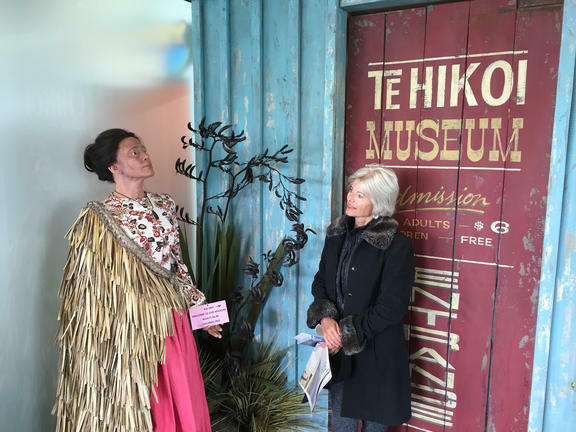 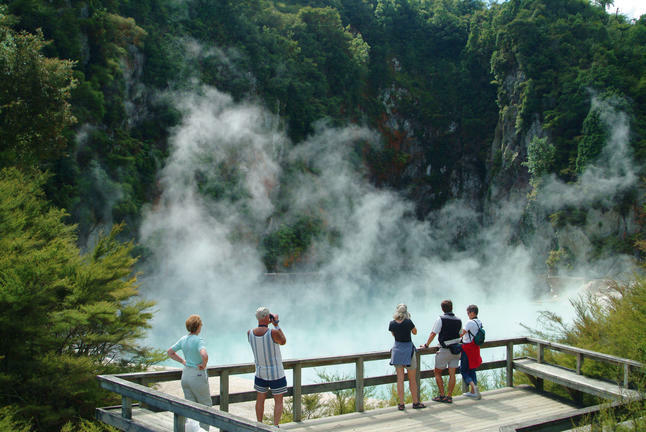 Plan for a full day in Rotorua. 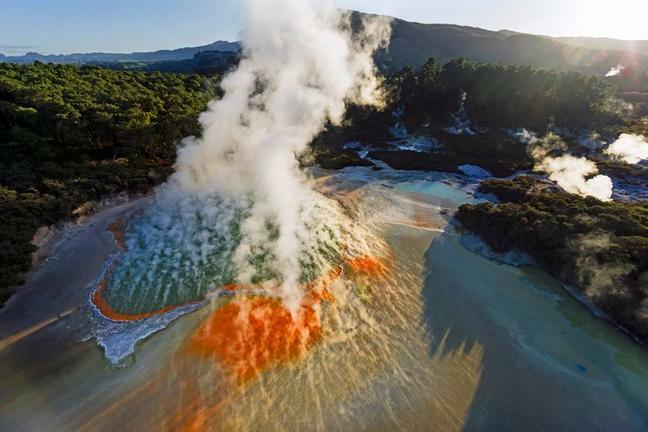 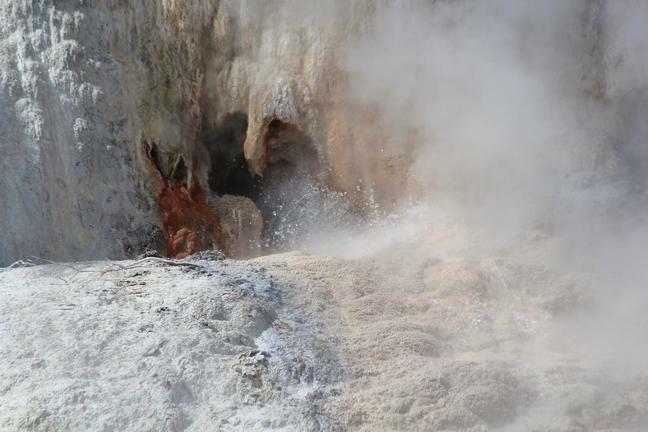 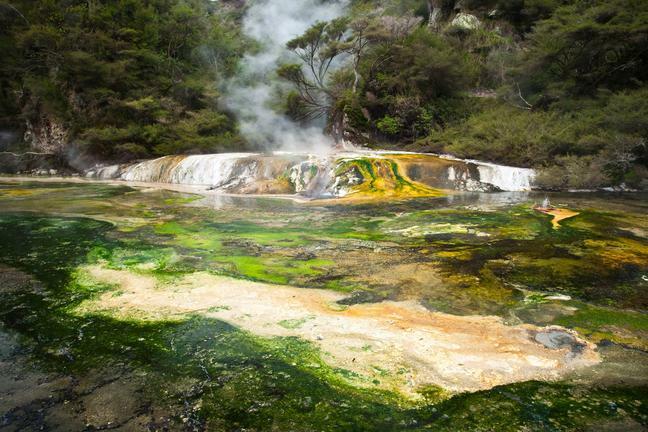 Visit the volcanic areas and hot pools around Rotorua. 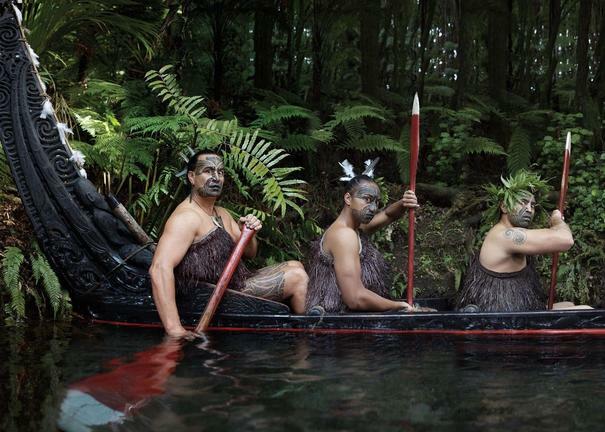 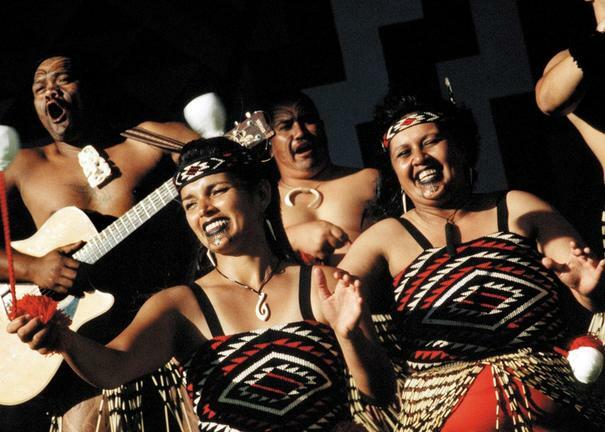 Take a sightseeing boat trip, then enjoy a traditional Hangi concert in the evening. 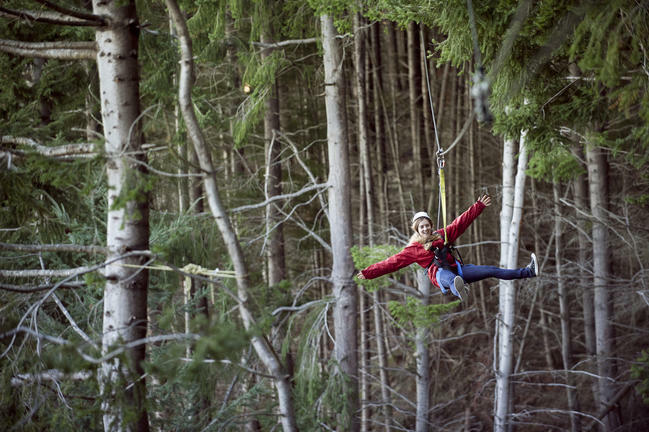 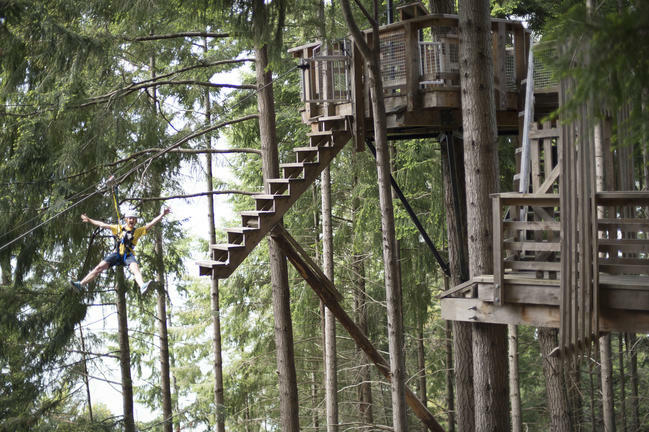 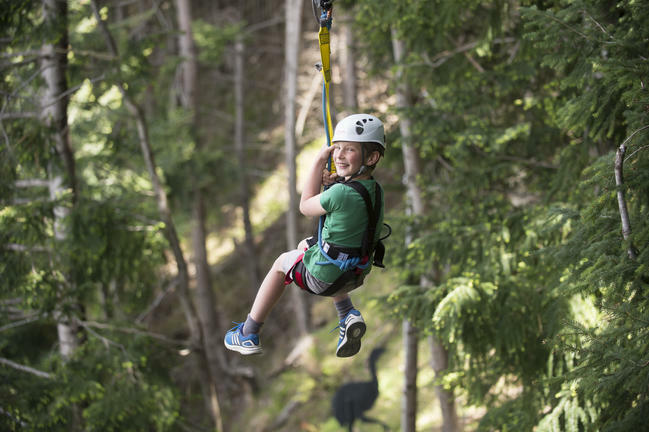 Consider a Zipline adventure through the forest or relax by the lake with your fishing rod. 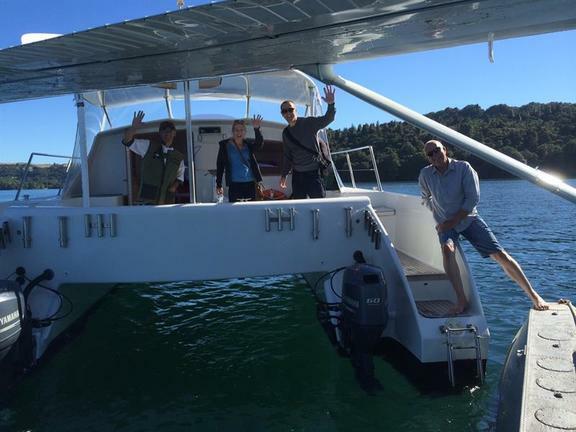 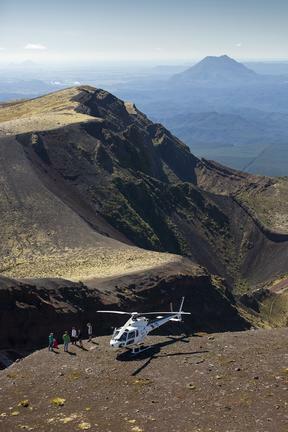 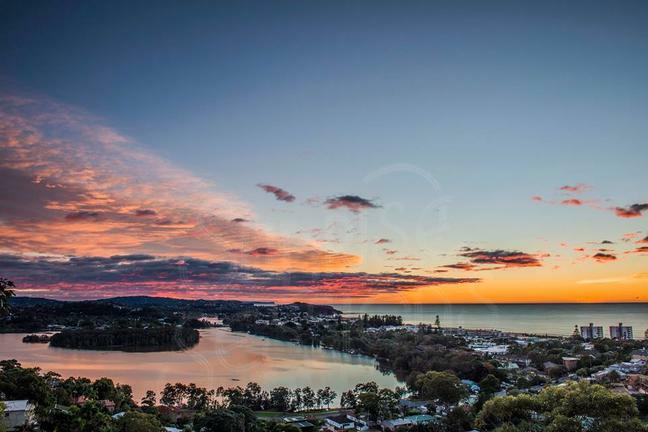 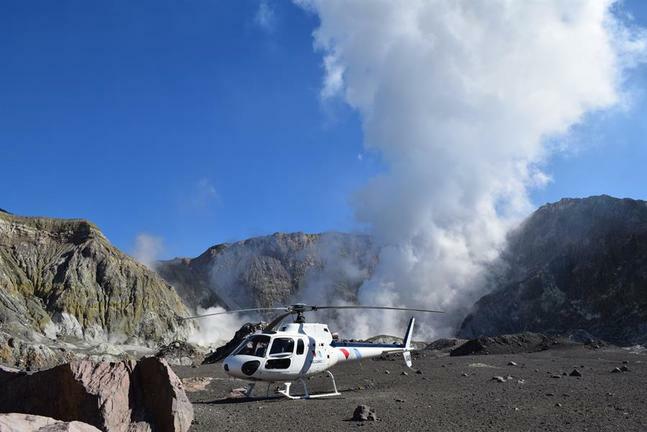 A scenic flight over the Rotorua and Tarawera (3 + 4-star package) is also an option in the morning. 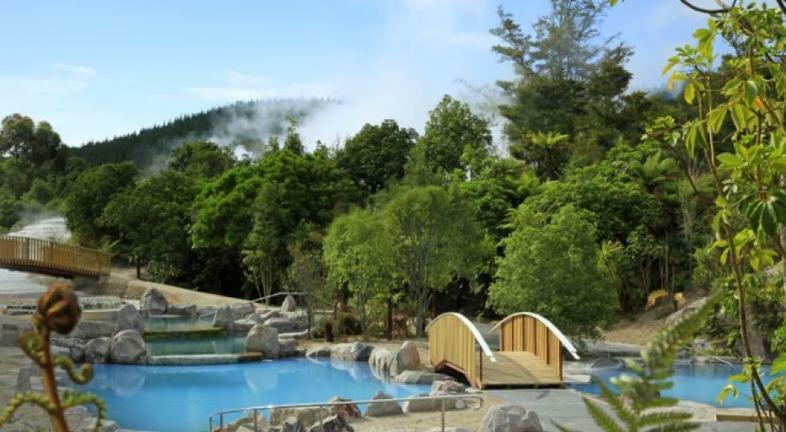 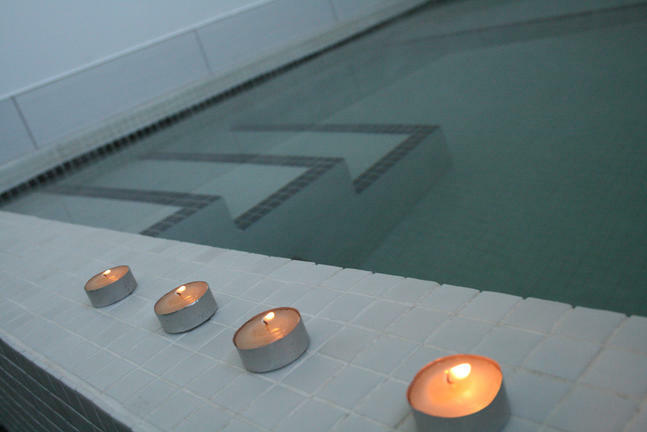 For the rest of the afternoon, soak in one of nature’s hot springs or have a relaxing massage. 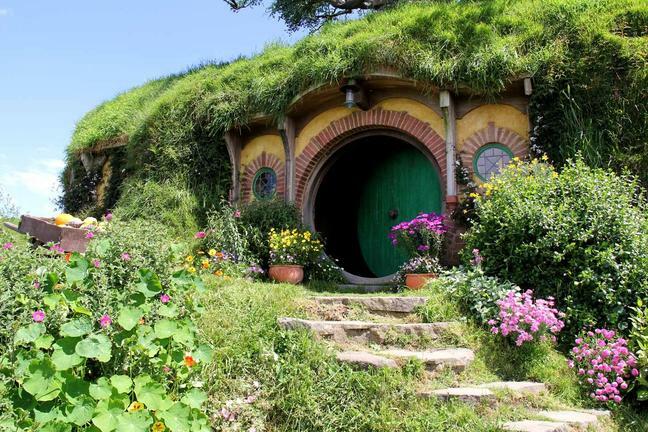 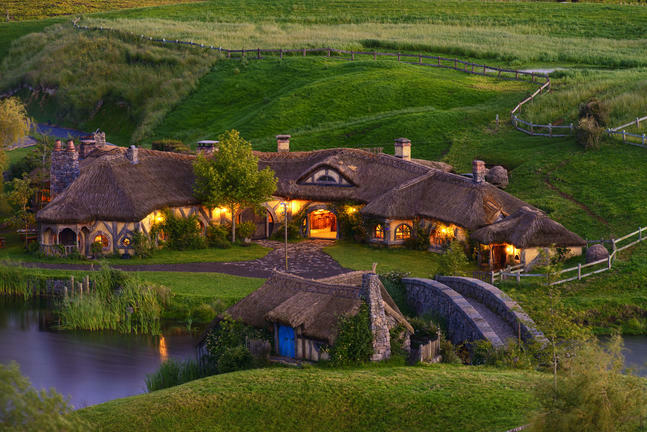 If you are a keen Lord of the Rings fan, then a visit to the Hobbiton Village, is a 'must do'. 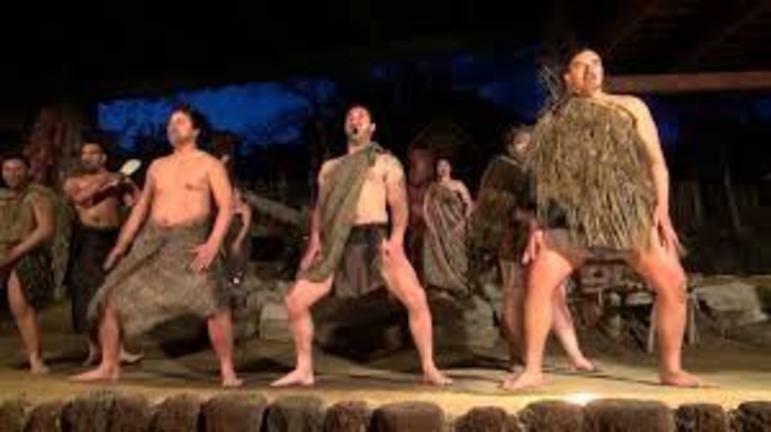 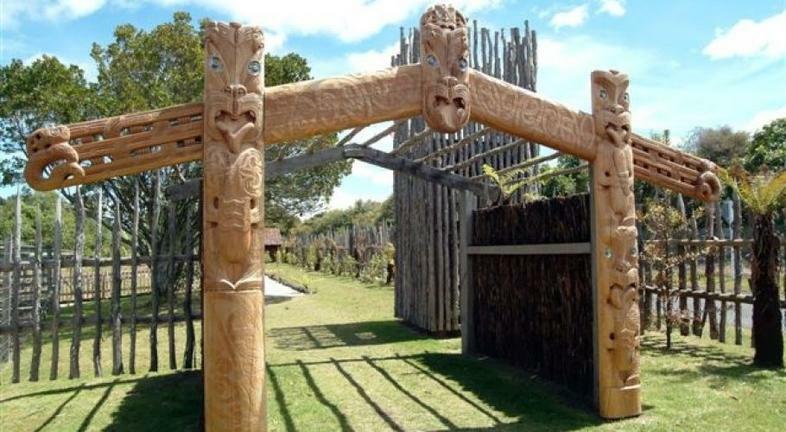 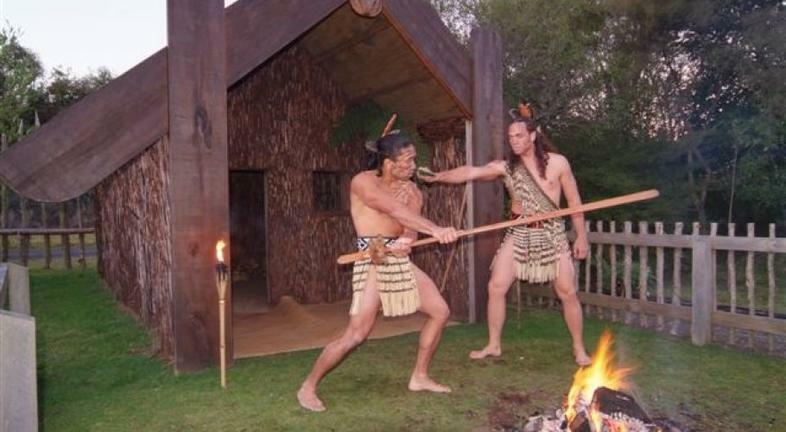 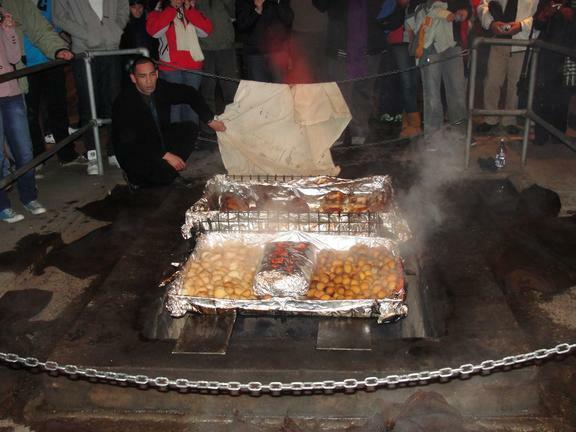 Note: an original Maori Village (Ohinemutu) tour and an evening Hangi concert with dinner, is included in your itinerary. 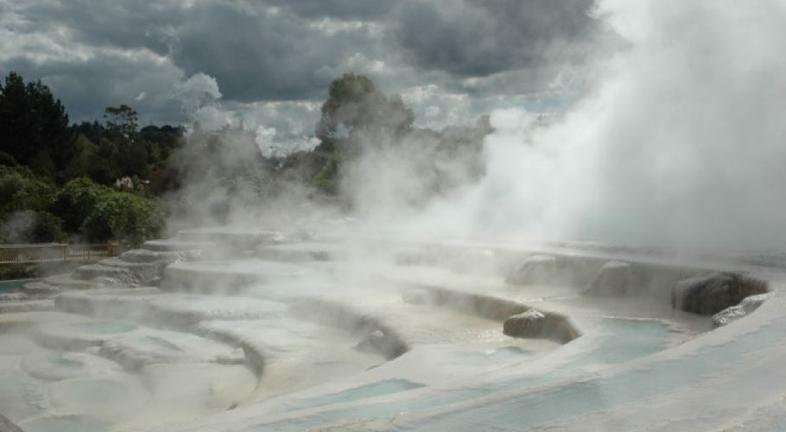 Rotorua and the Lake Taupo region is famous for geothermal activity. 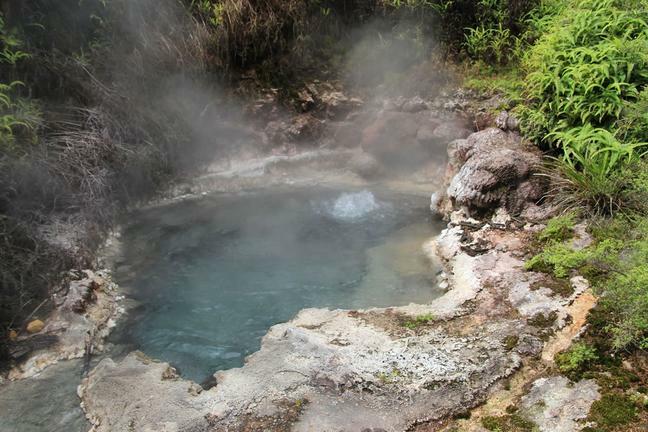 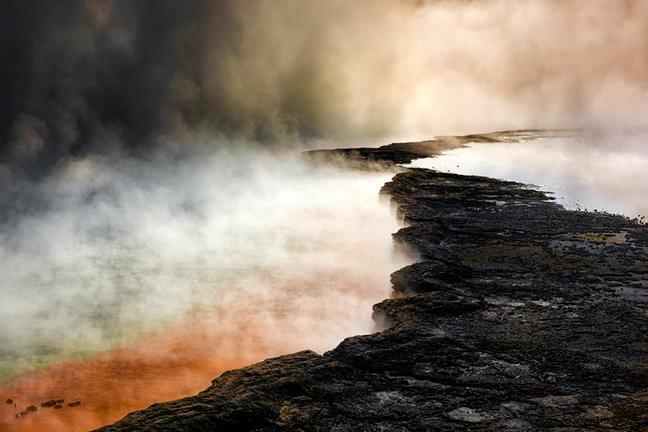 Located within the Pacific Rim of Fire, these areas of bubbling mud pools, clouds of steam, and natural hot springs, are a nature's wonderland. 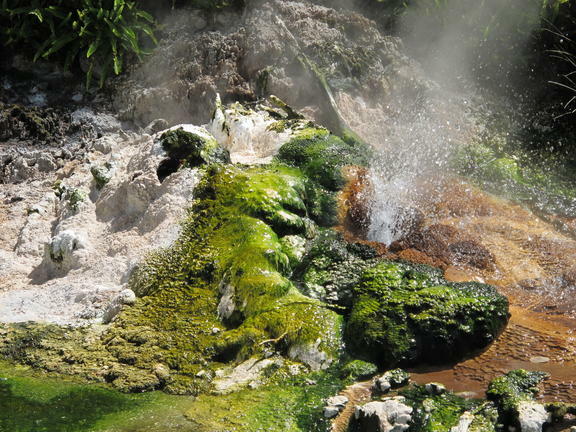 There are key thermal sites you should visit today. 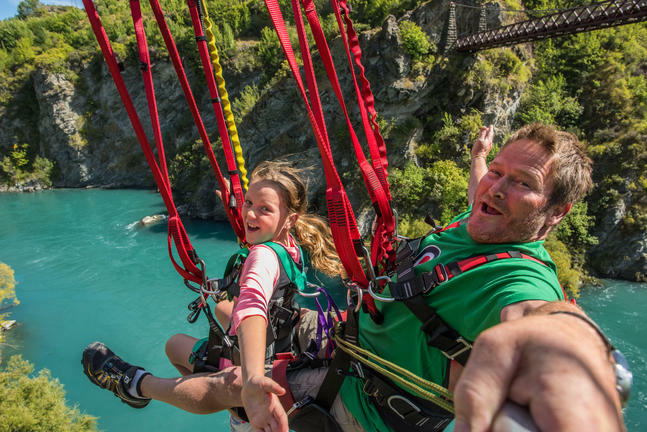 Drop-off your rental car at the airport. 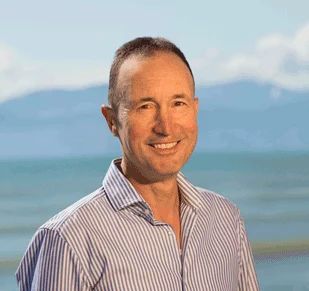 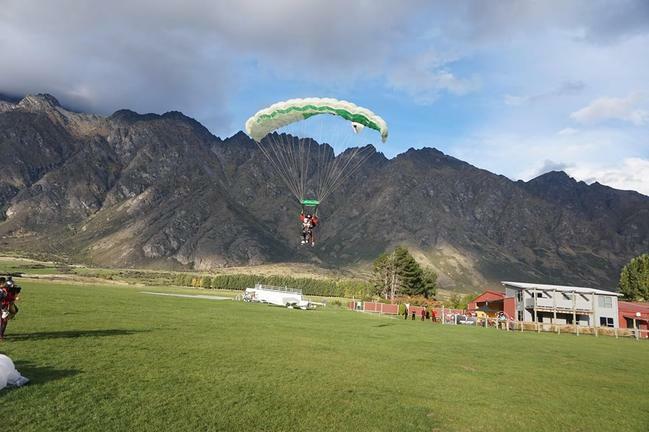 Take a domestic flight to Queenstown or Invercargill (we will check the best flight connections for you). 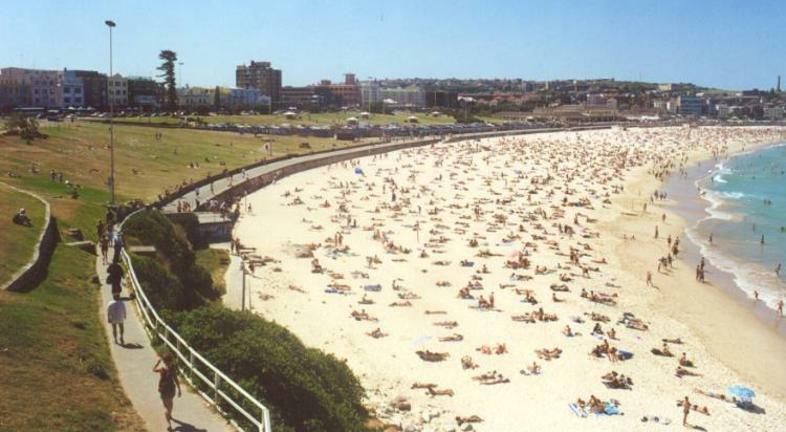 Collect another rental car outside the airport terminal carpark. 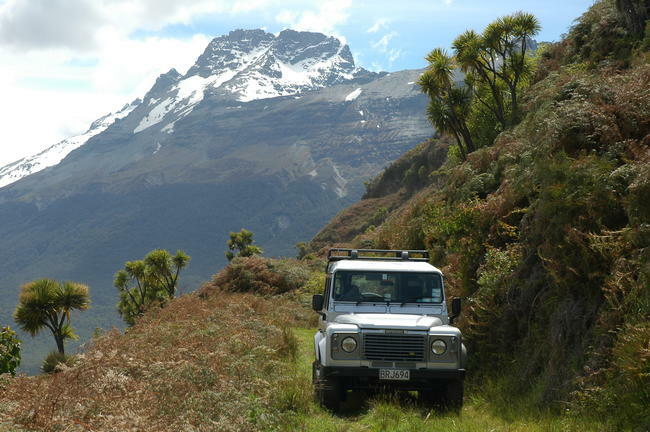 We recommend the Southern Coastal route via Riverton and Tuatapere - here, the scenery is rugged, untamed and beautiful. 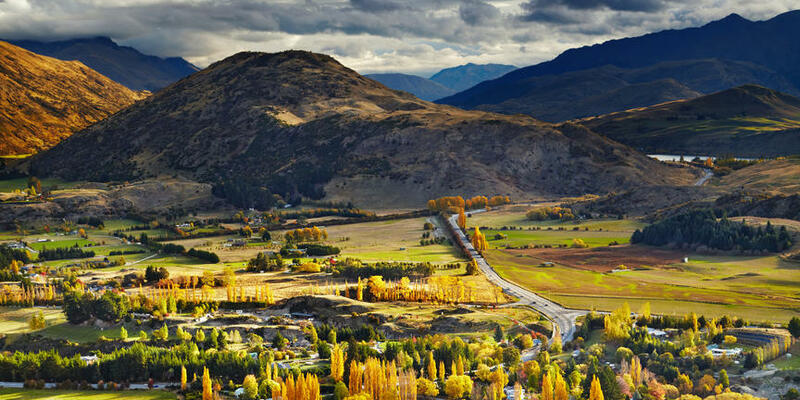 The villages are small - classic New Zealand heartland! 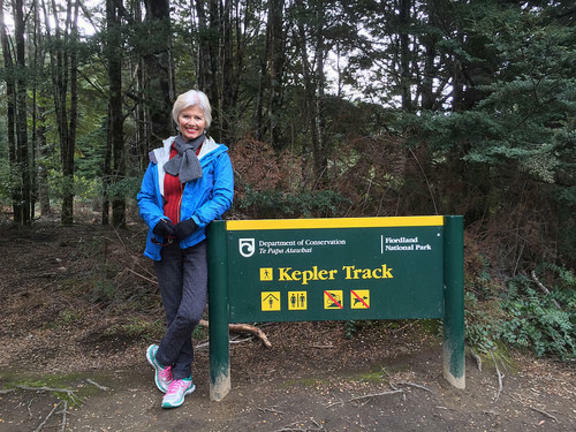 After arrival, in Te Anau you might want to go for a late afternoon walk at the famous Kepler Track. 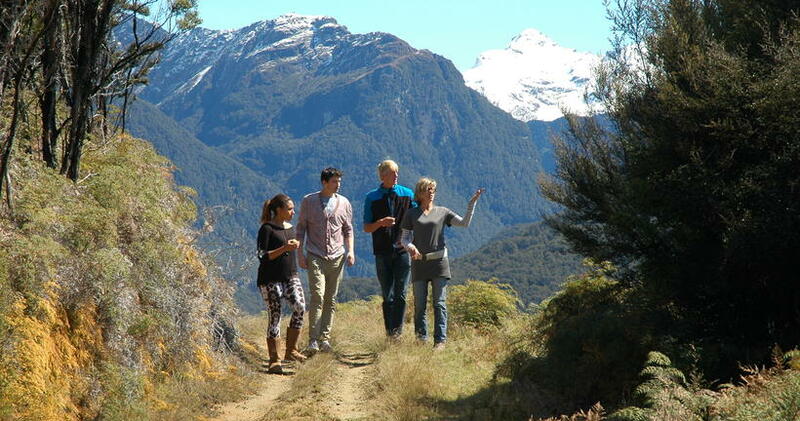 Look upon Te Anau as the gateway to the Fiordland National Park, New Zealand's hiking capital. 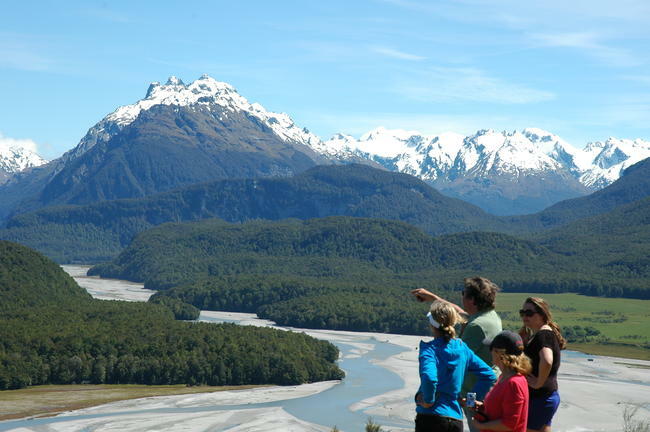 Fiordland features a variety of unique wildlife, including penguins. 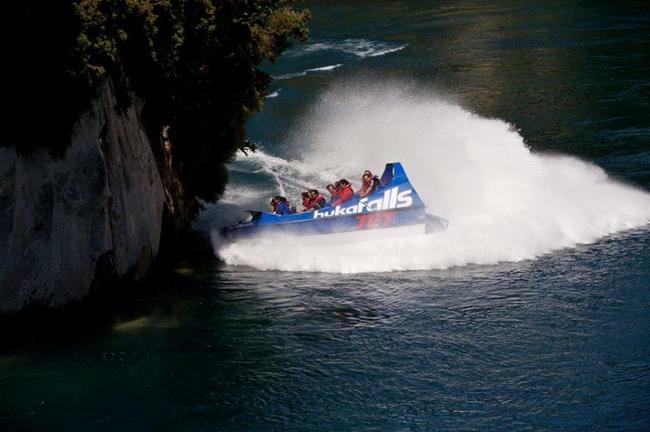 Waterfalls cascade hundreds of metres into enormous fiords. 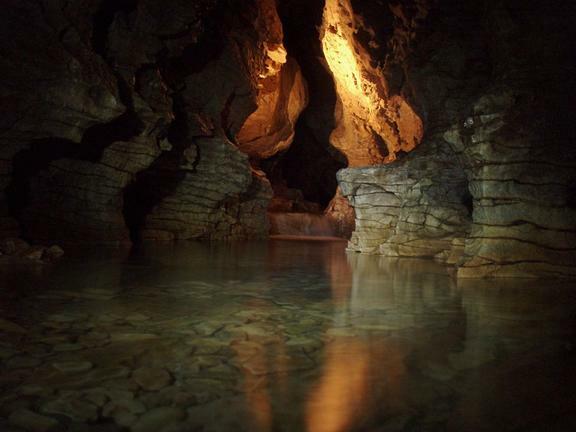 You'll find a mixture of spectacular natural features. 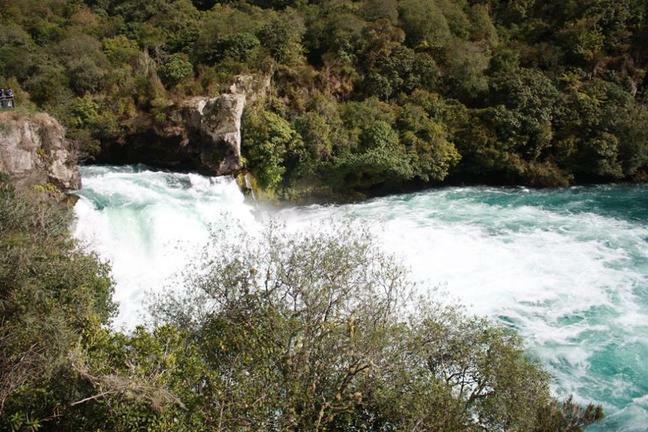 The fiord cliffs rise vertically, and waterfalls are giant canons of power. 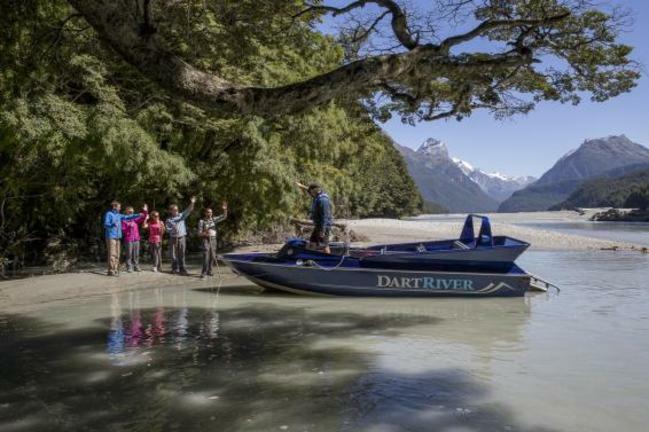 Join a guided tour into Milford Sound - this includes a nature cruise in the fjord. 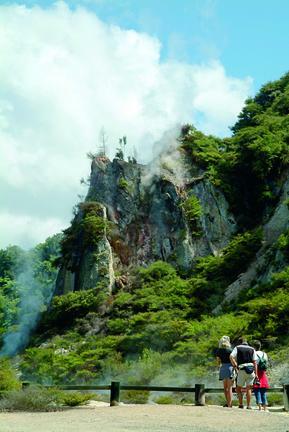 You can opt for a series of short walks with the nature guide. 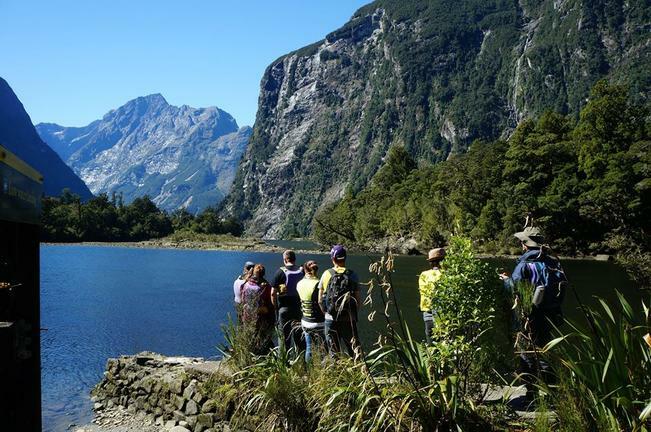 Another option is the guided morning walk on the famous Milford Track. 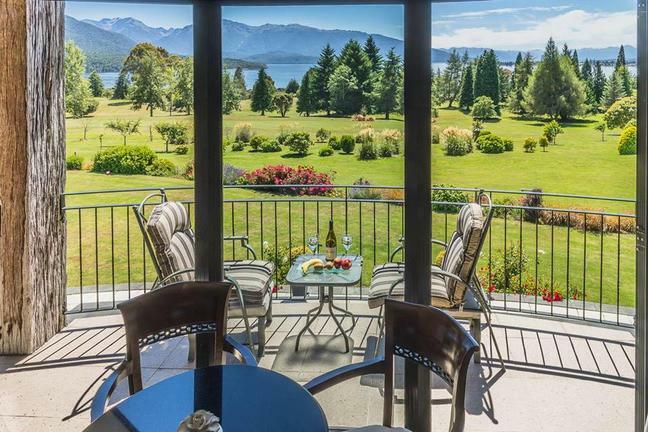 Today, you'll have a very short 2.5 hour drive from Te Anau to Queenstown. Therefore, you will have plenty of time for more Fiordland walks or alternatively, ‘action time’ in Queenstown. 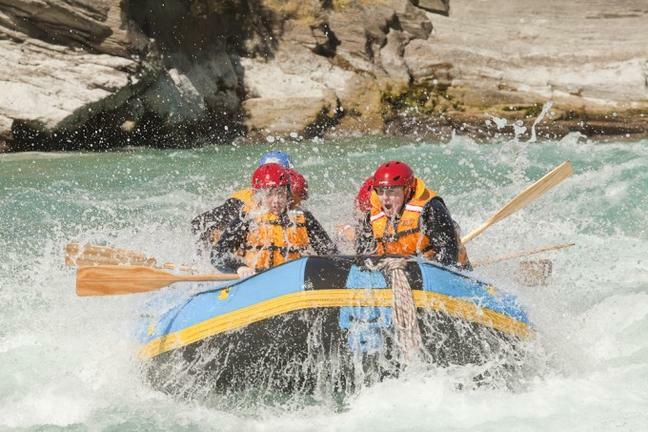 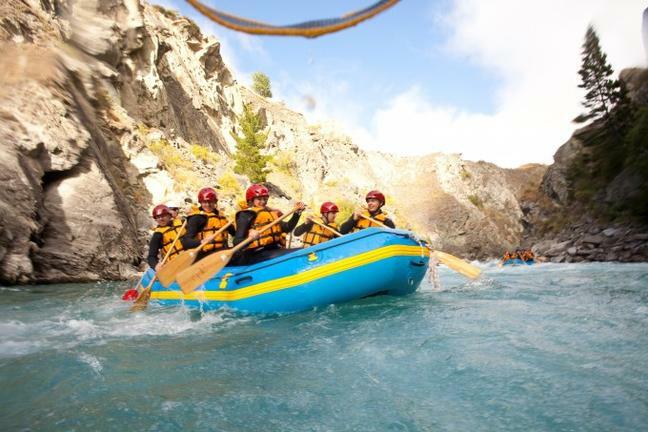 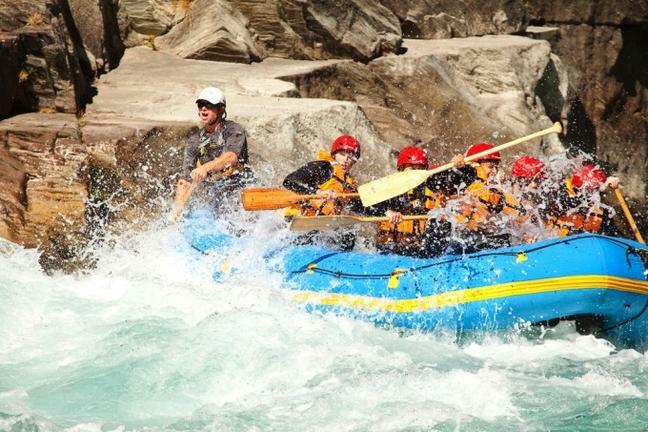 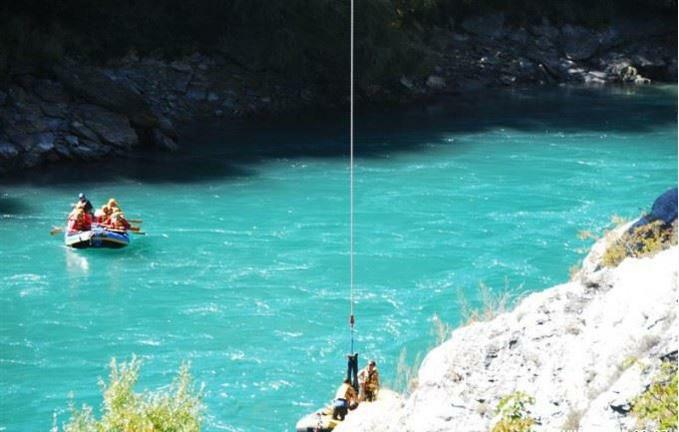 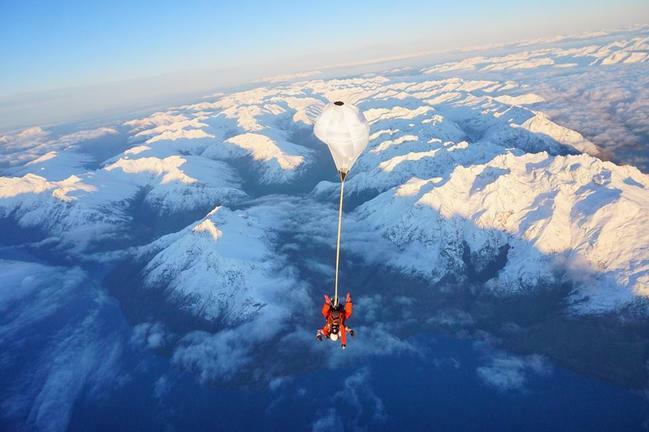 Queenstown, is the Adventure Capital of New Zealand, with every variety of outdoor adventure you can imagine. 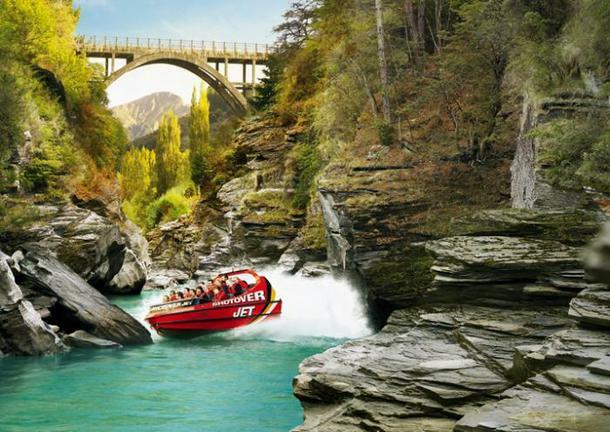 Set on the shores of Lake Wakatipu, the Queenstown scenery is stunning! 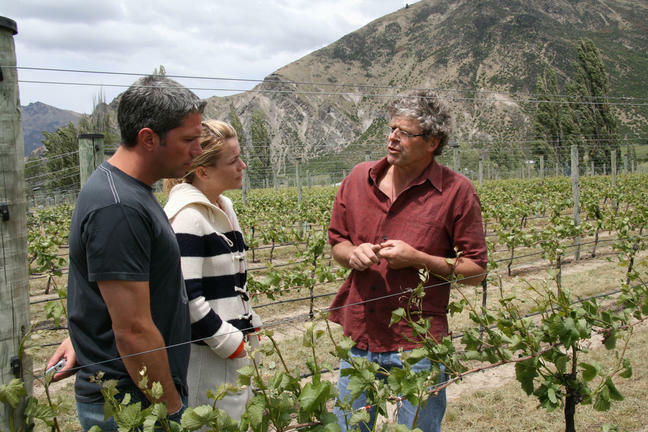 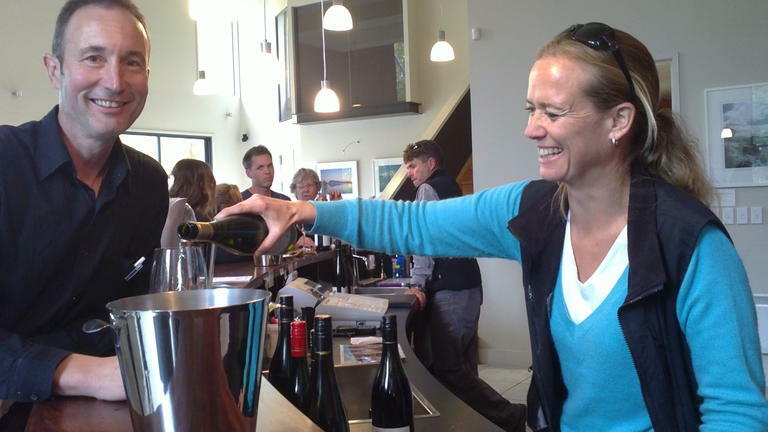 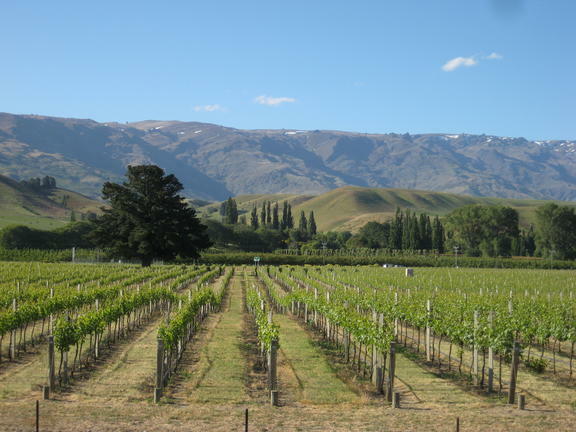 Queenstown also has some of New Zealand best boutique vineyards and is famous for Pinot Noir. 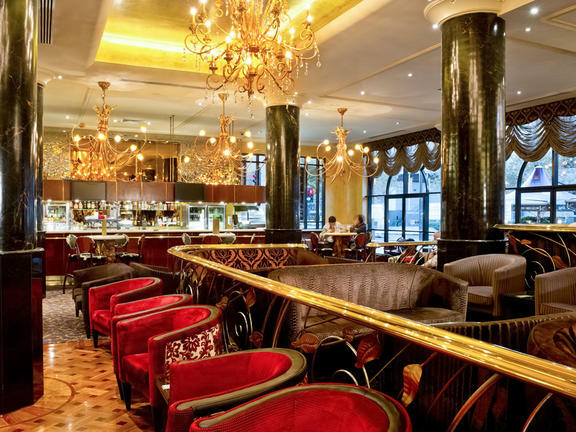 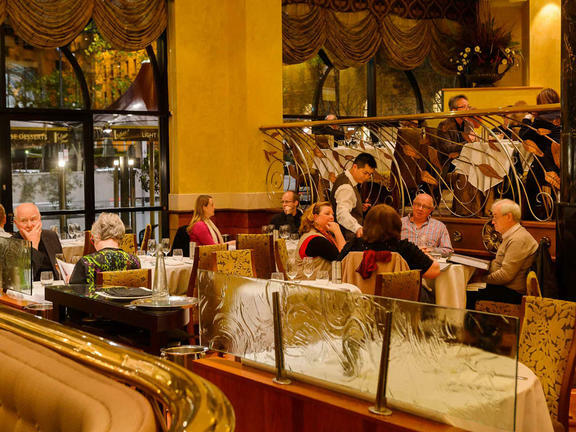 Enjoy the perfect combo of sophisticated dining, shopping and adventure options. 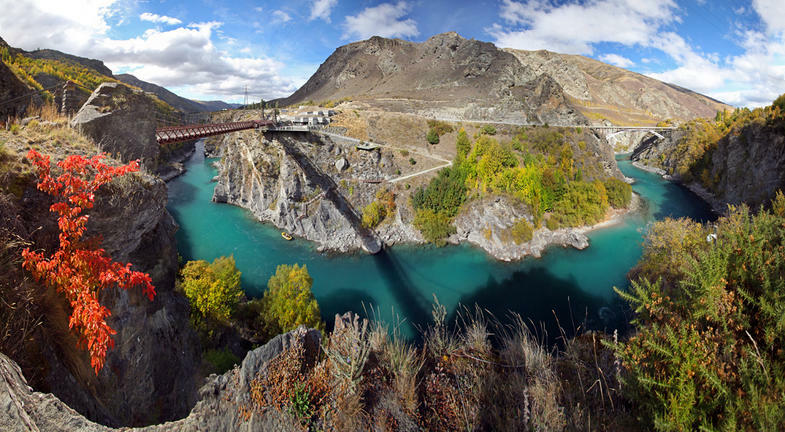 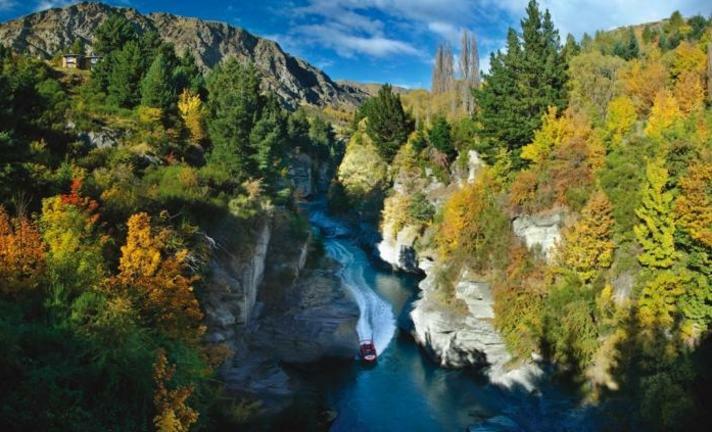 As one of New Zealand's top destinations, Queenstown is a very busy place in the peak seasons. 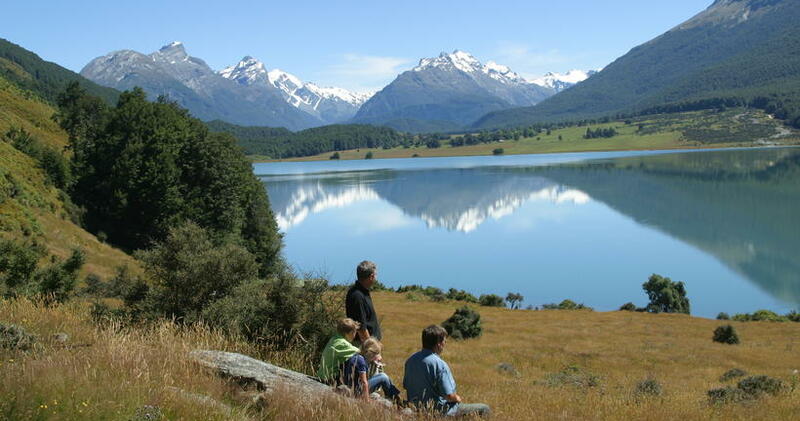 So if you're look for a bit of tranquility, drive out from Lake Wakatipu to the village of Glenorchy. 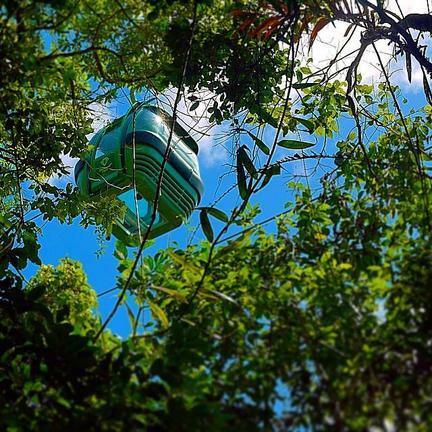 The scenery here will thrill you! 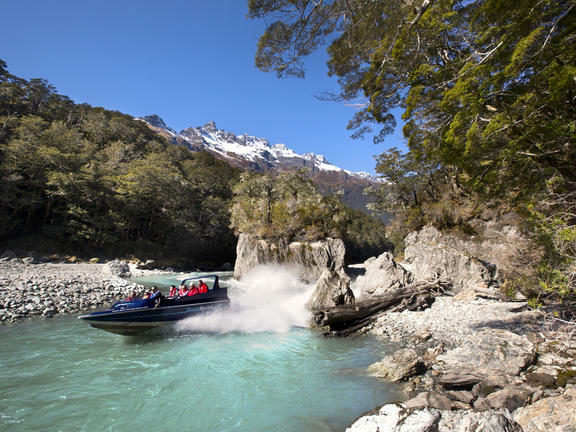 Glenorchy is the starting point for the famous Dart River Safaris. 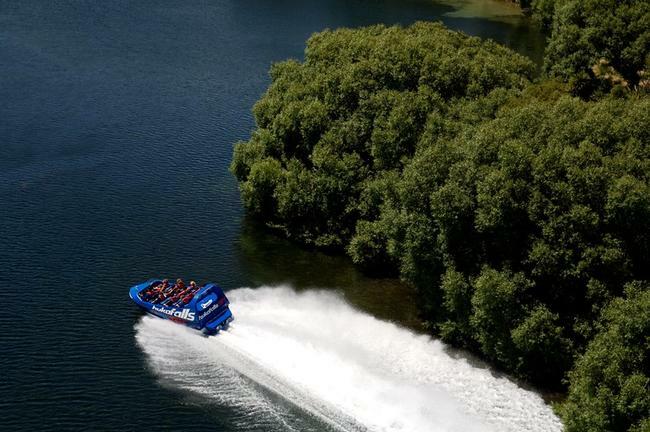 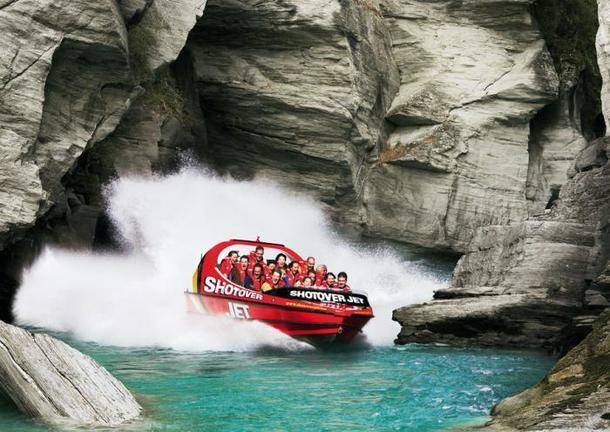 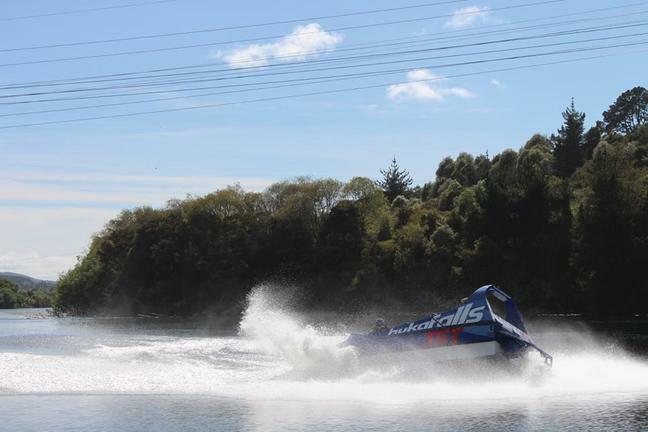 This is a guided jet-boating trip and sightseeing trip which feature Lord of the Rings Location areas. 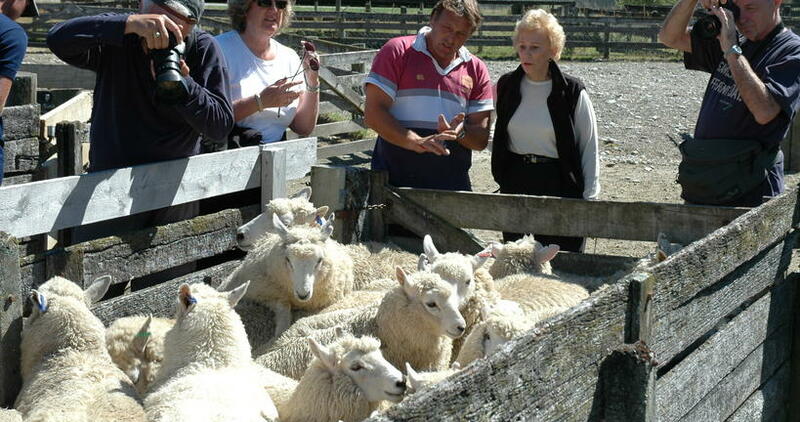 For something extra special, consider a private 4WD farm tour with a local guide We guarantee, you'll get an authentic experience of New Zealand's farming world. 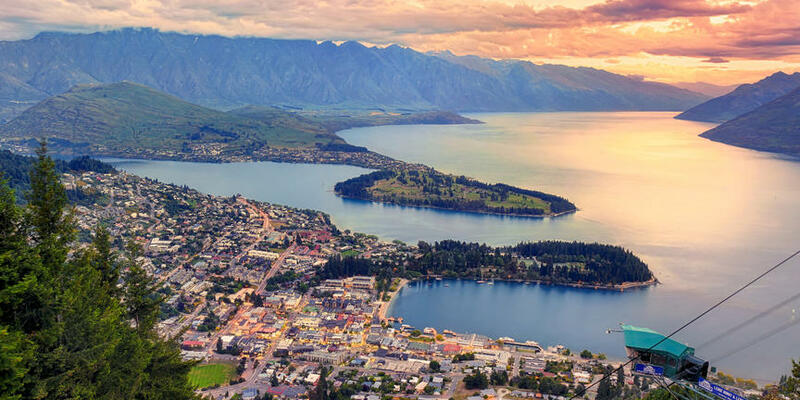 Return your rental car to Queenstown airport and depart to Sydney. 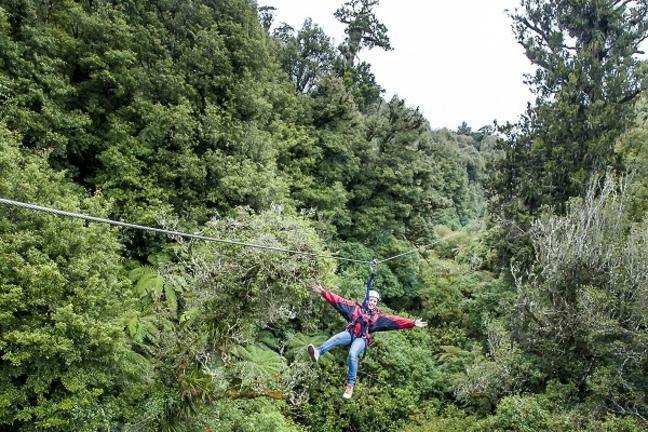 You may want to spend some more time either in New Zealand or Sydney. 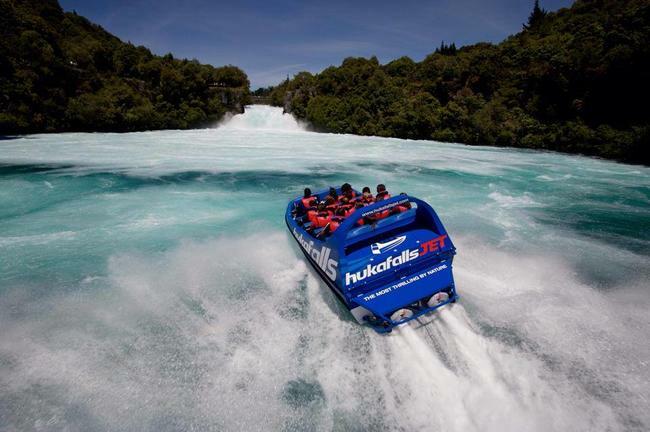 We can arrange this for you, so please feel free to contact us for any itinerary amendments.